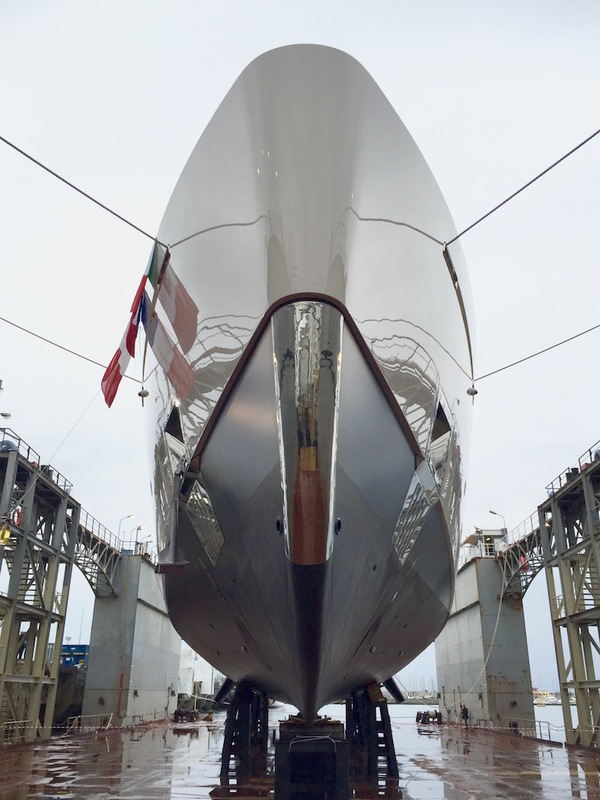 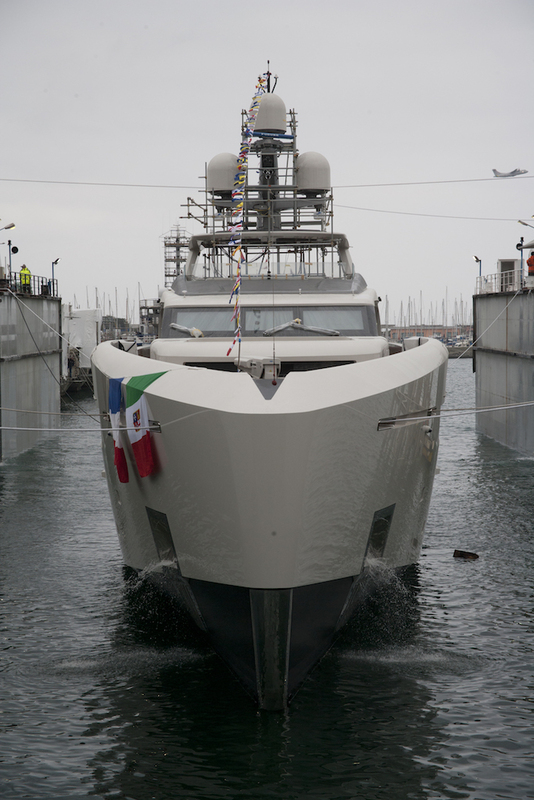 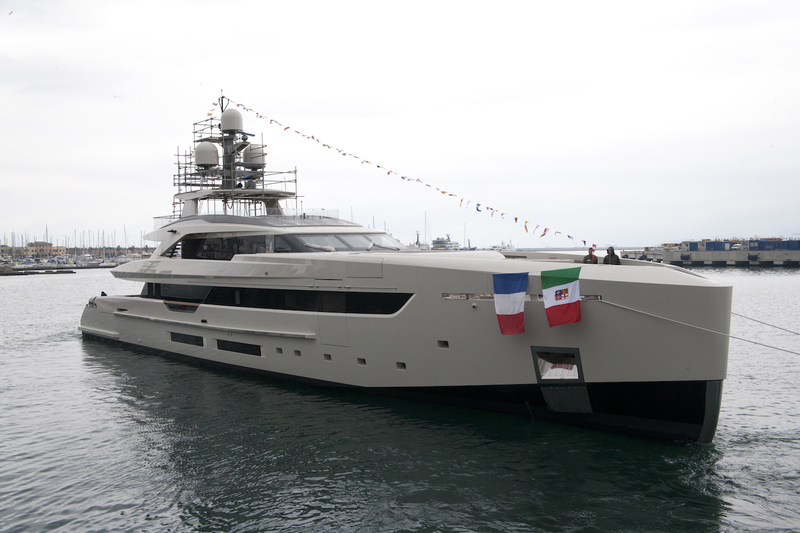 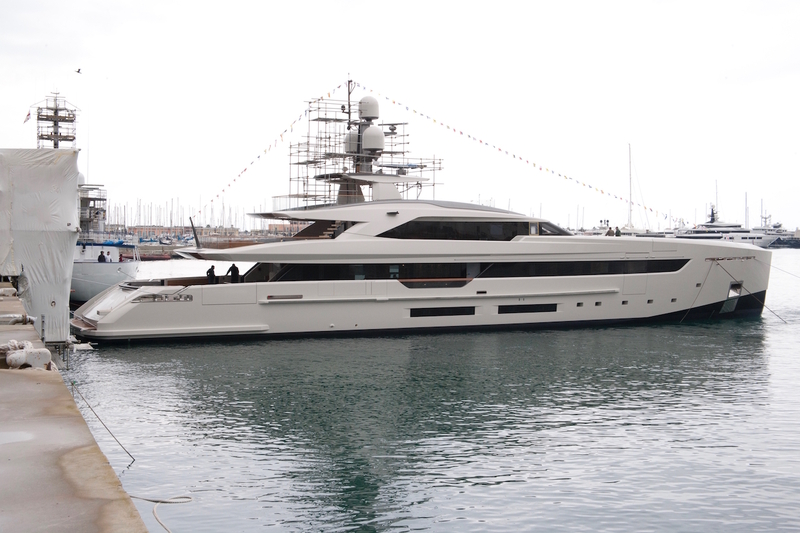 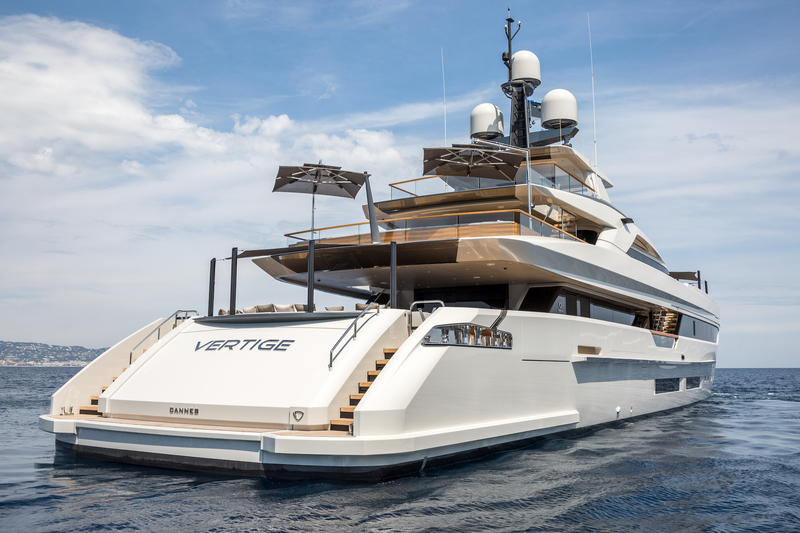 Luxury superyacht Vertige from the S501 projects is a striking 50m (164') full displacement vessel, built by the Italian shipyard in 2017, Tankoa Yachts. 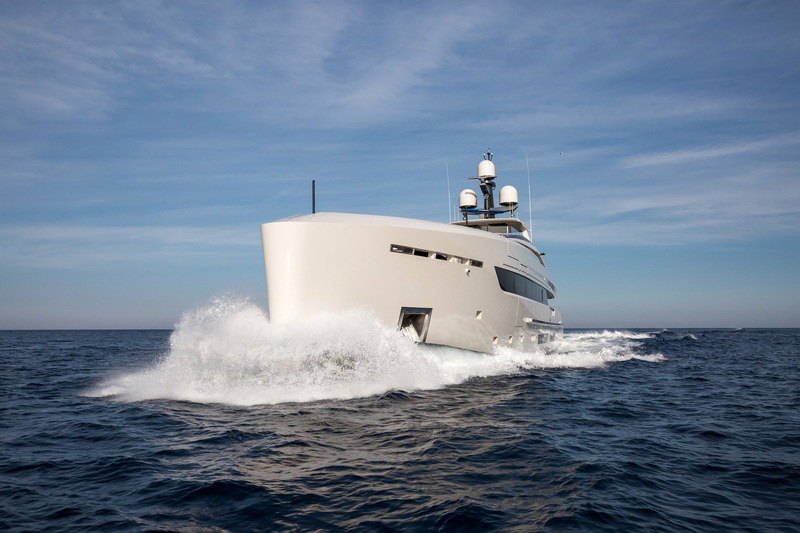 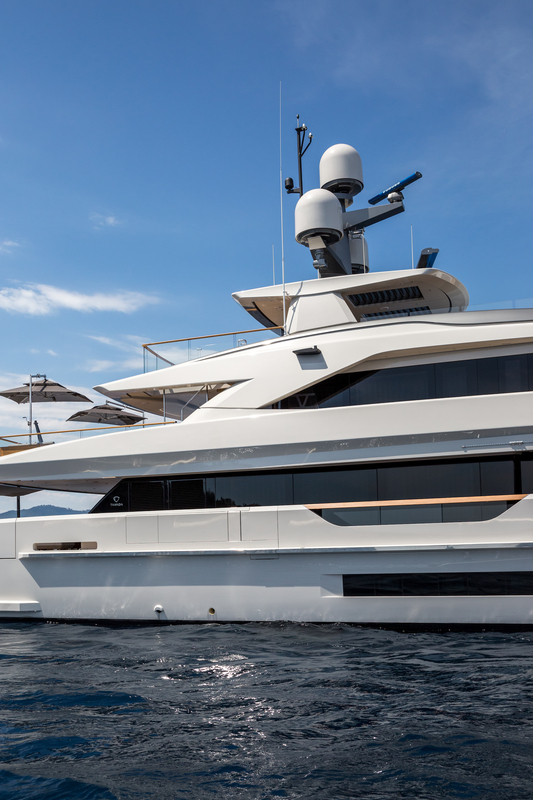 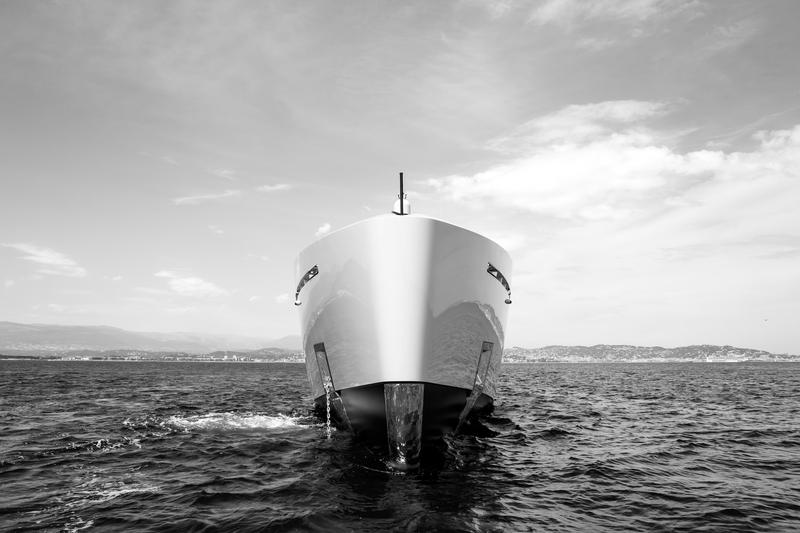 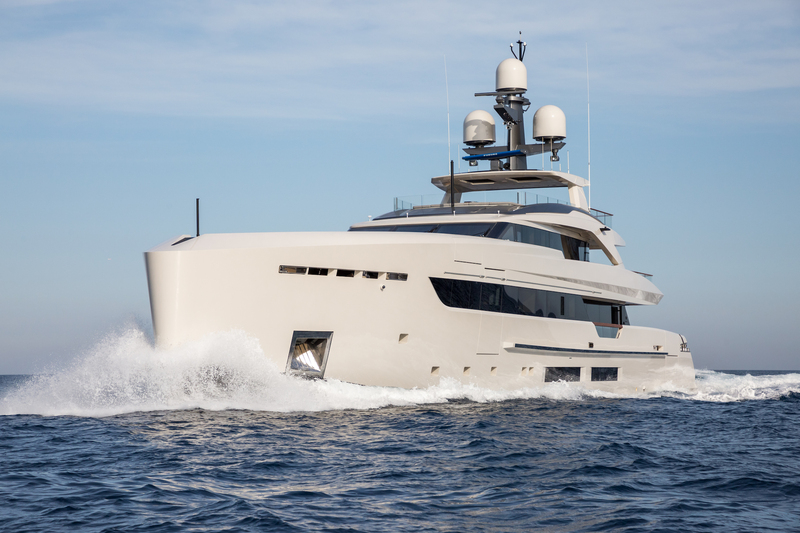 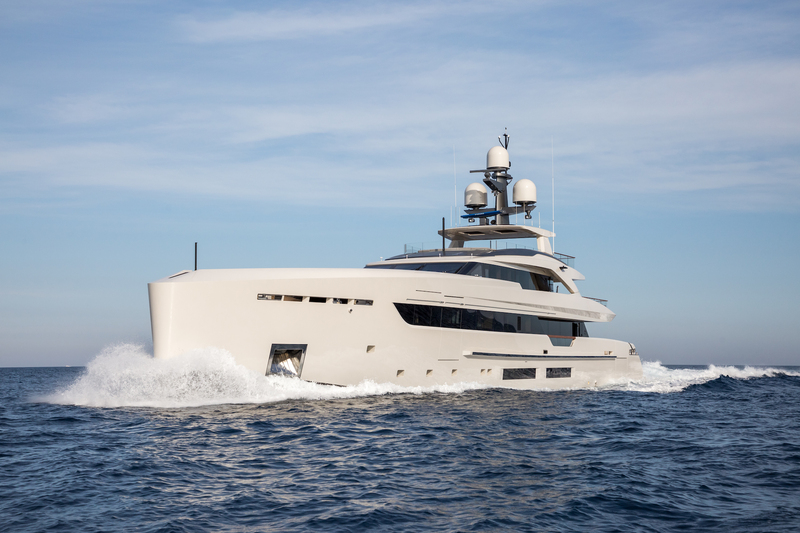 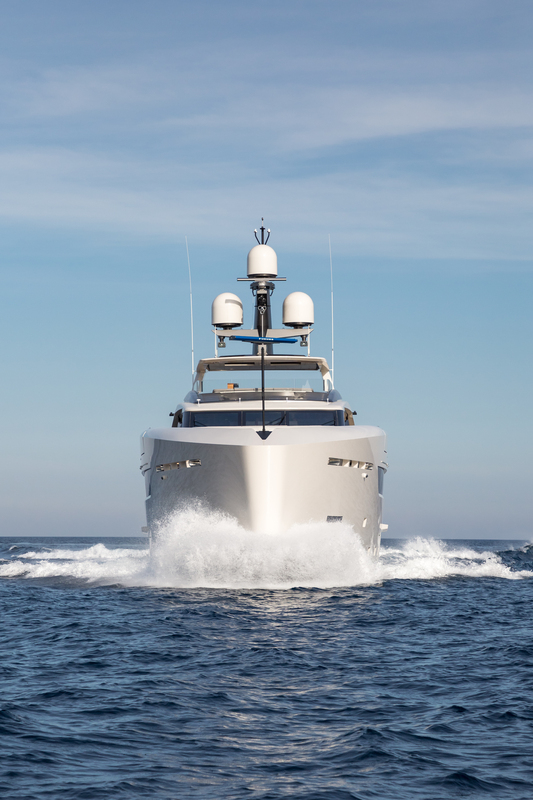 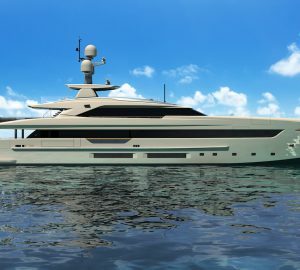 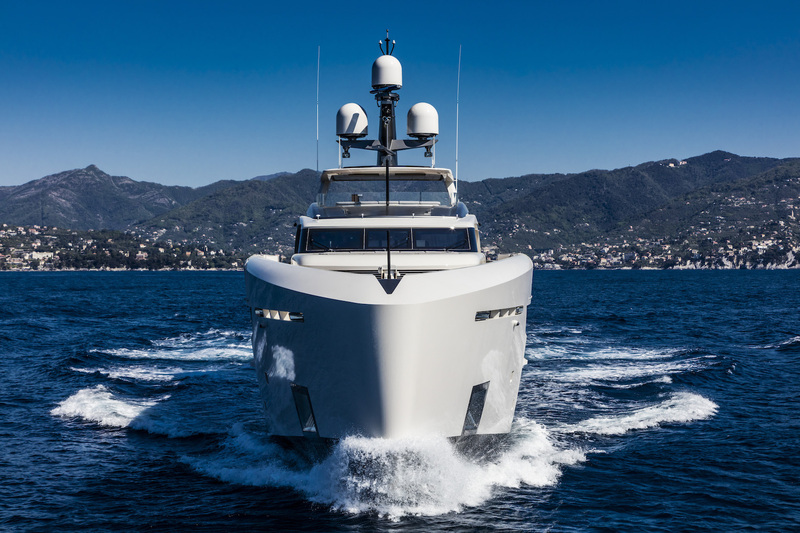 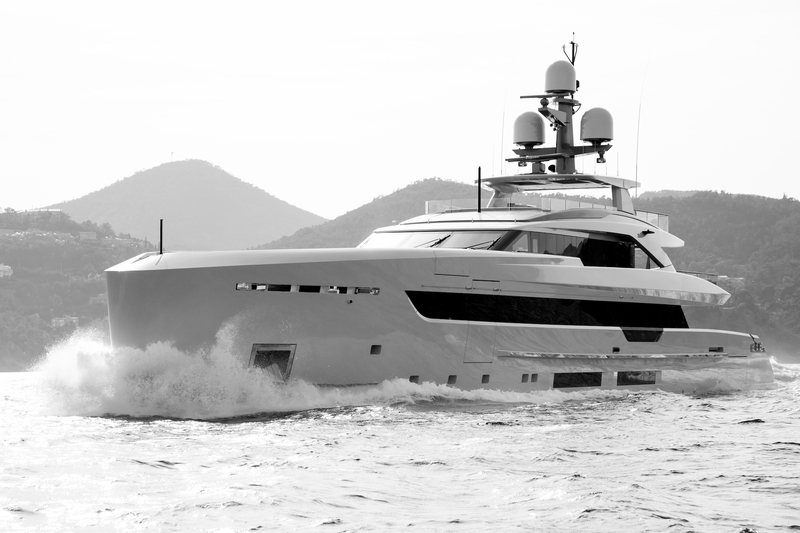 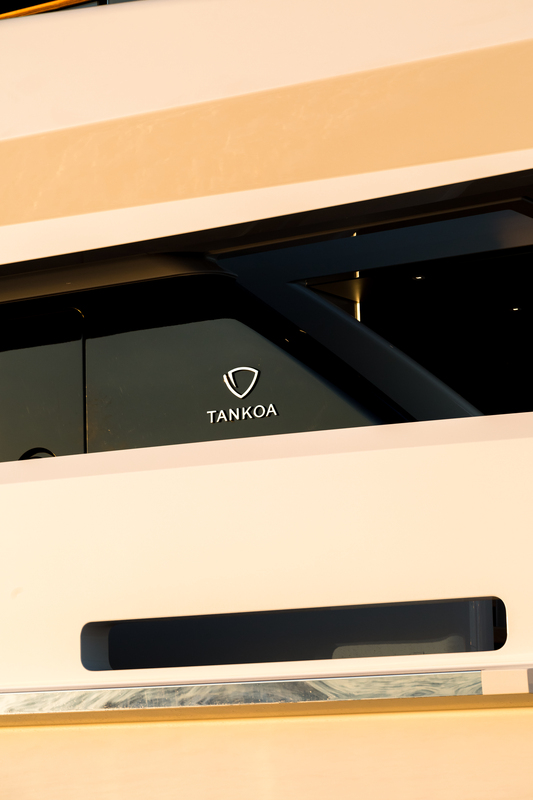 Boasting a perfectly balanced and fluid timeless design, motor yacht Tankoa S501 Vertige has been superbly penned by multi-award winning Francesco Paszkowski, with naval architecture by Massimo Visibelli. 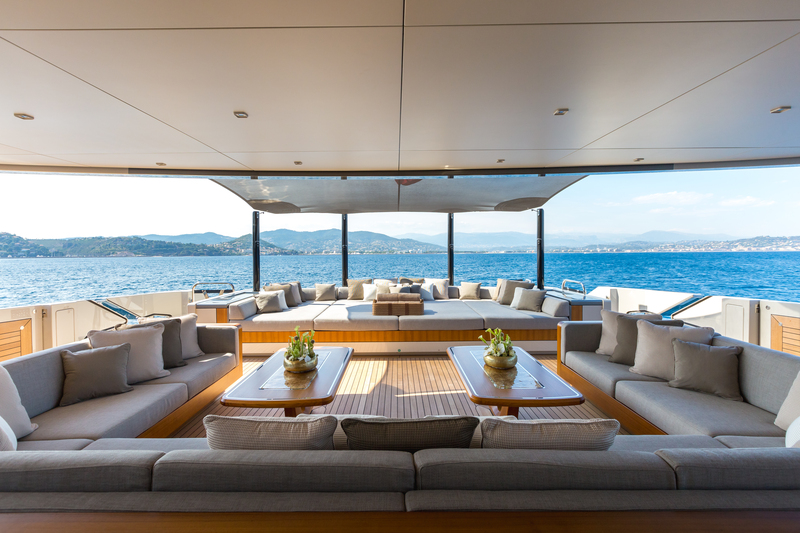 The interior living is generously laid out over three spacious decks. 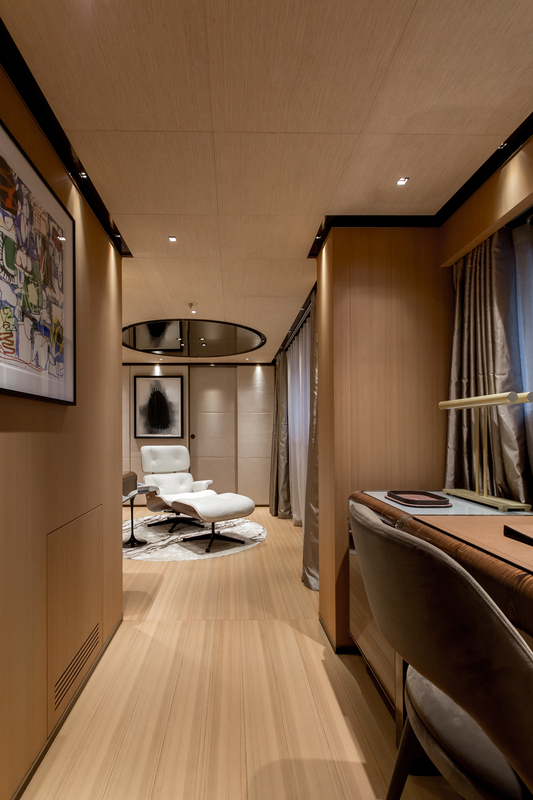 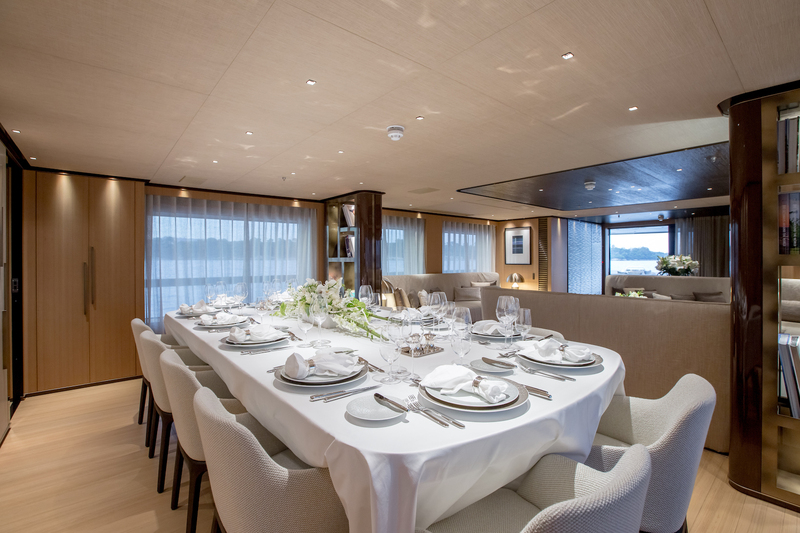 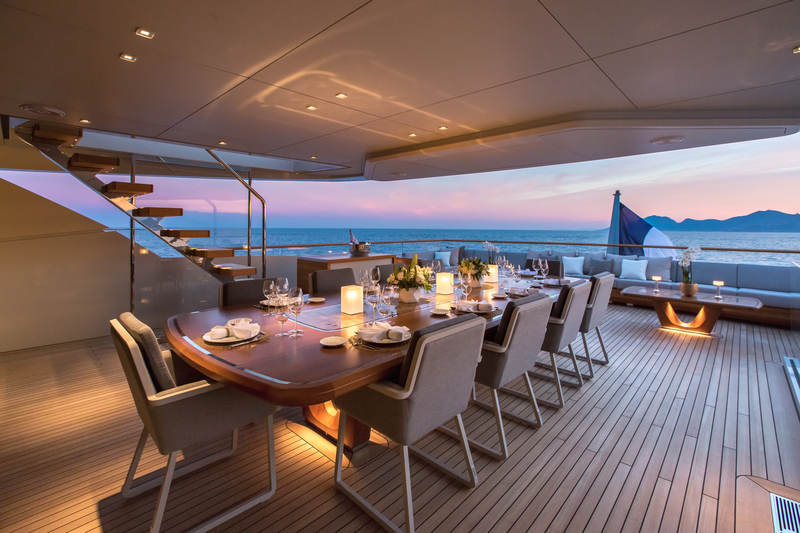 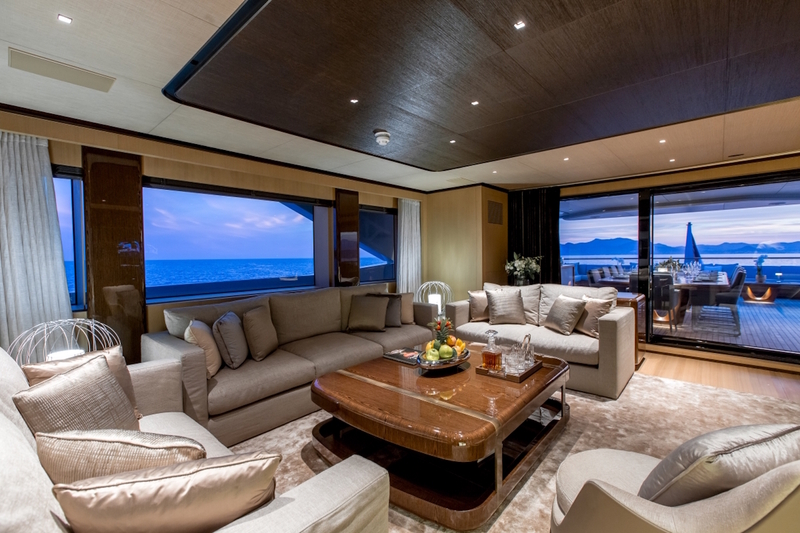 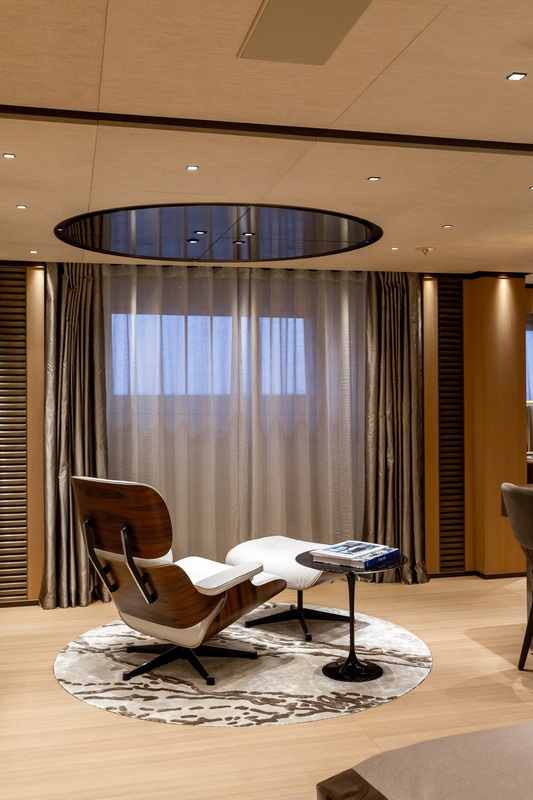 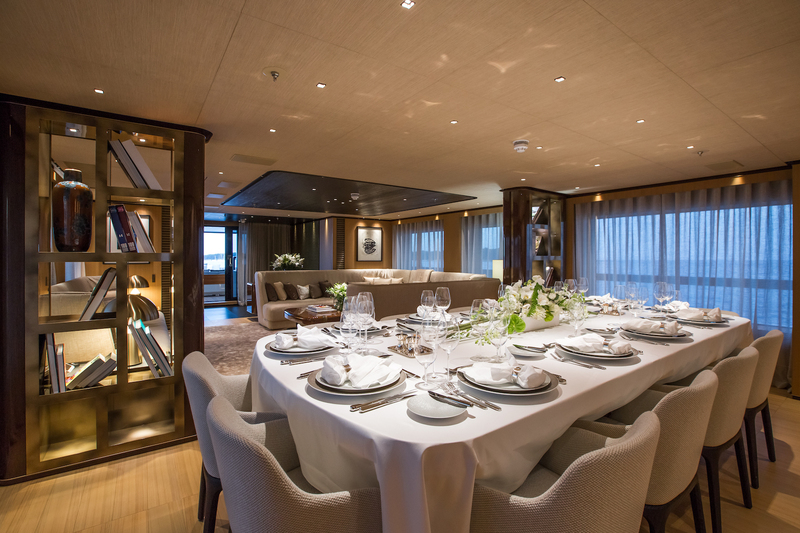 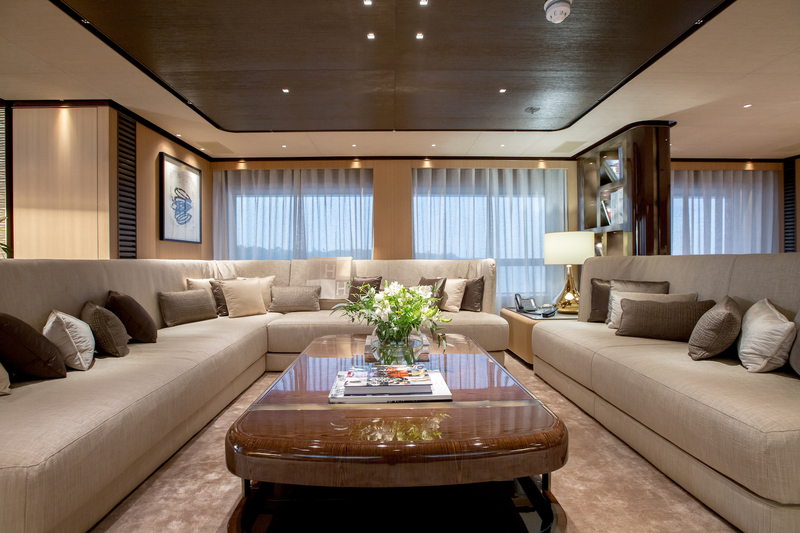 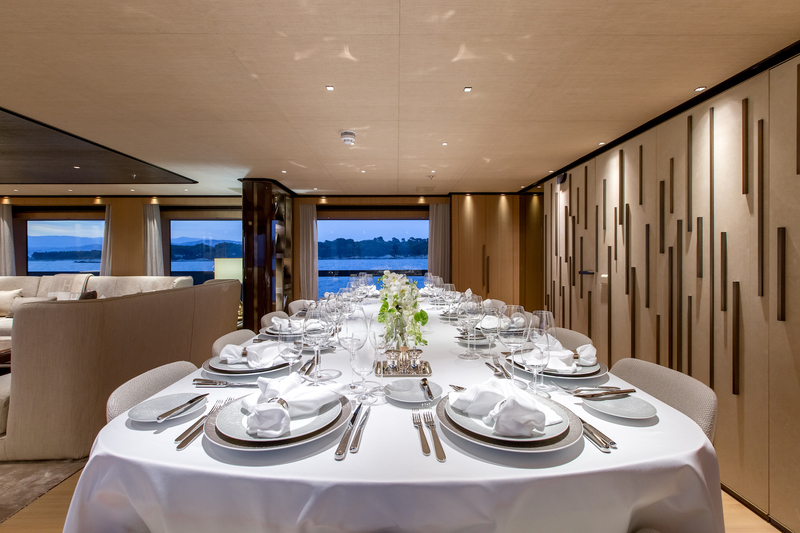 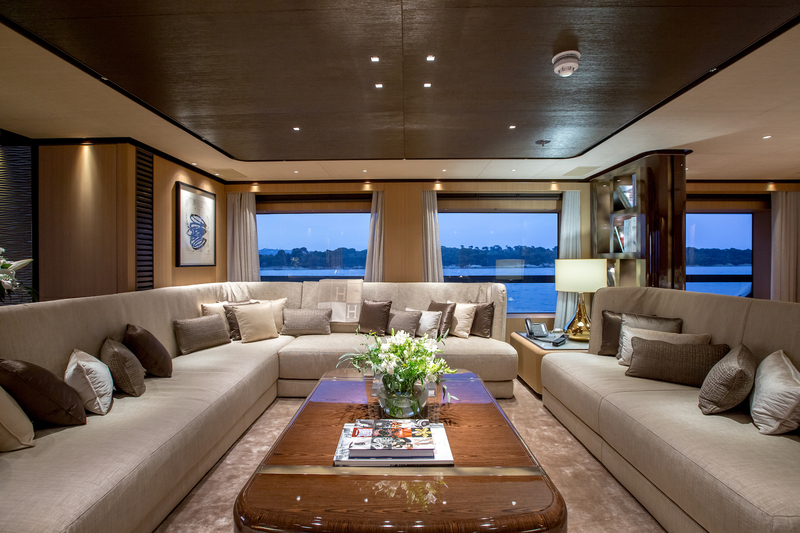 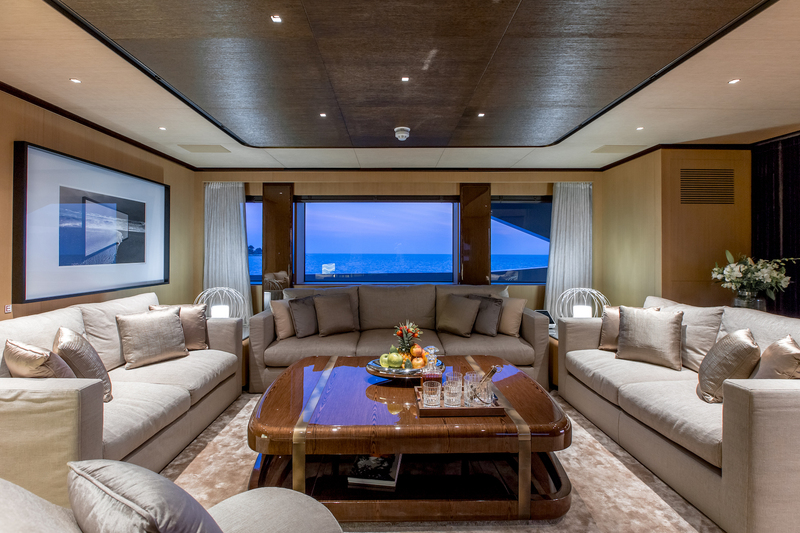 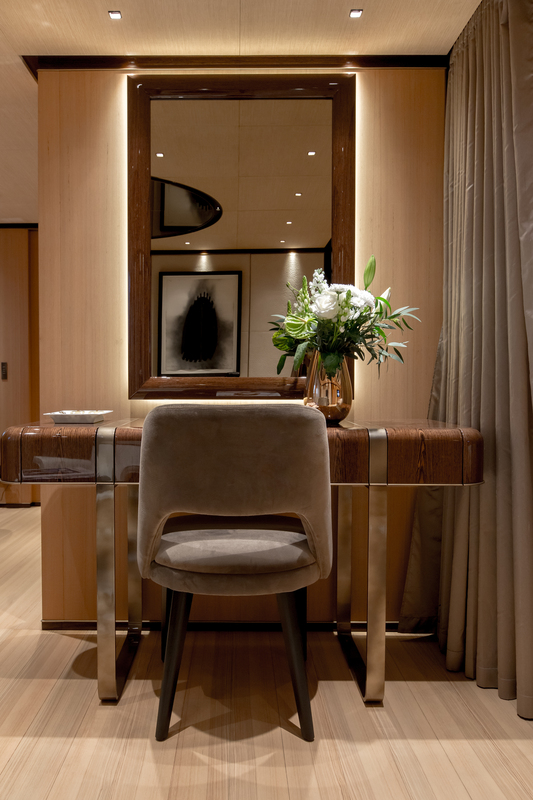 Her main deck offers a large salon area with formal dining forward. 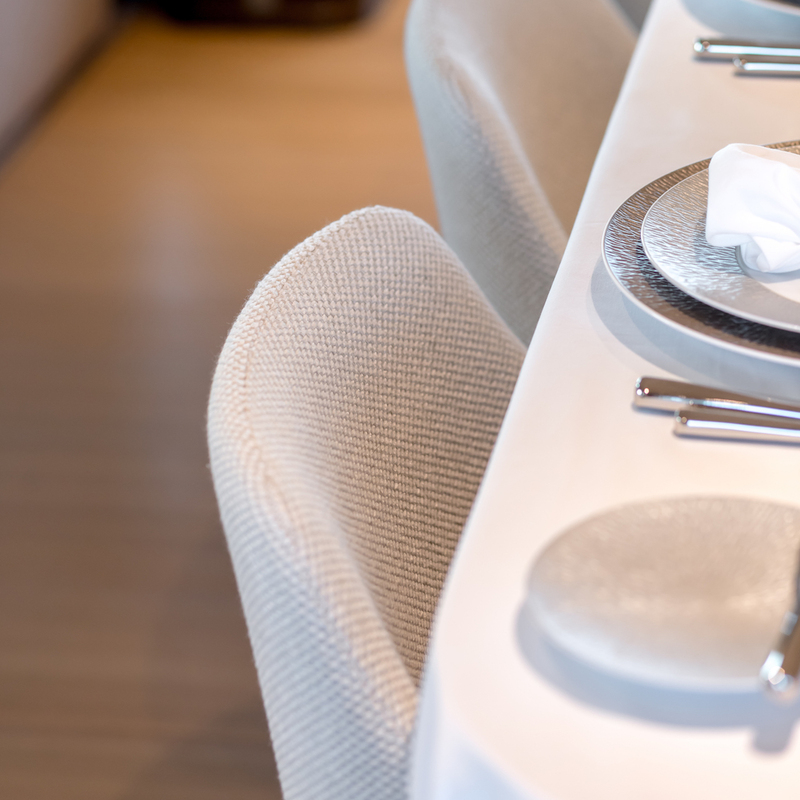 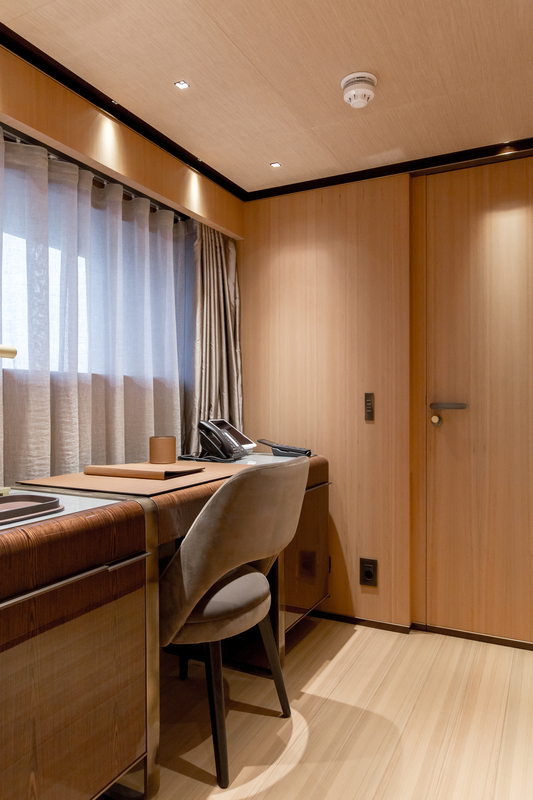 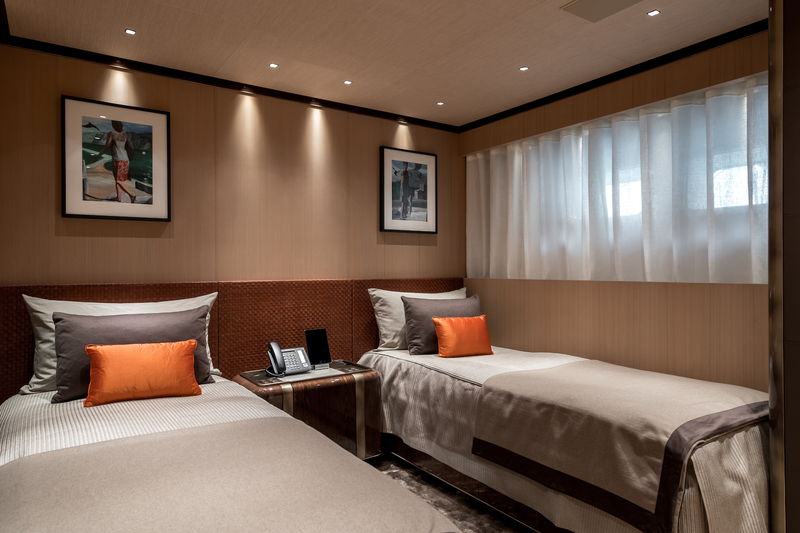 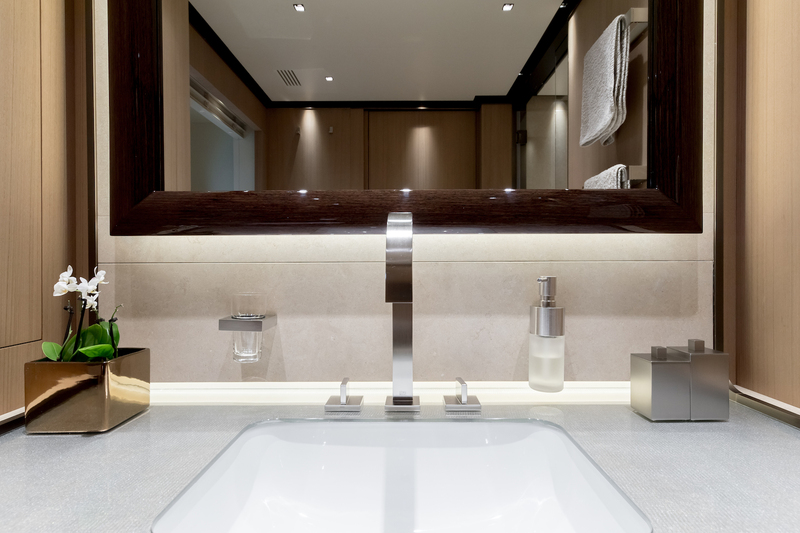 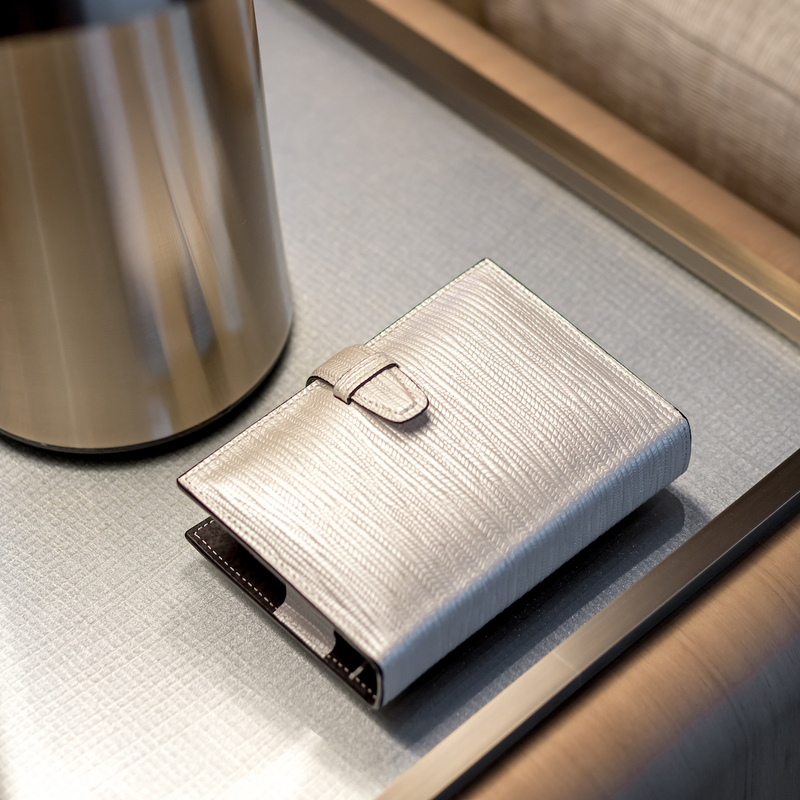 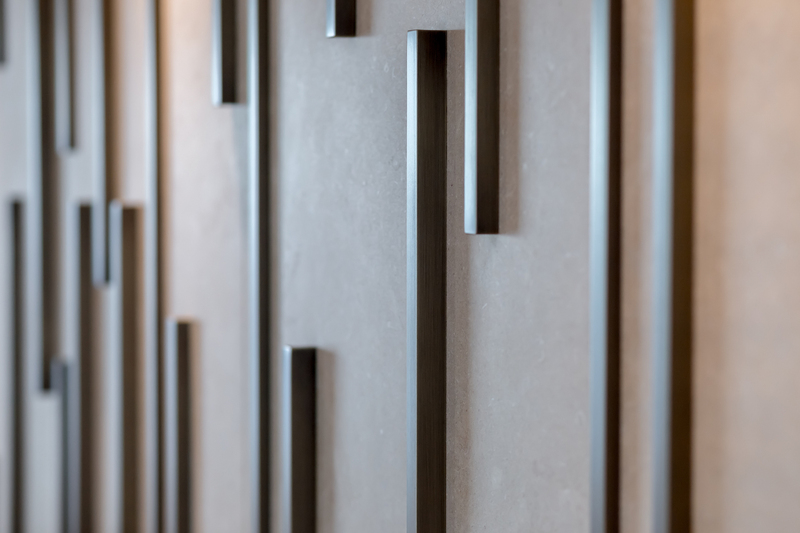 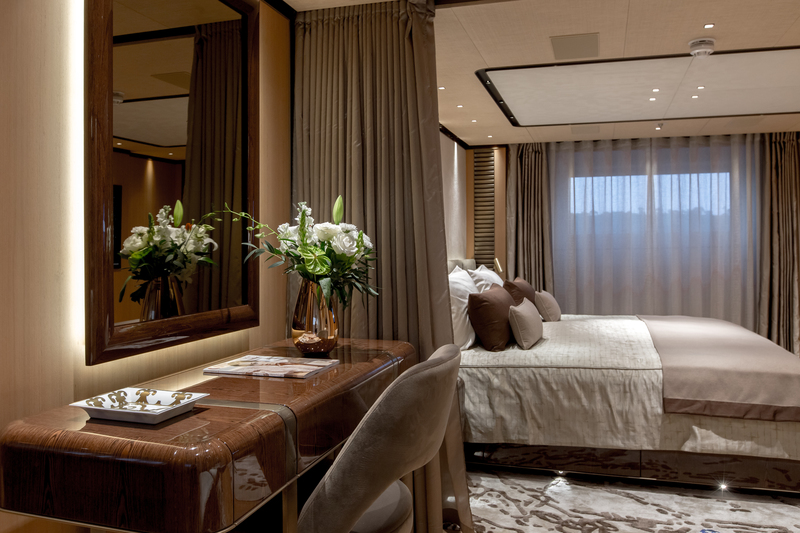 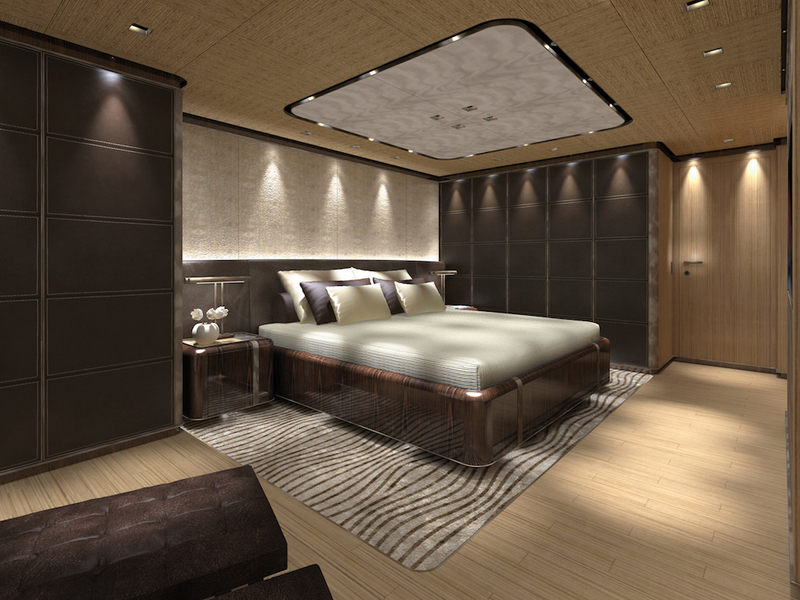 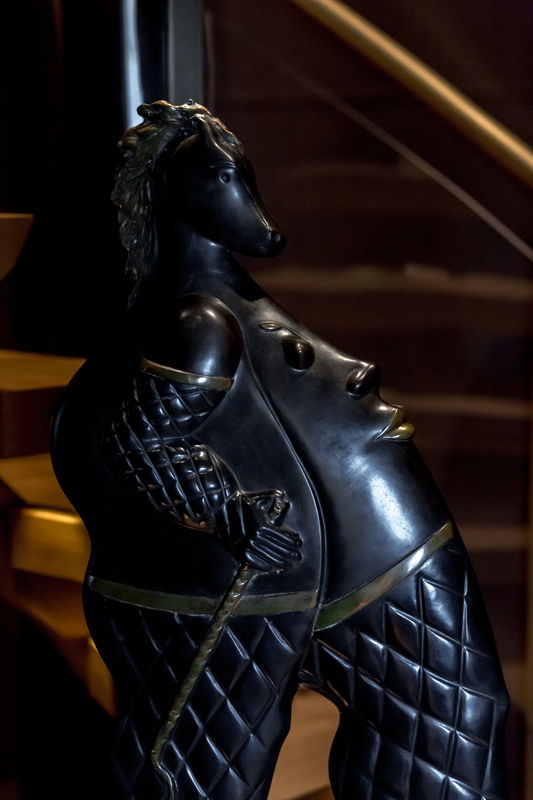 The luxurious Master stateroom and VIP cabins are forward of the salon and dining. 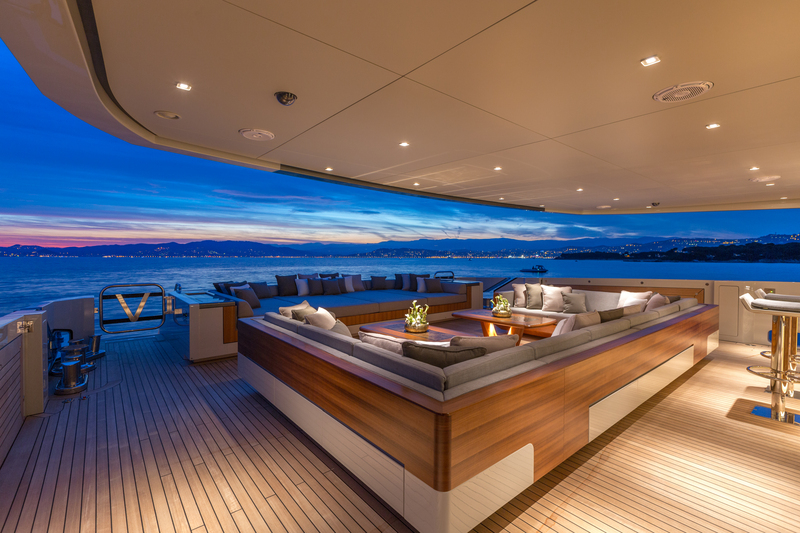 An upper deck offers a sky lounge aft and the bridge forward. 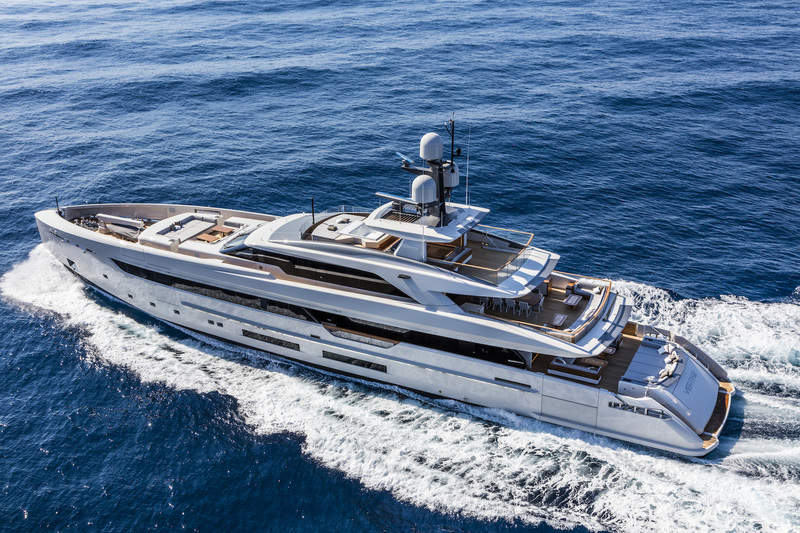 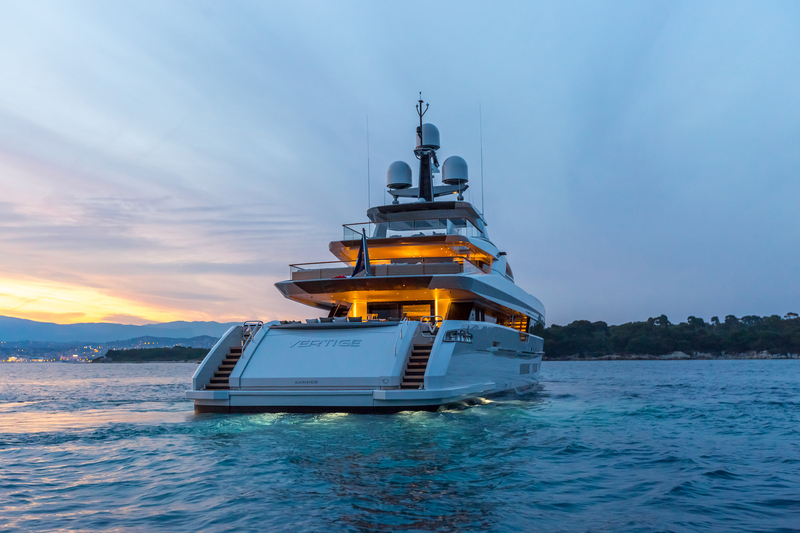 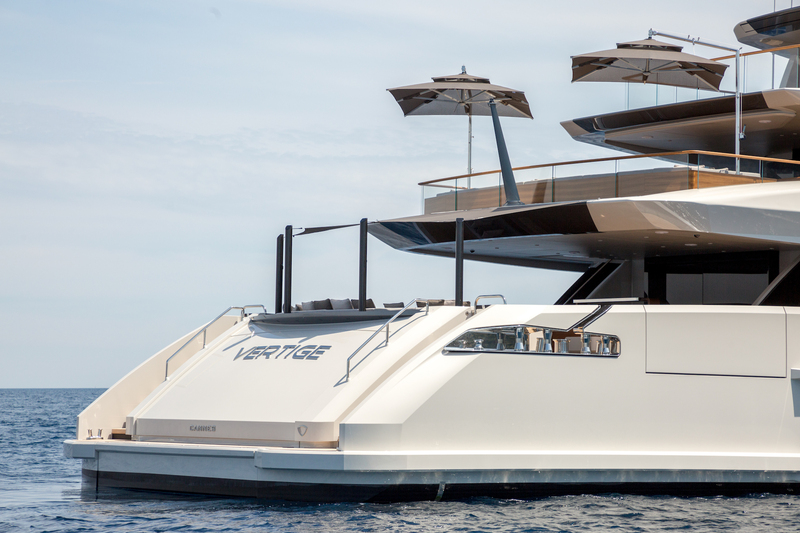 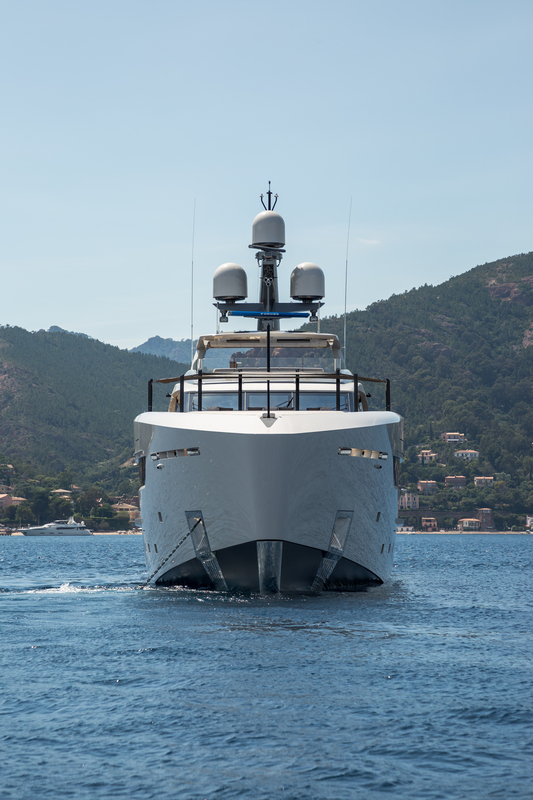 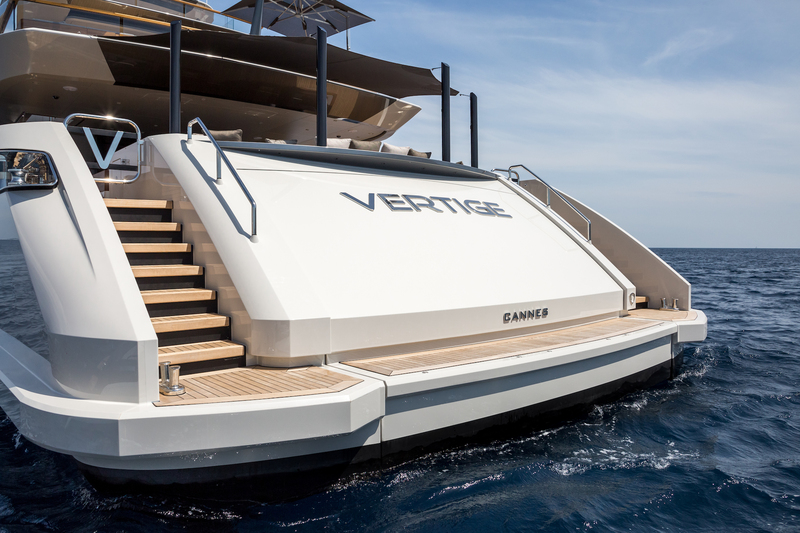 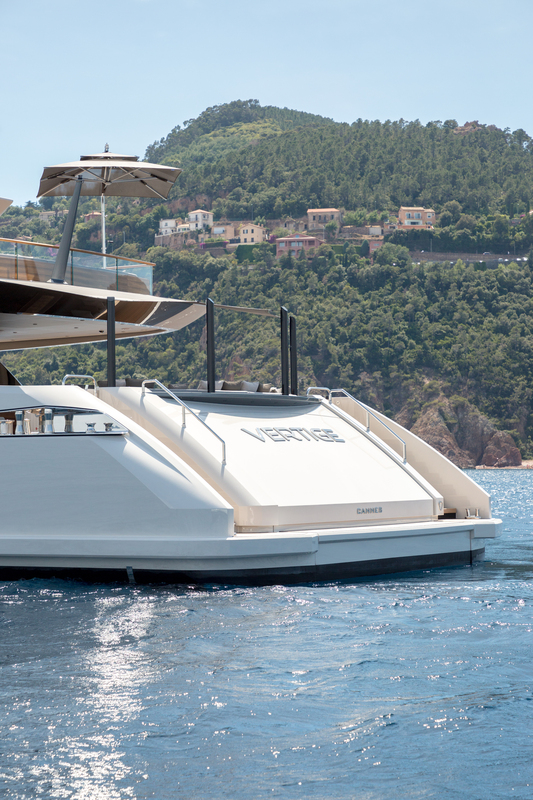 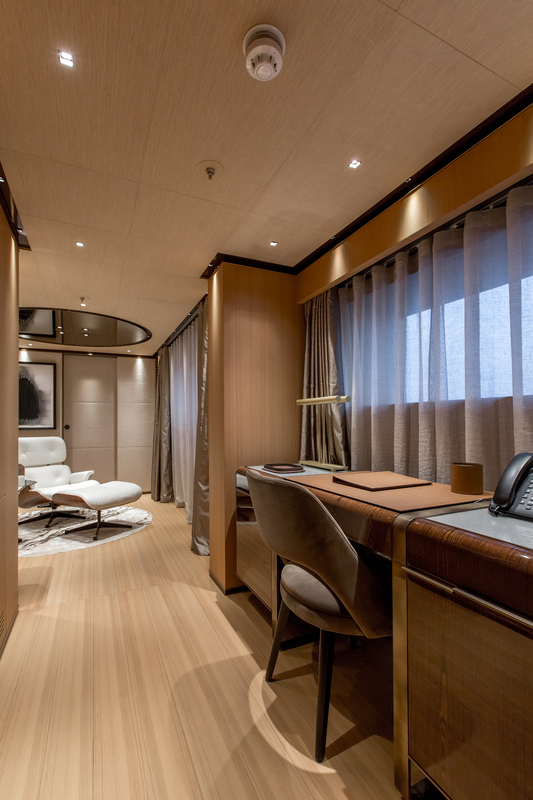 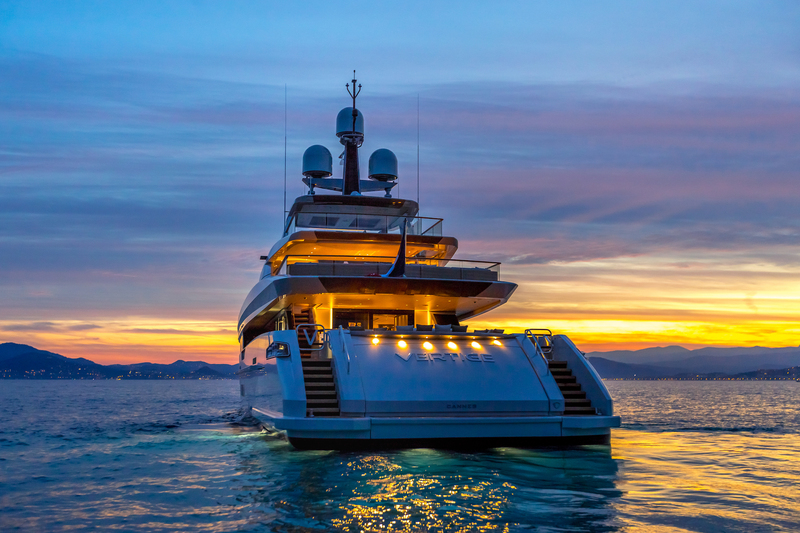 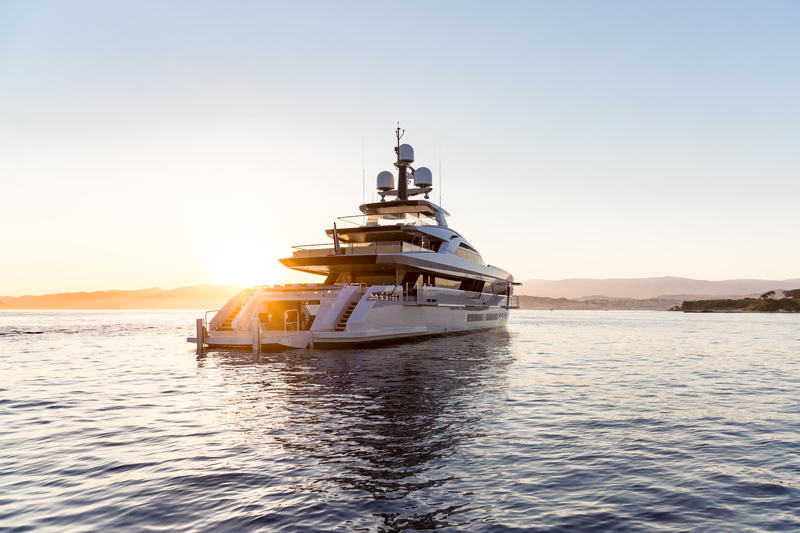 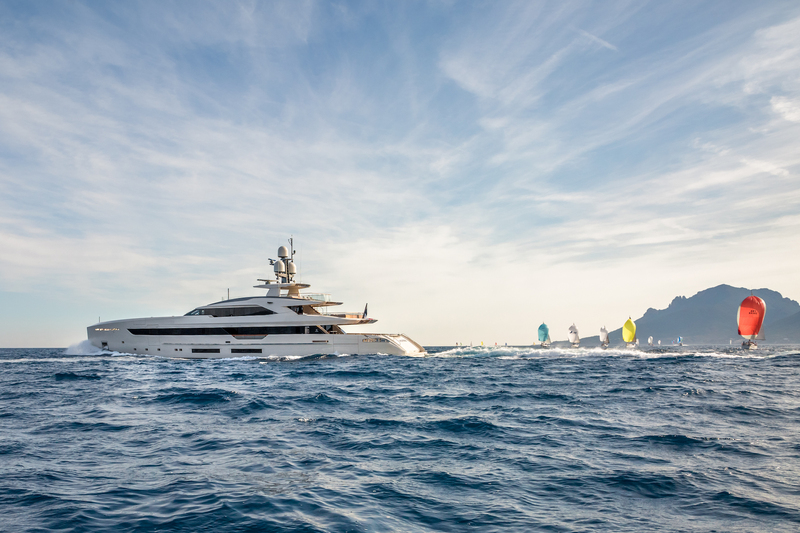 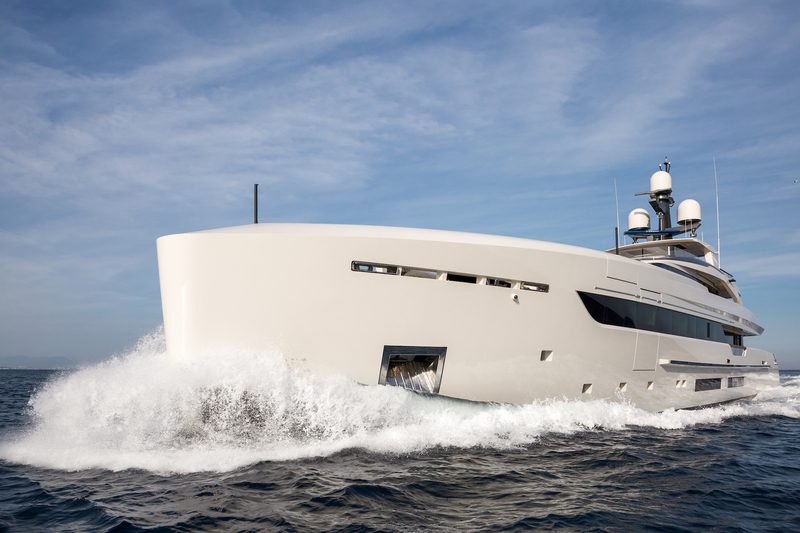 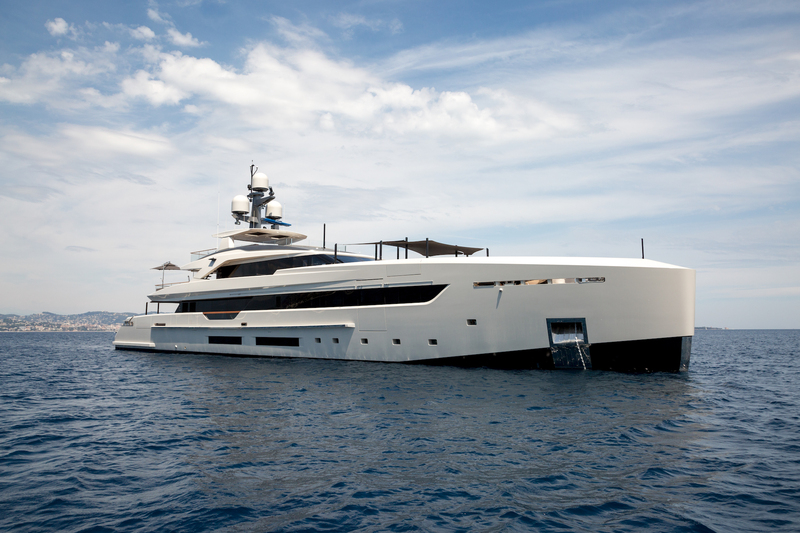 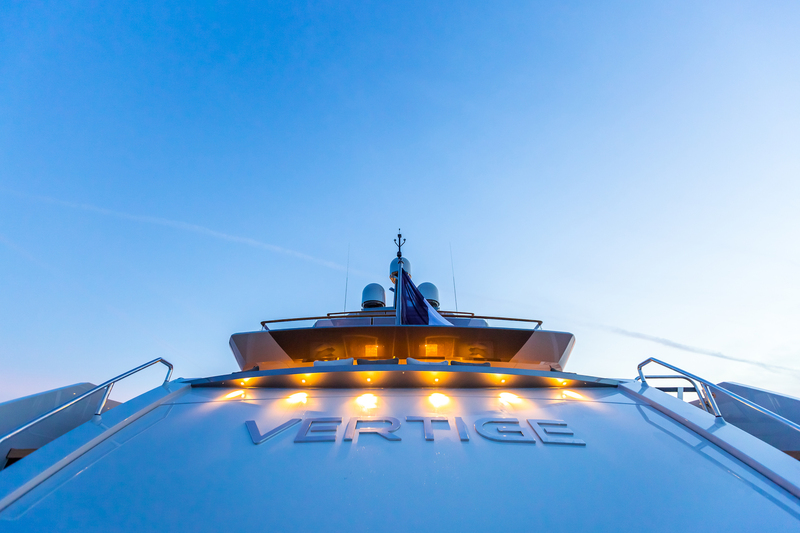 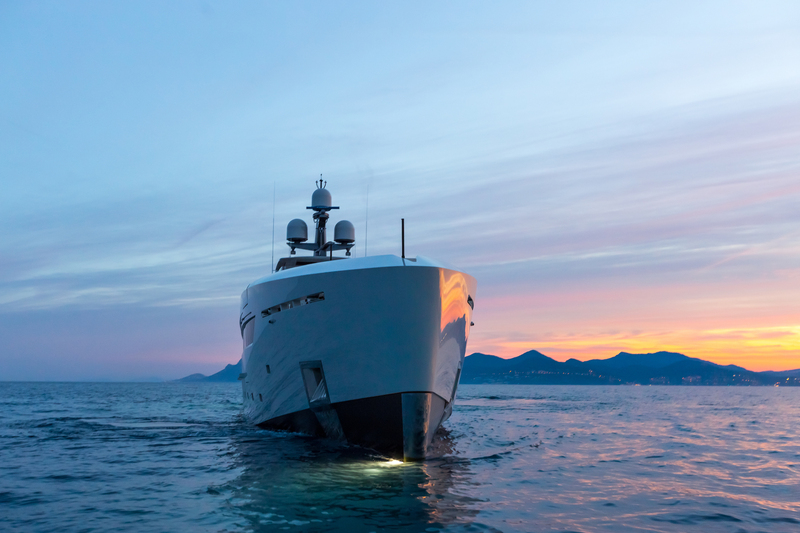 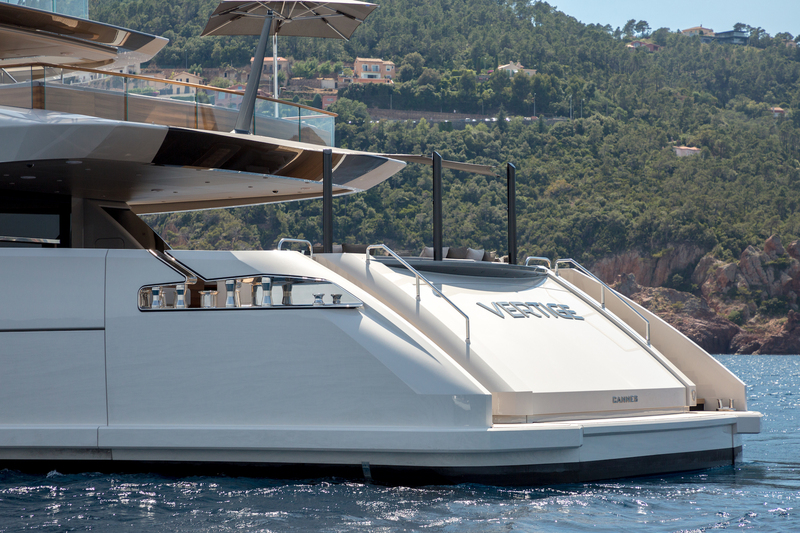 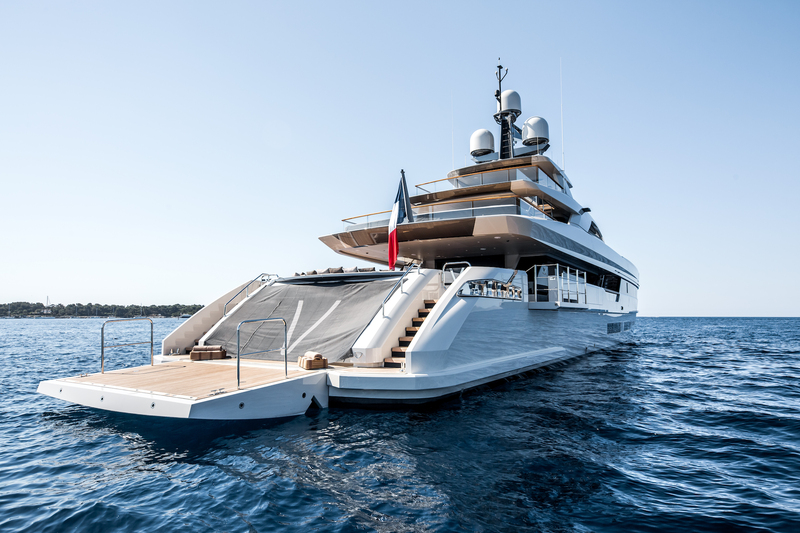 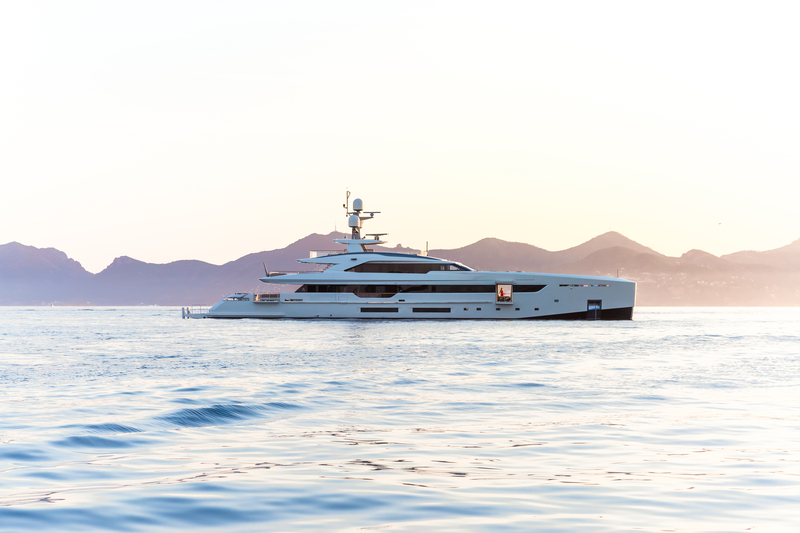 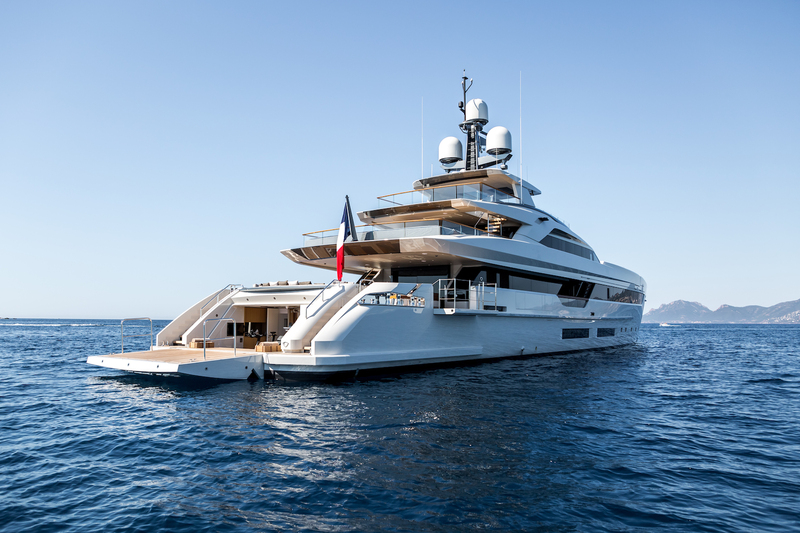 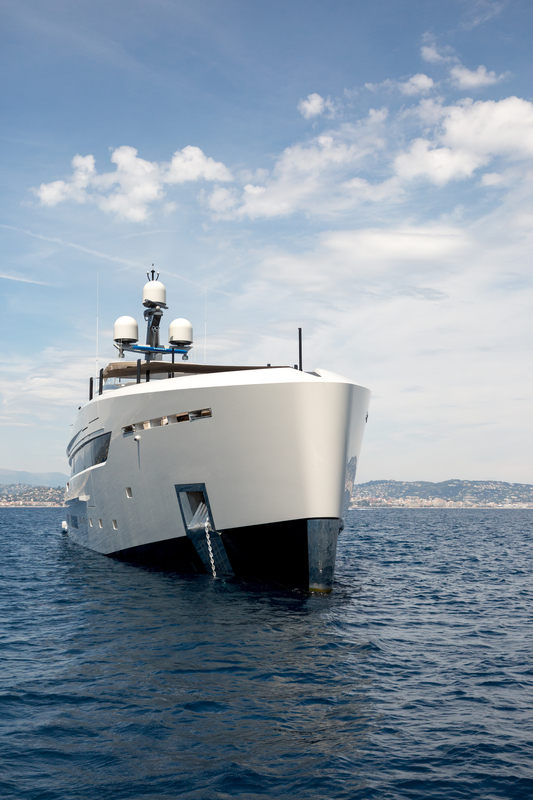 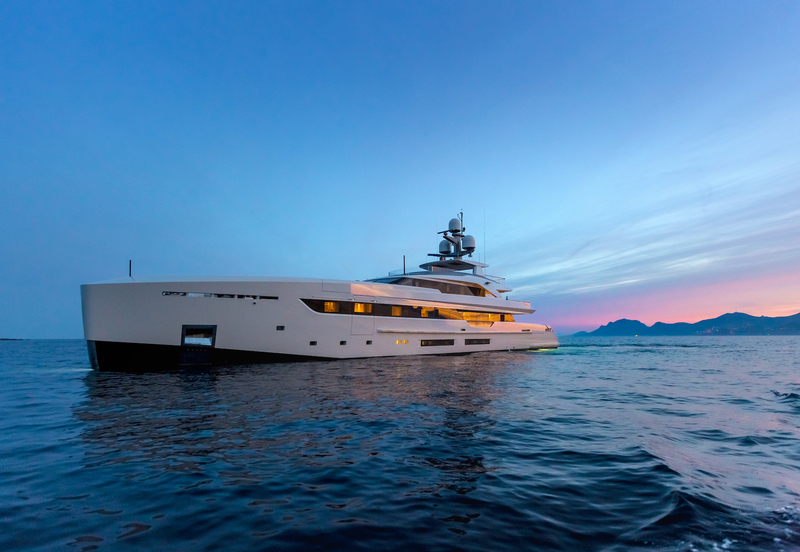 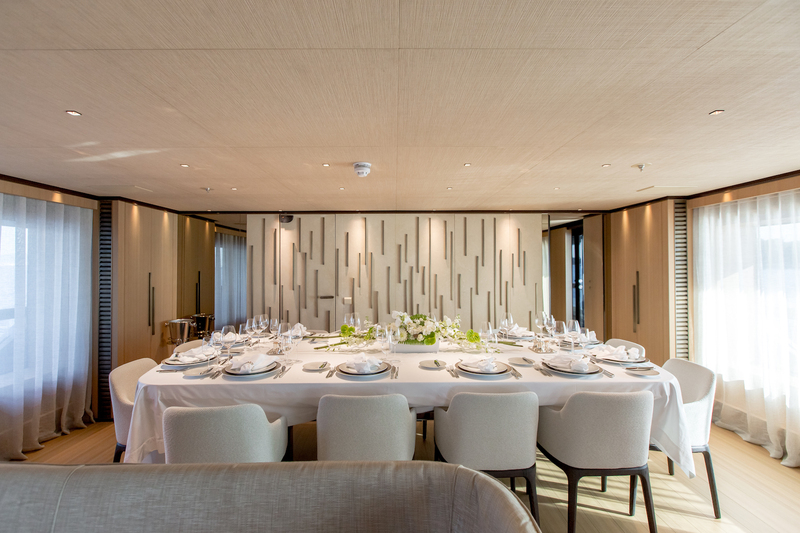 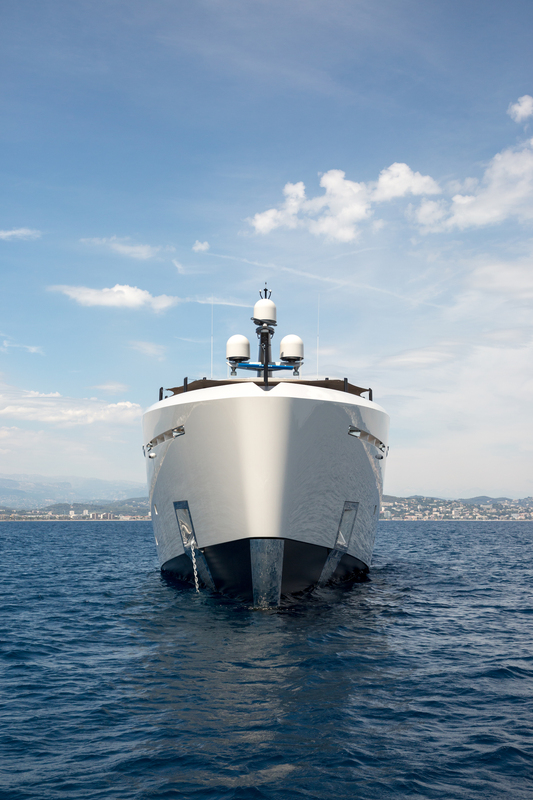 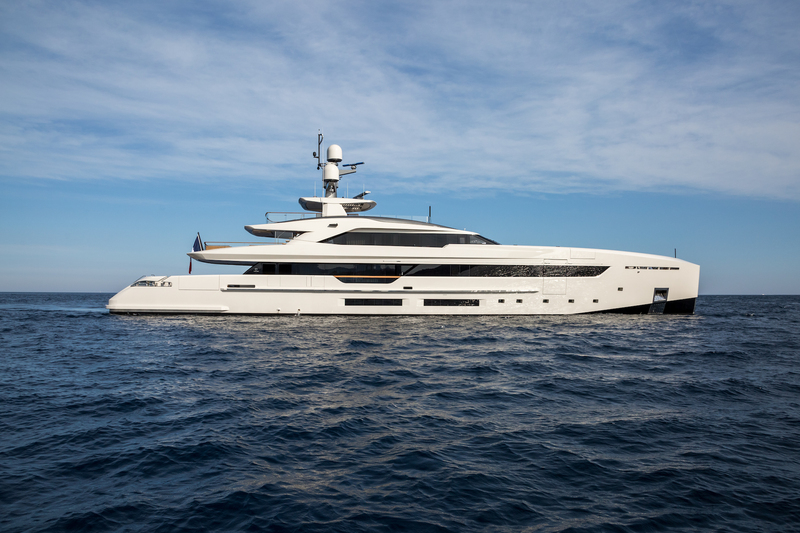 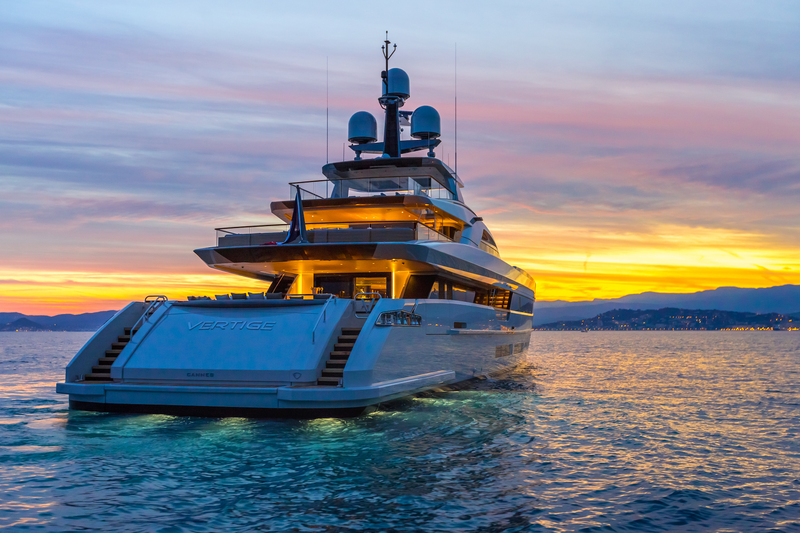 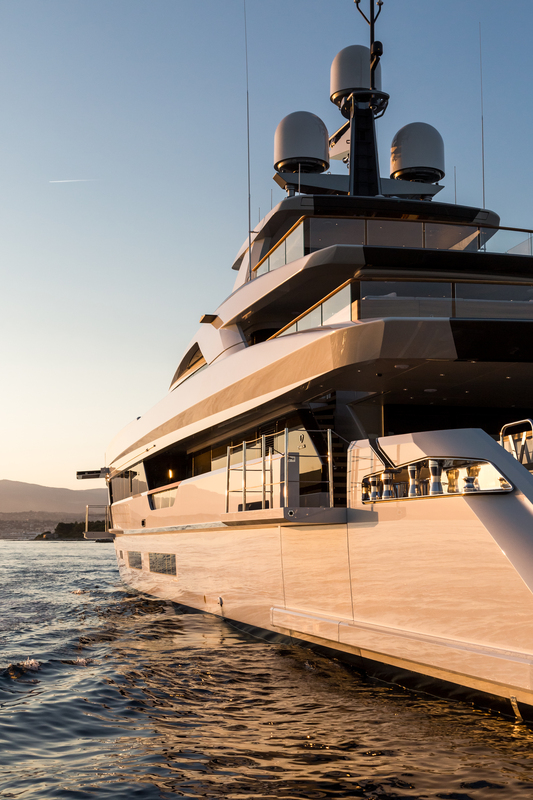 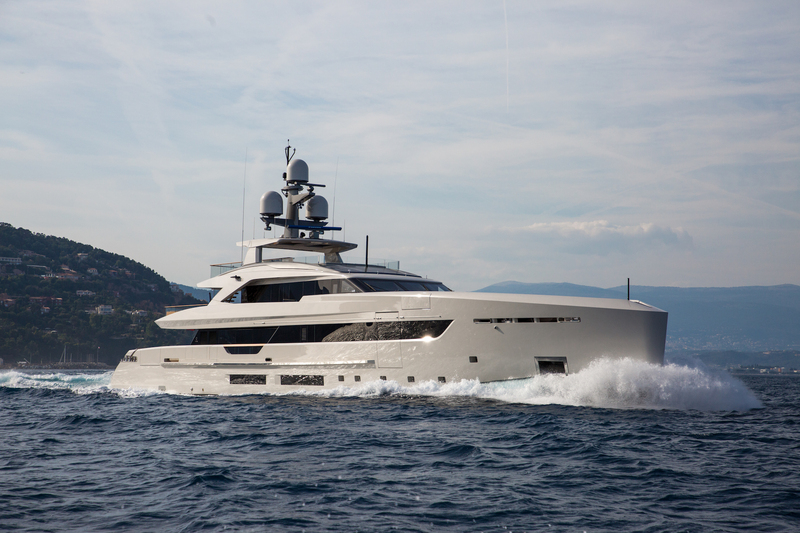 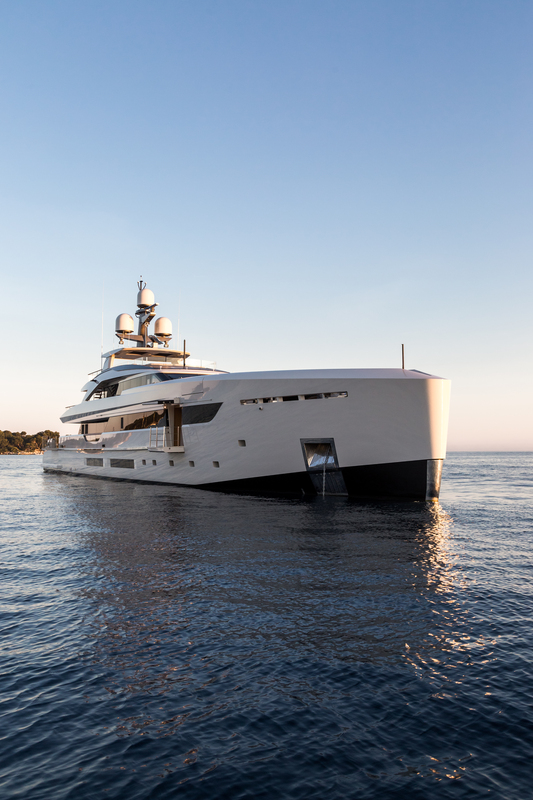 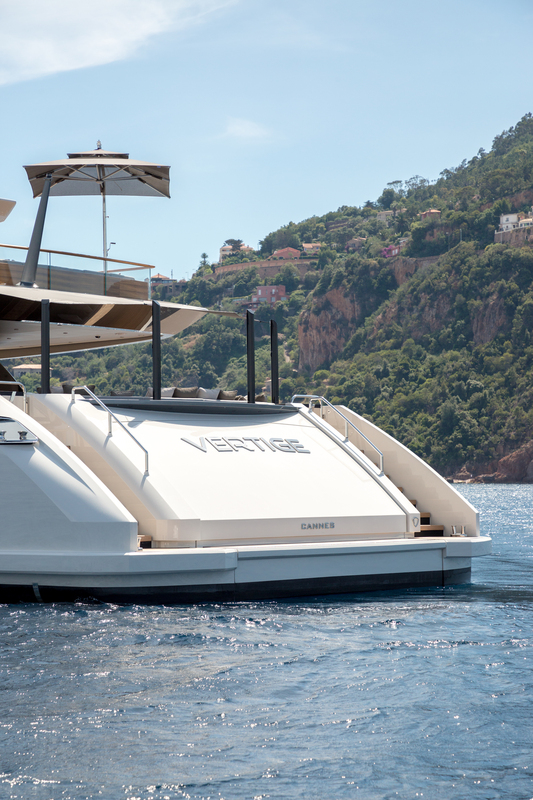 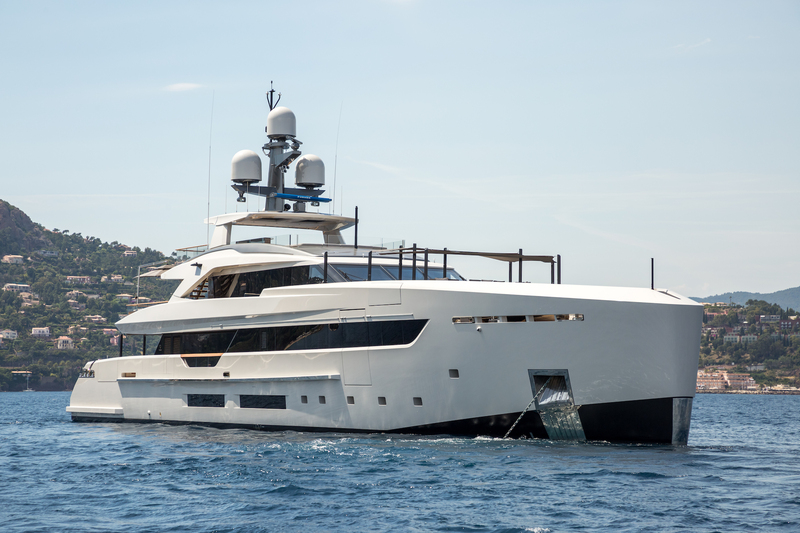 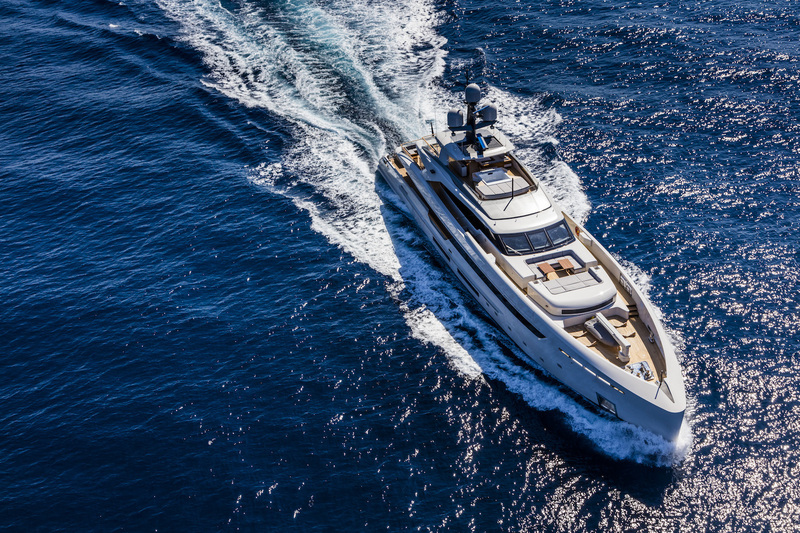 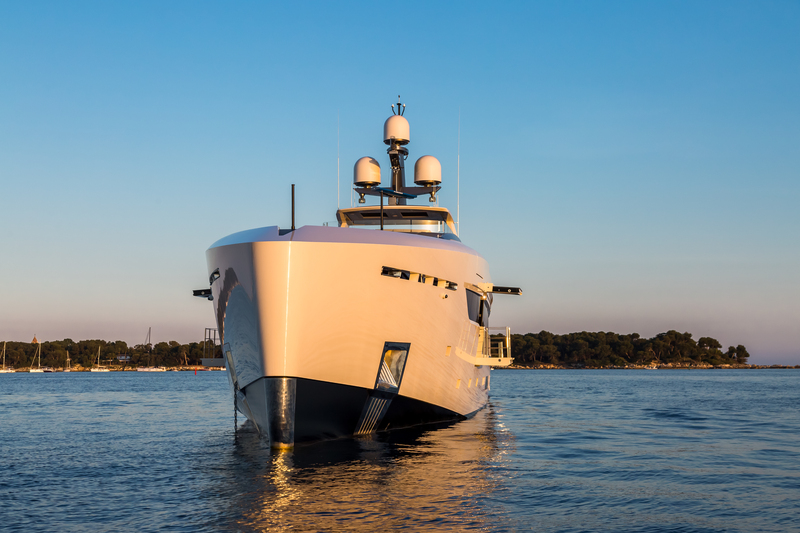 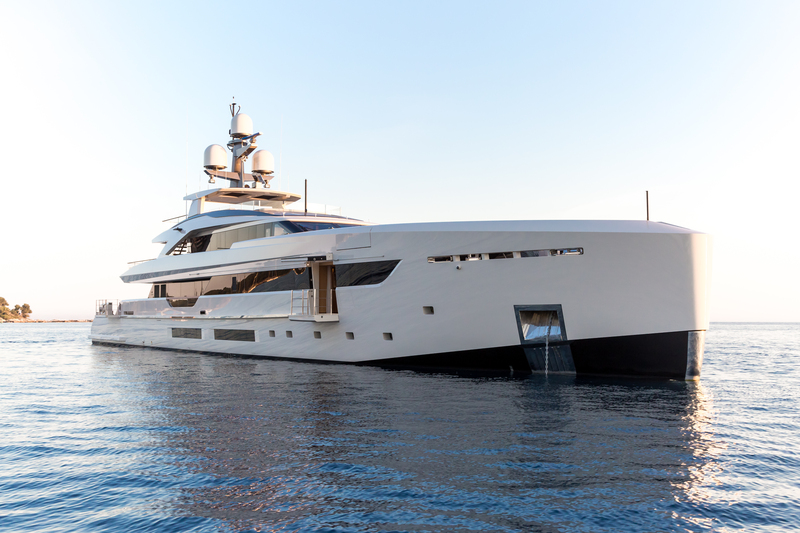 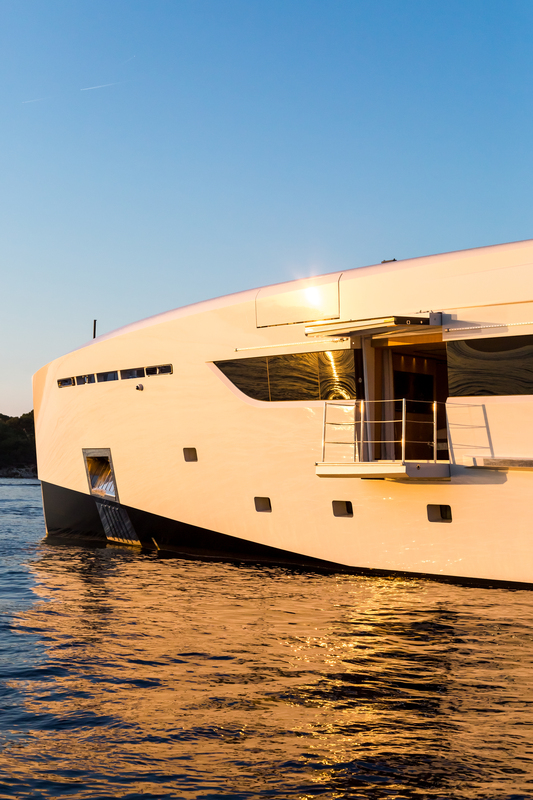 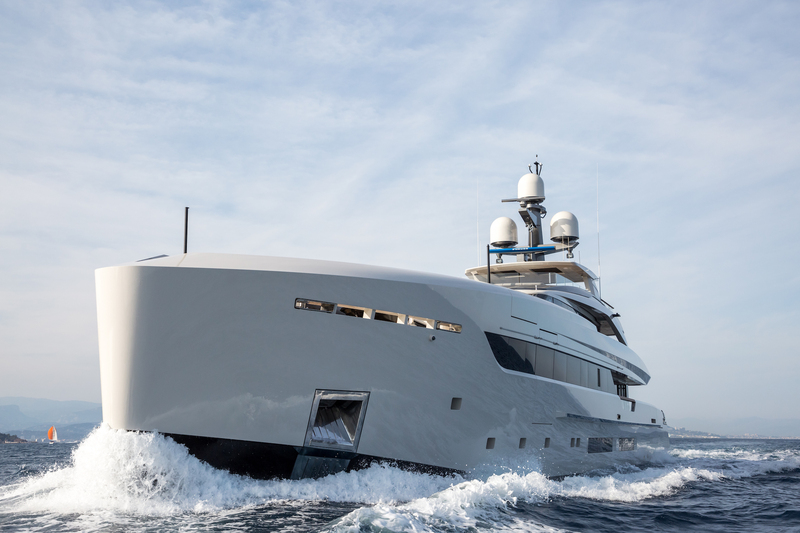 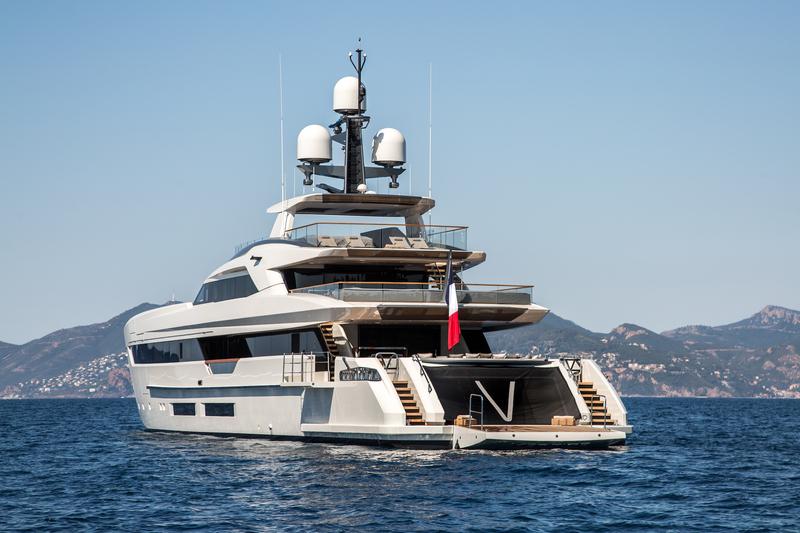 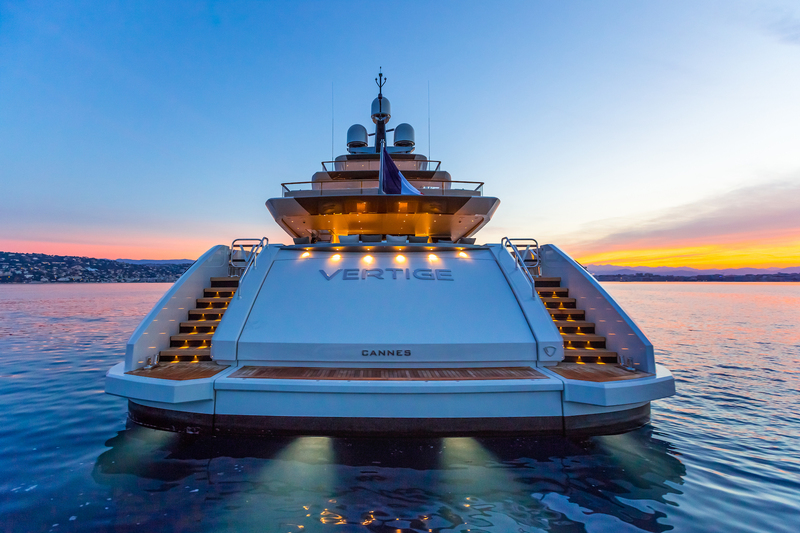 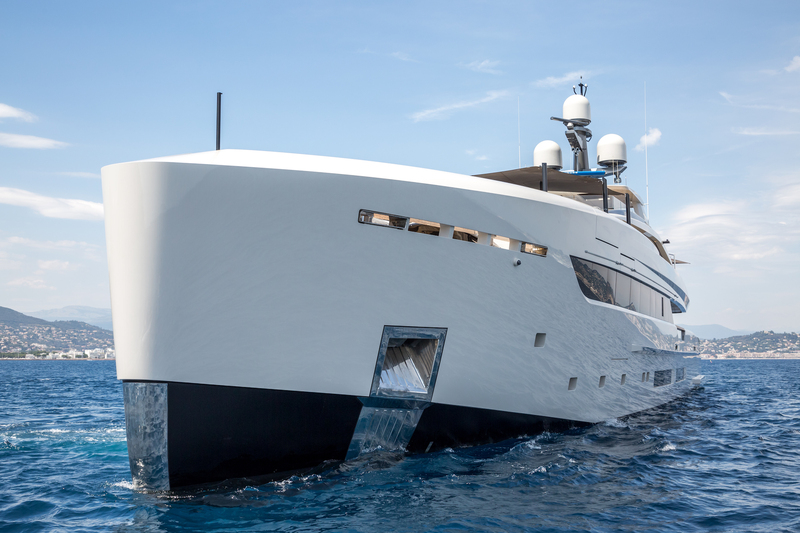 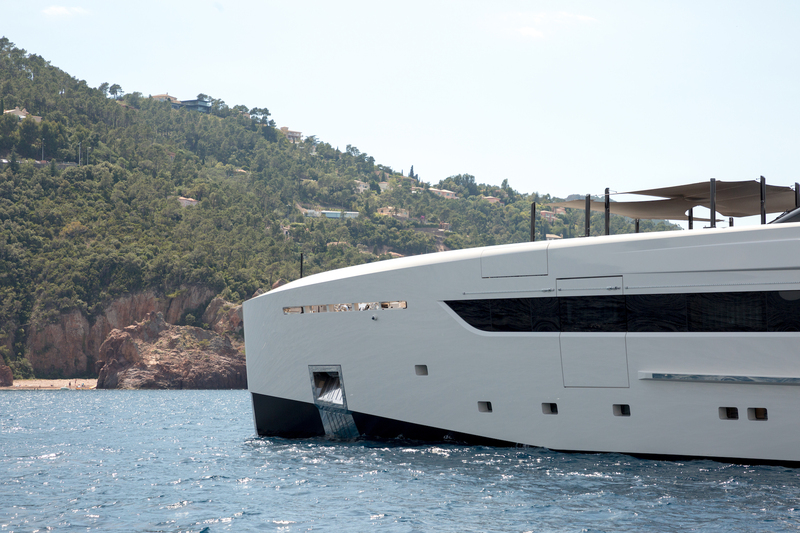 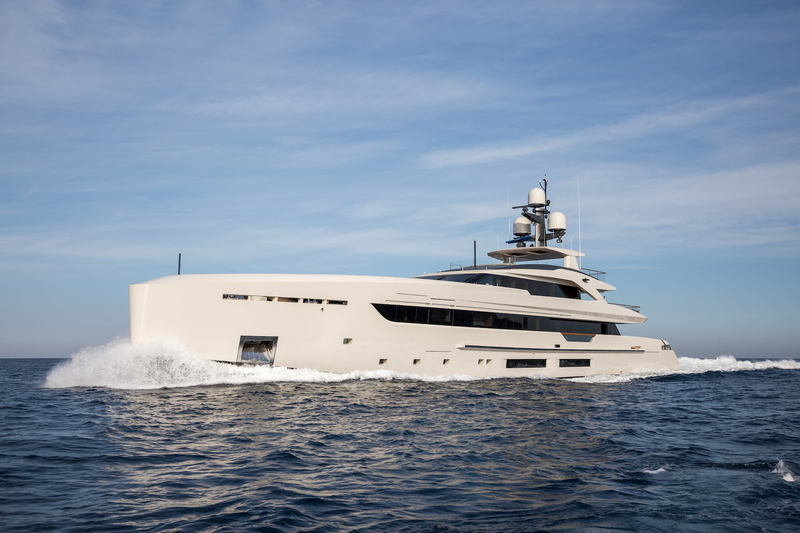 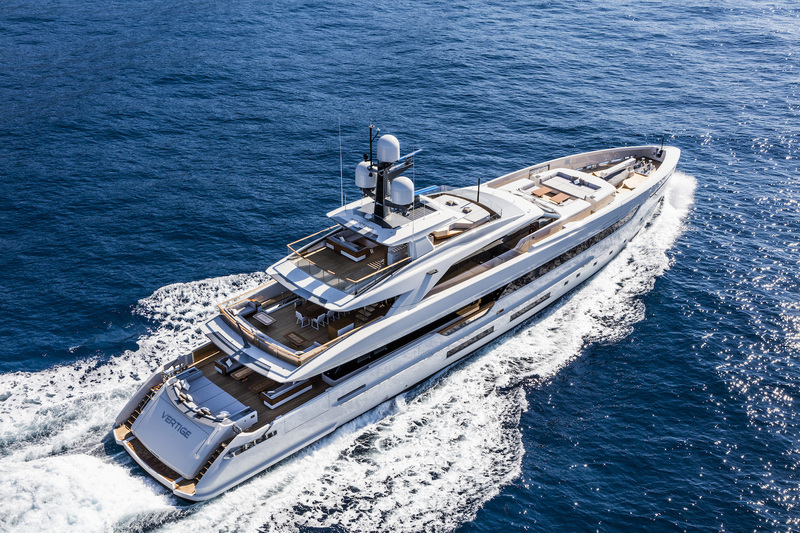 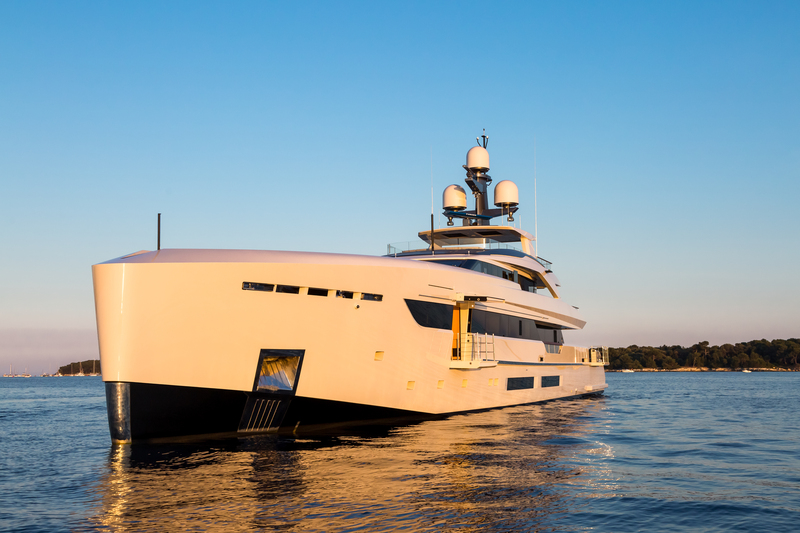 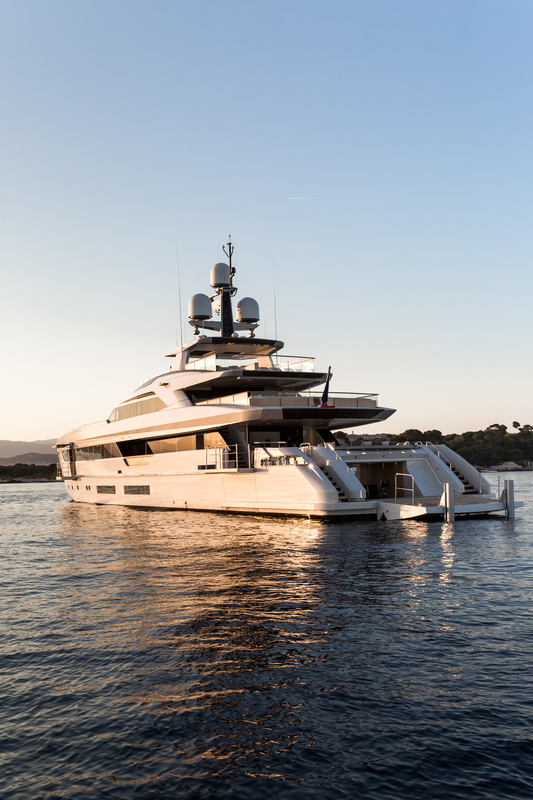 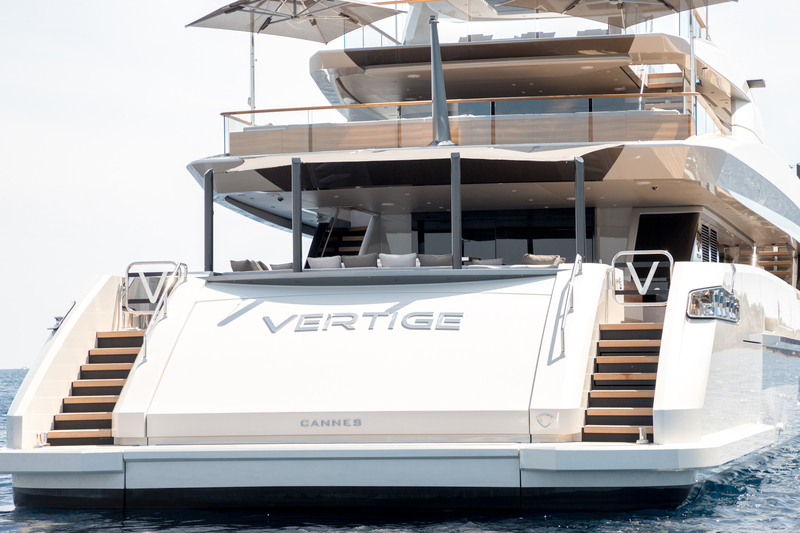 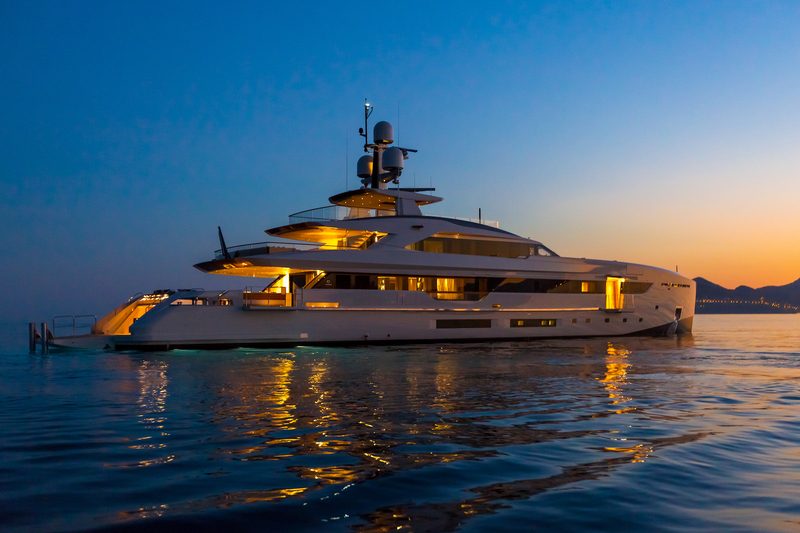 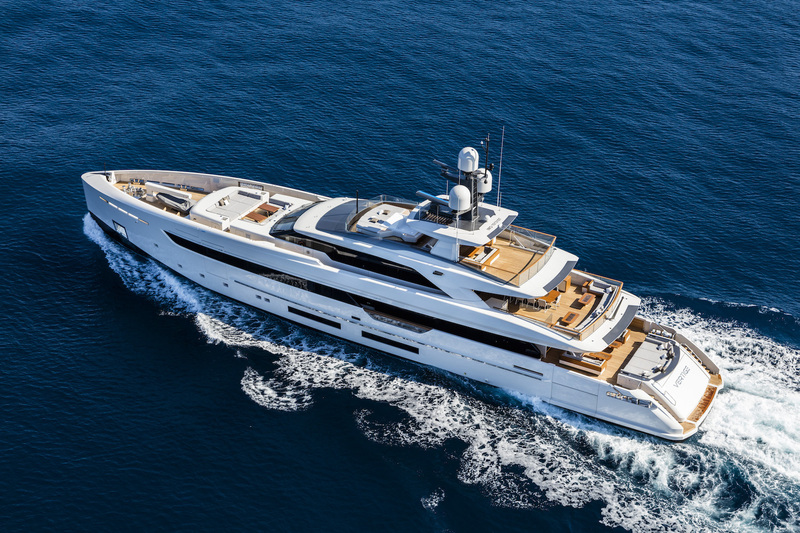 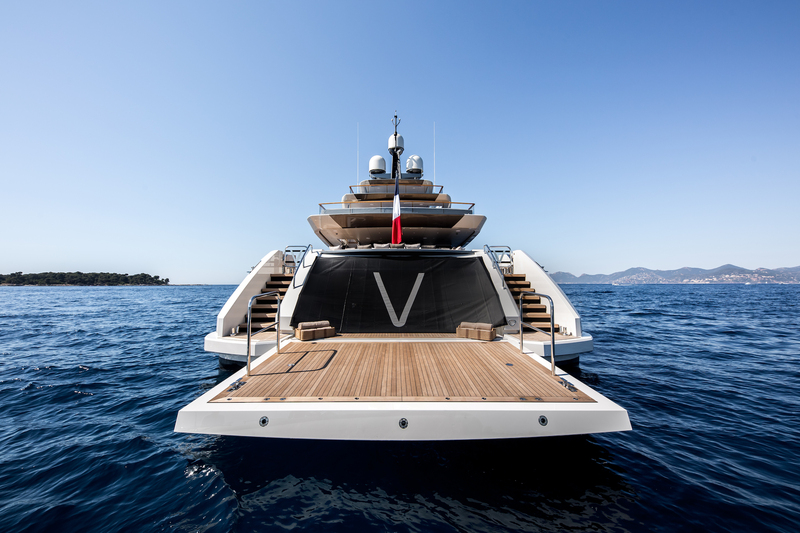 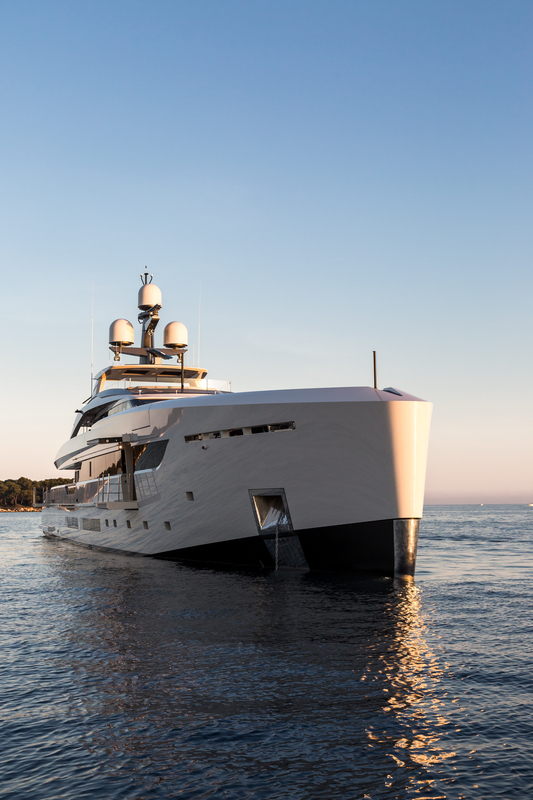 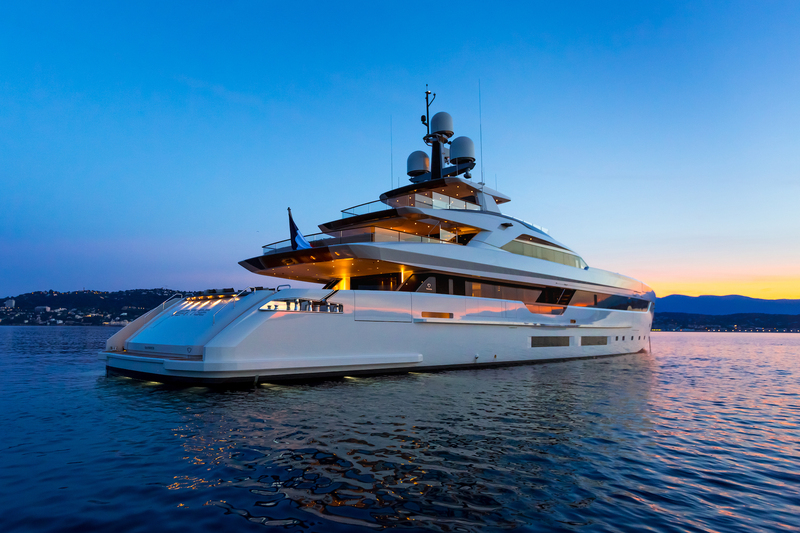 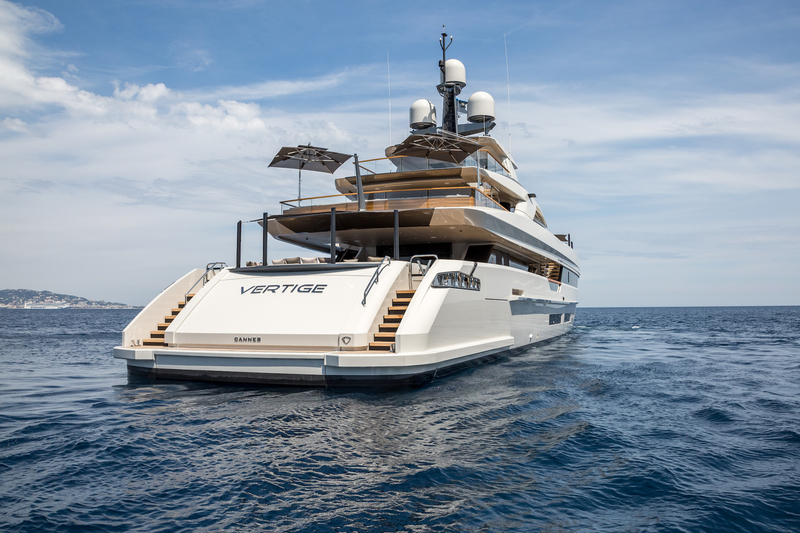 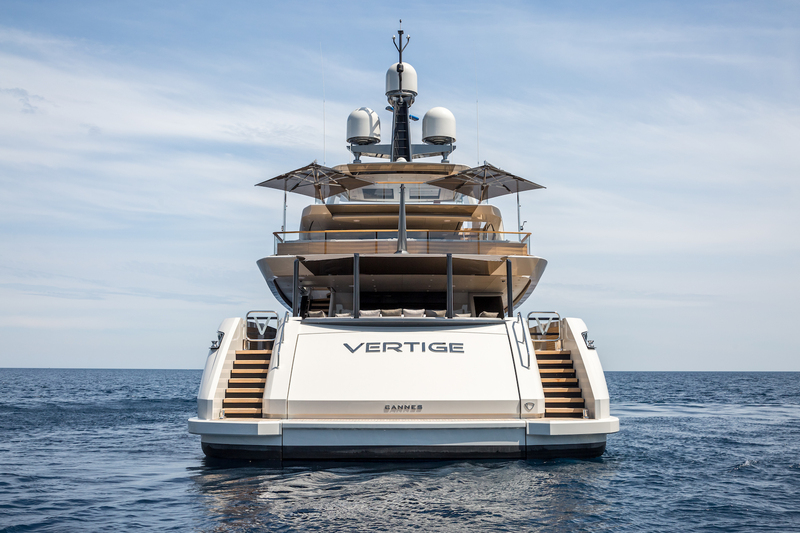 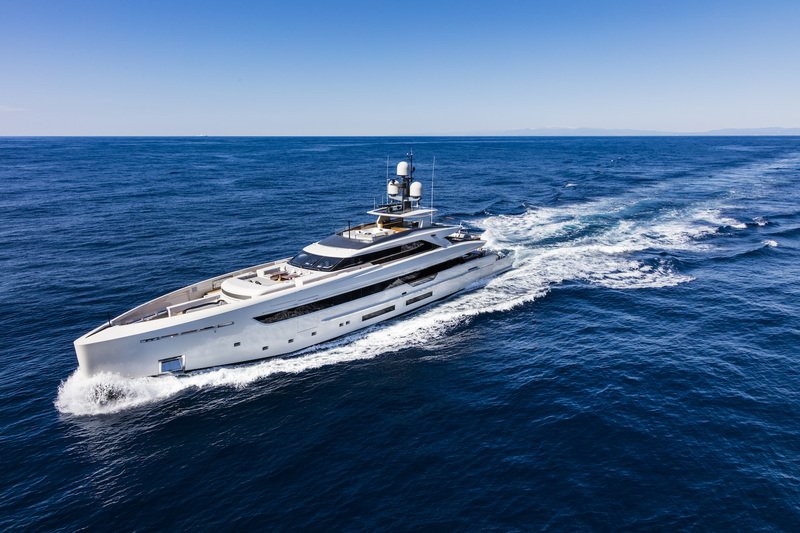 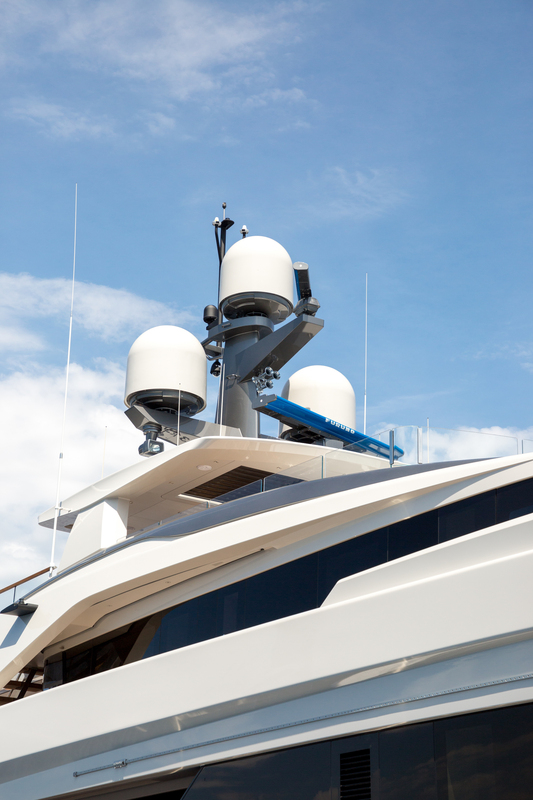 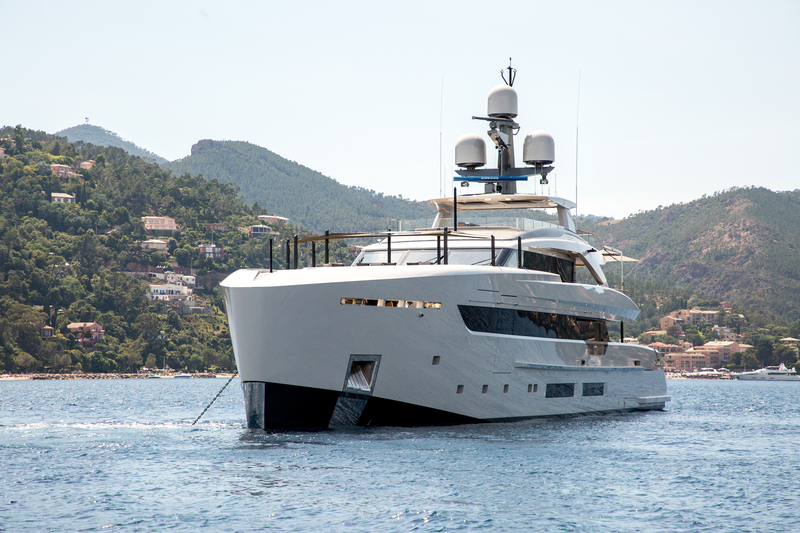 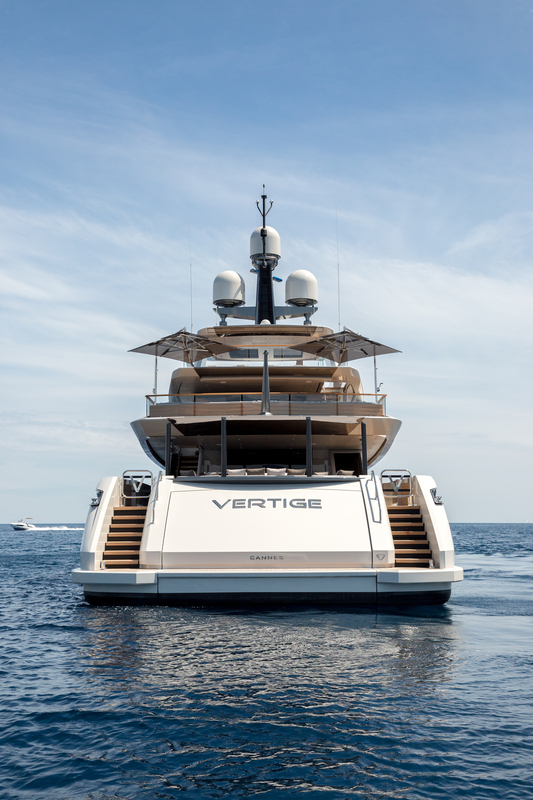 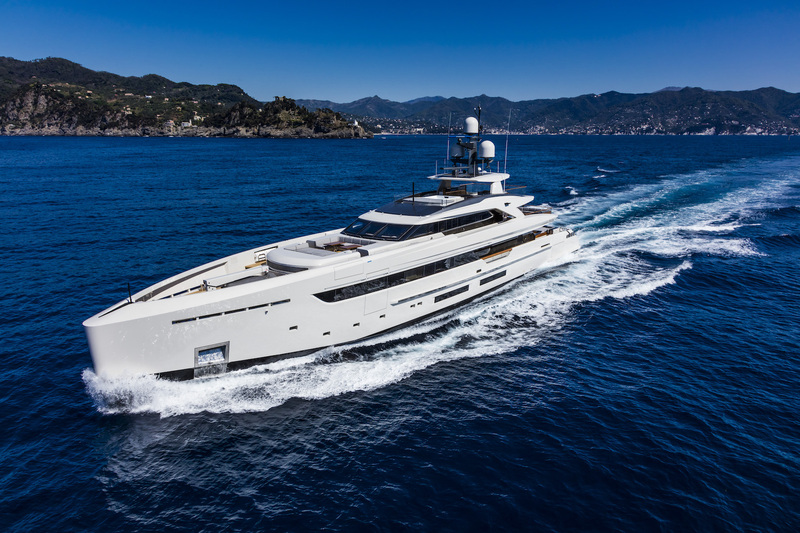 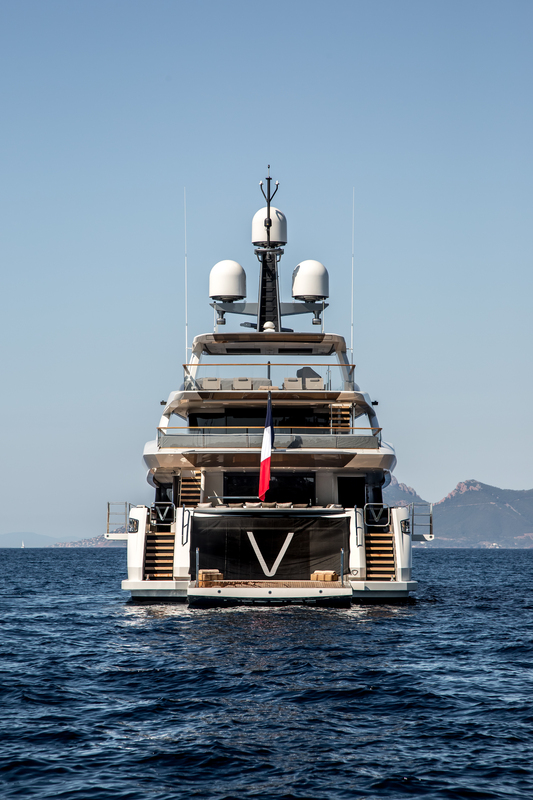 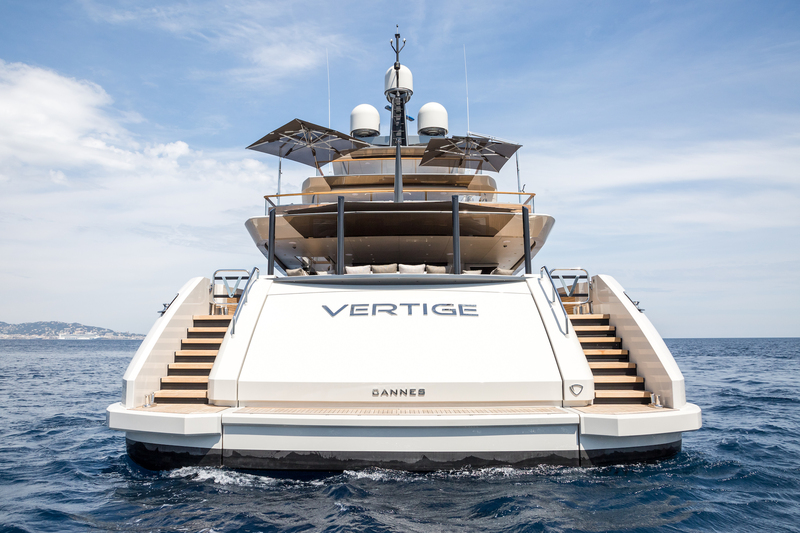 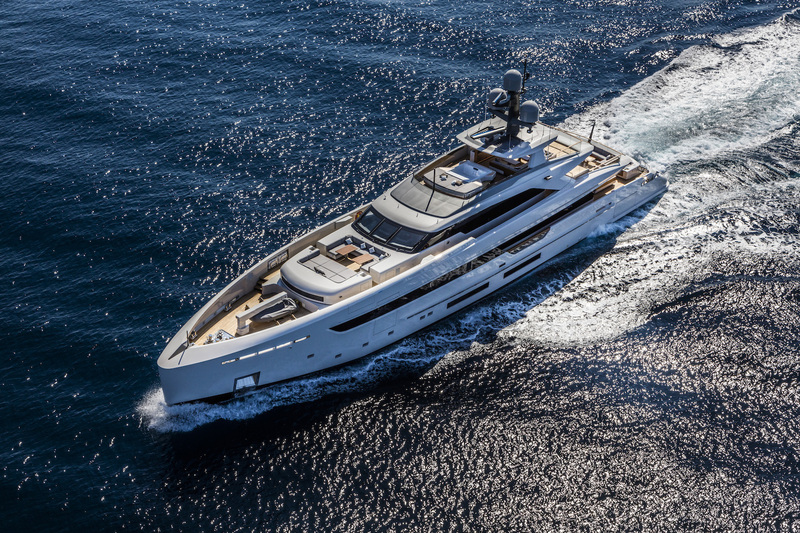 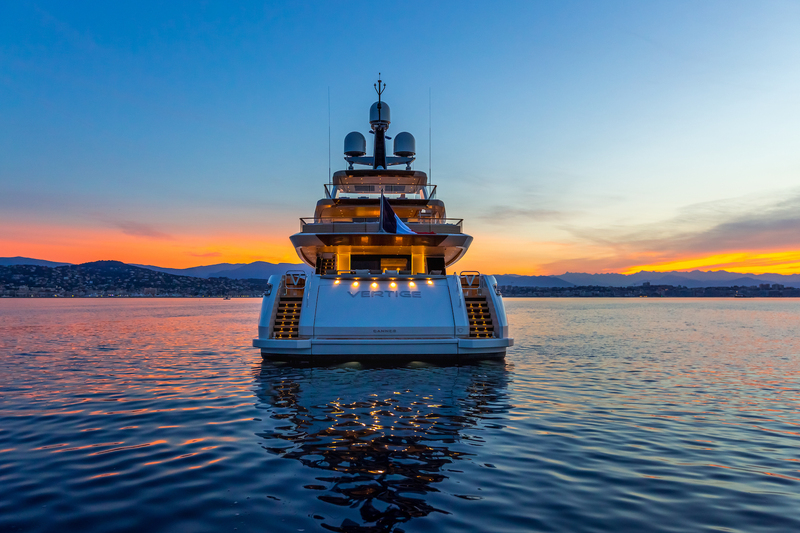 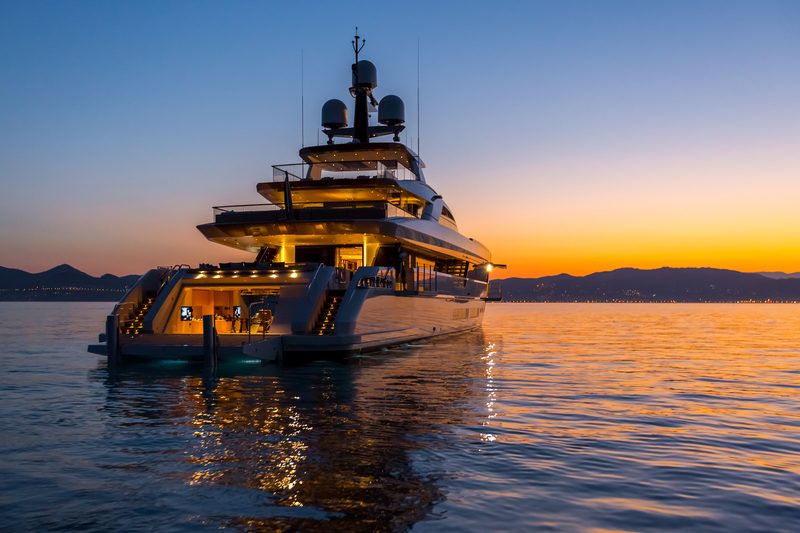 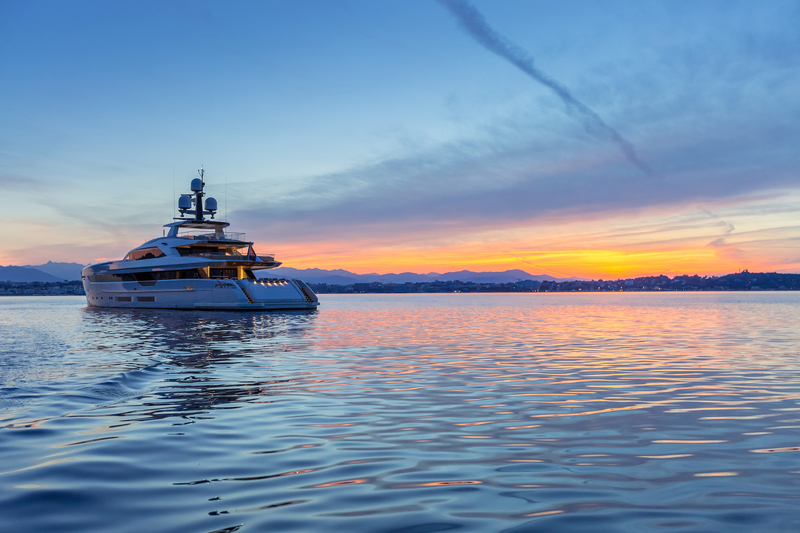 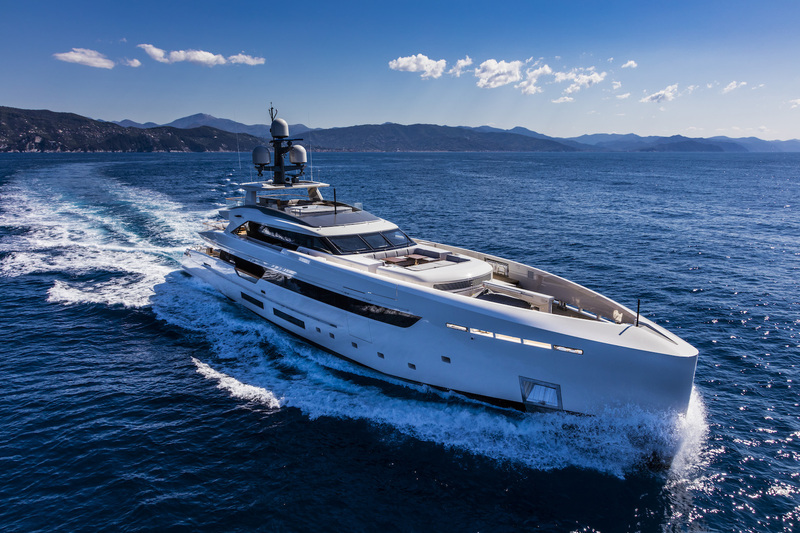 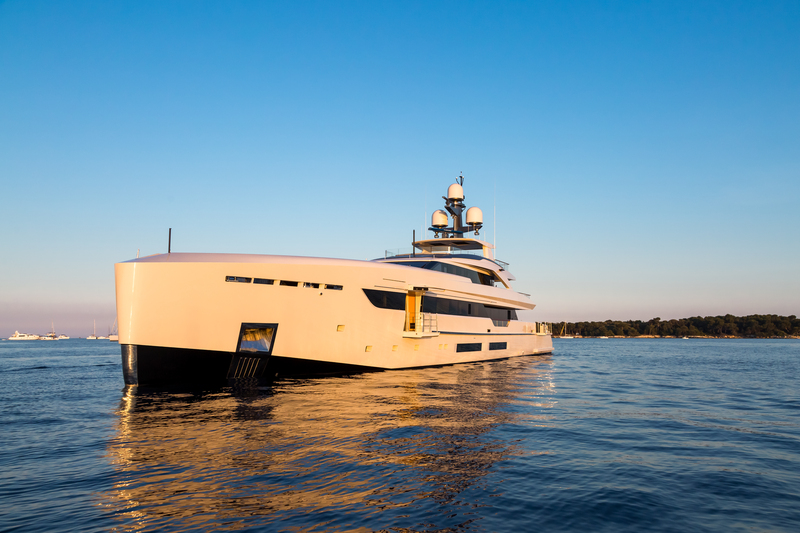 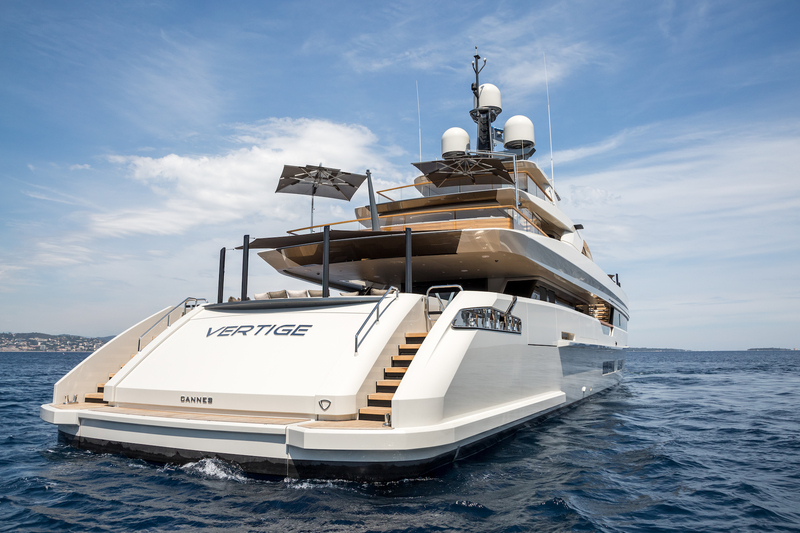 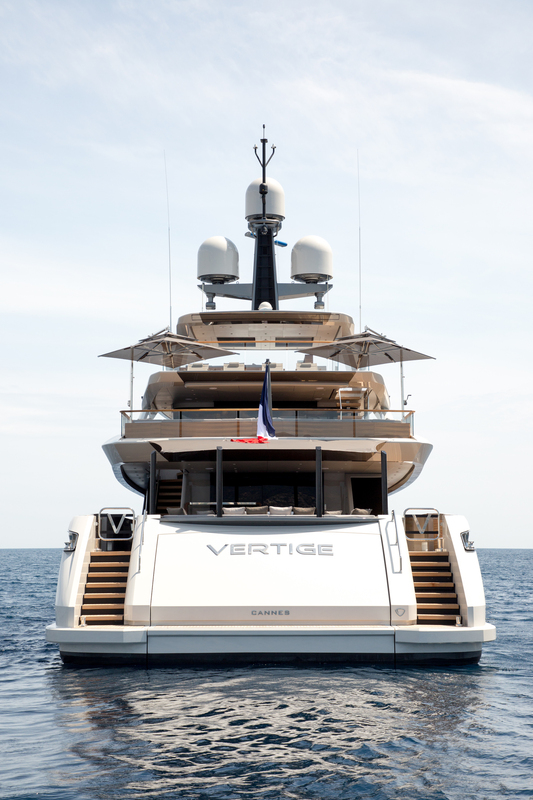 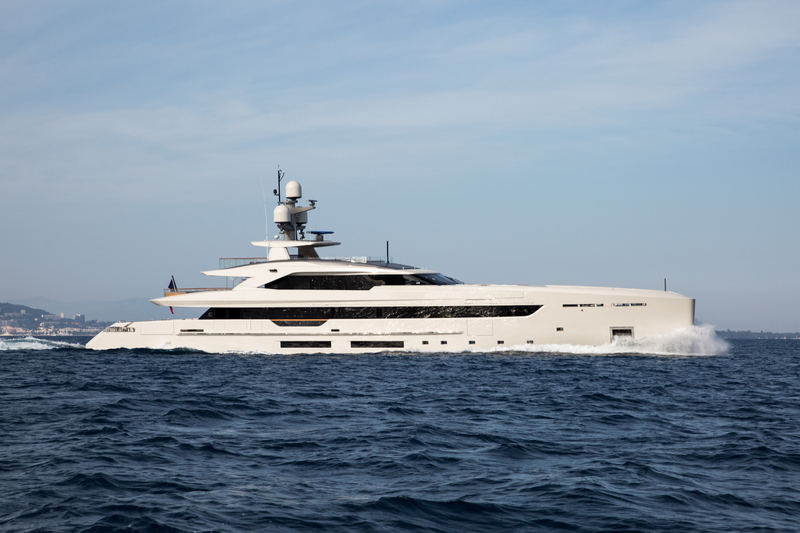 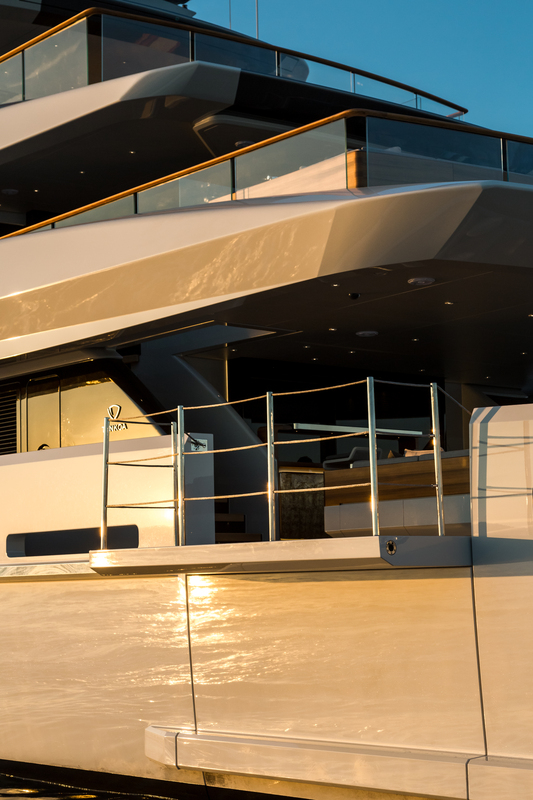 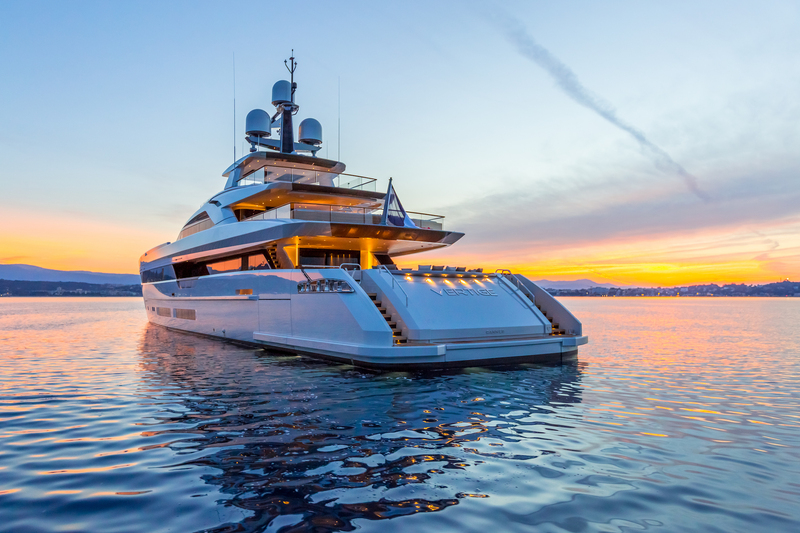 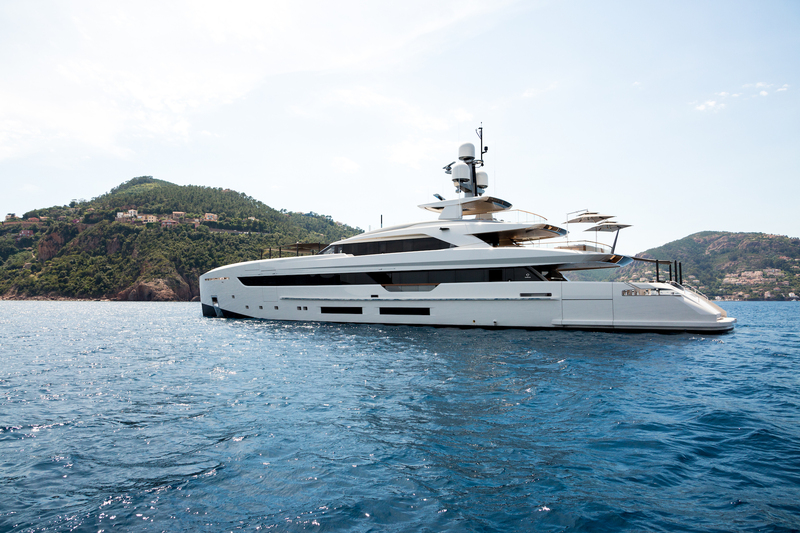 Tankoa superyacht Vertige provides deluxe accommodation in six cabins, including the main deck full-beam master and VIP suite, as well as four lower deck cabins for up to 12 charter guests. 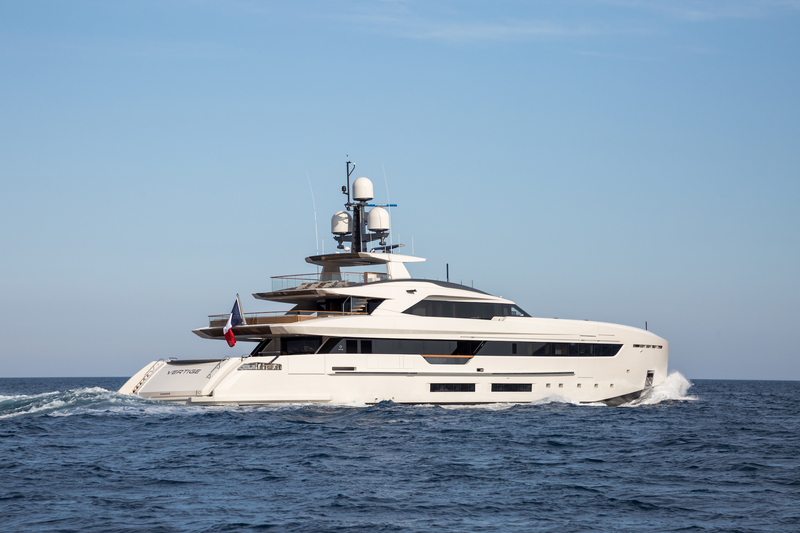 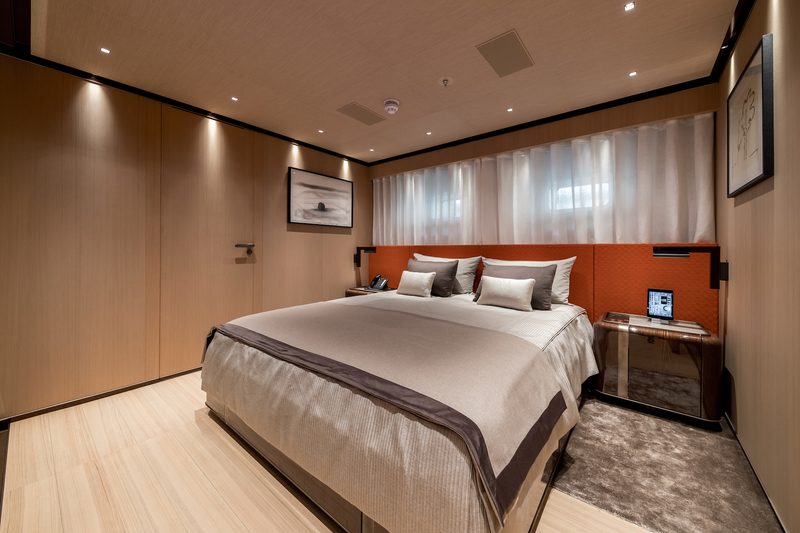 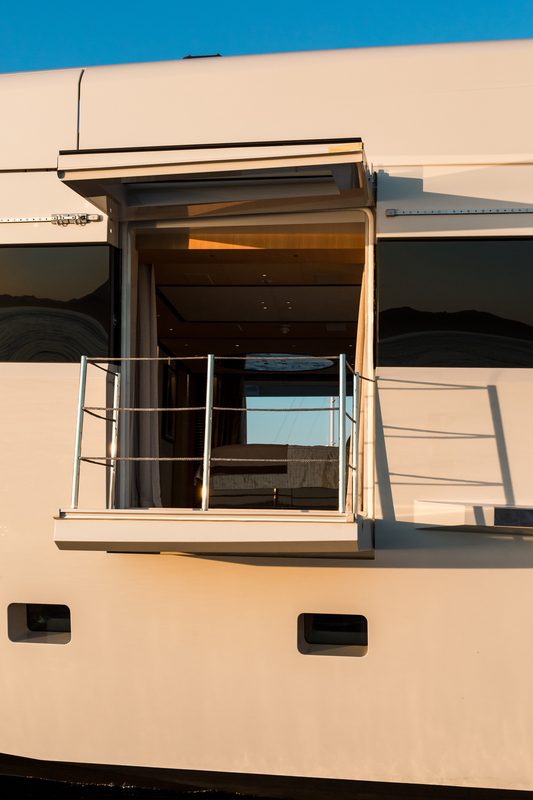 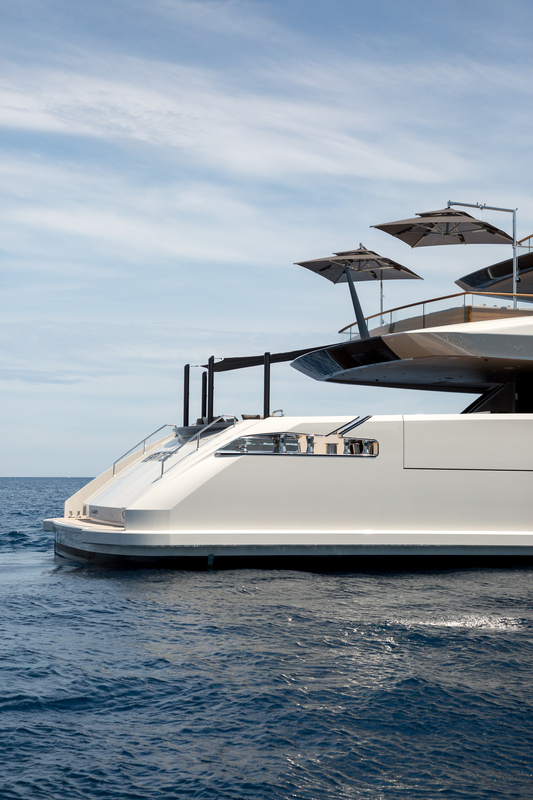 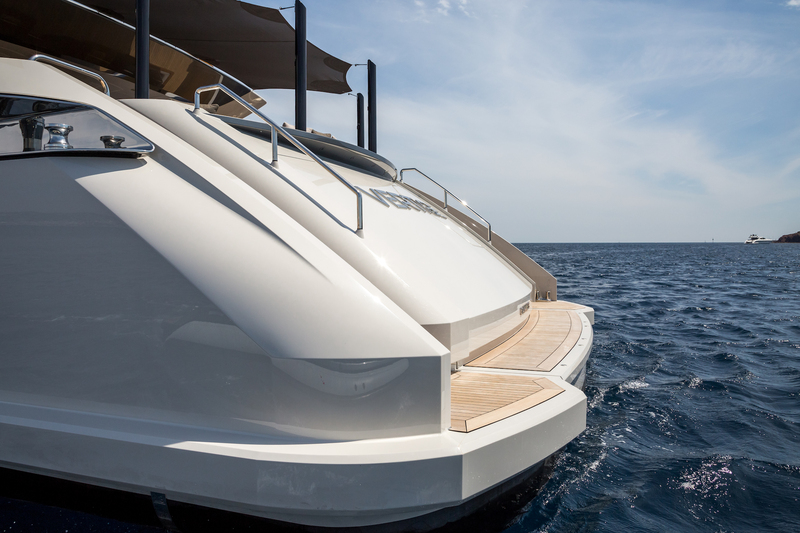 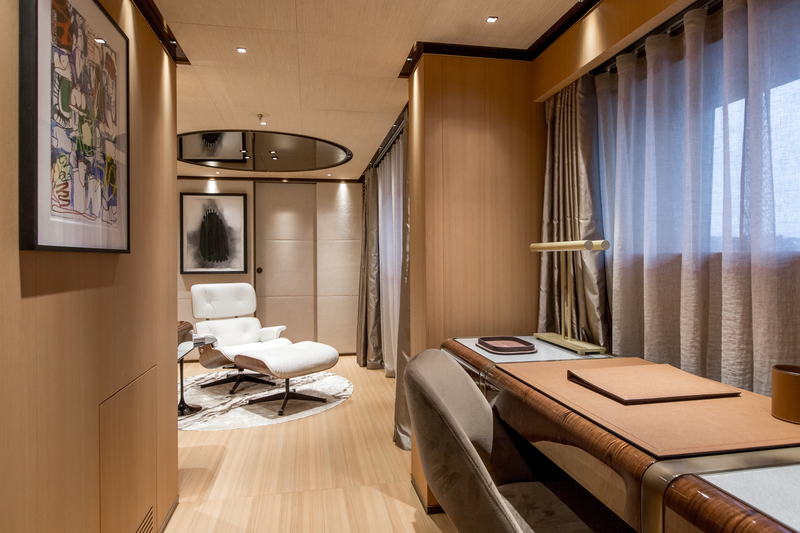 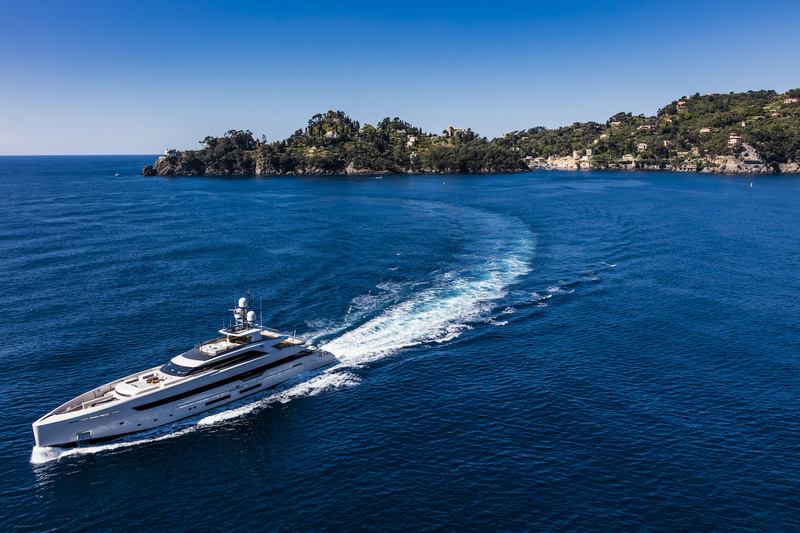 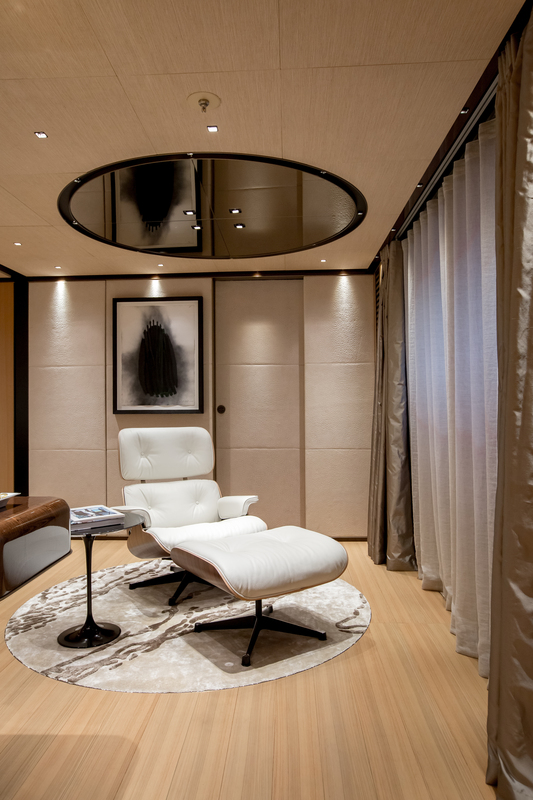 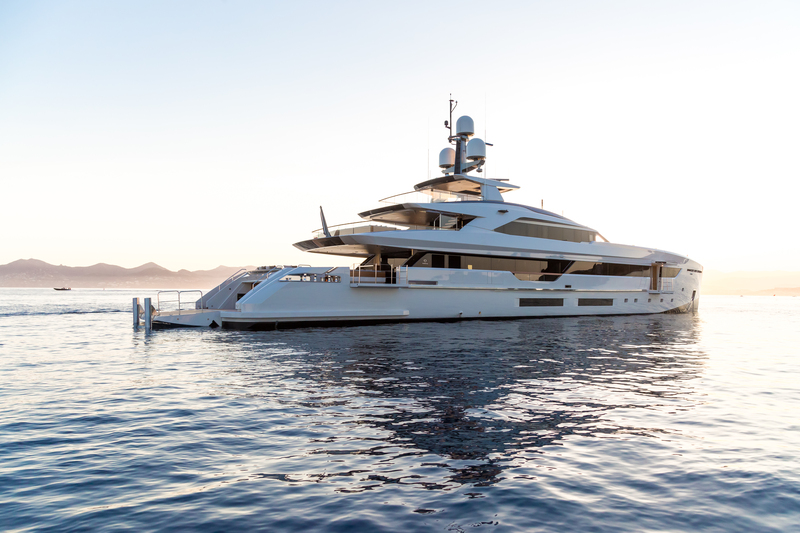 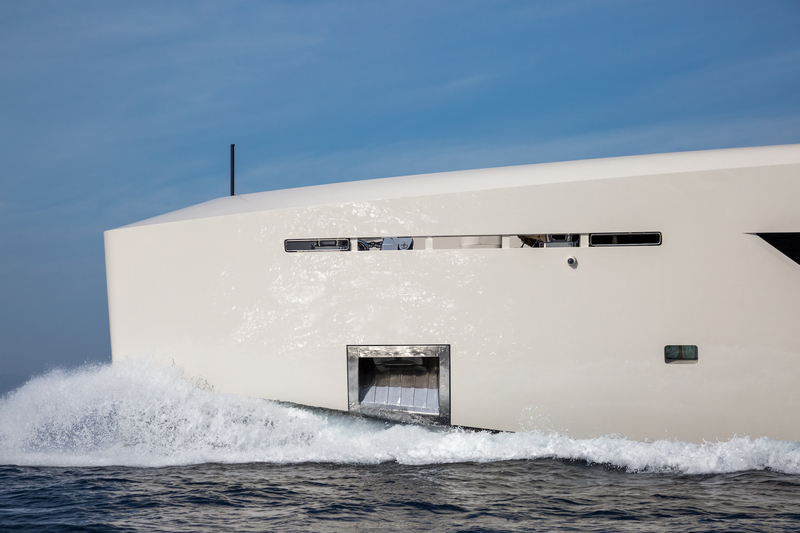 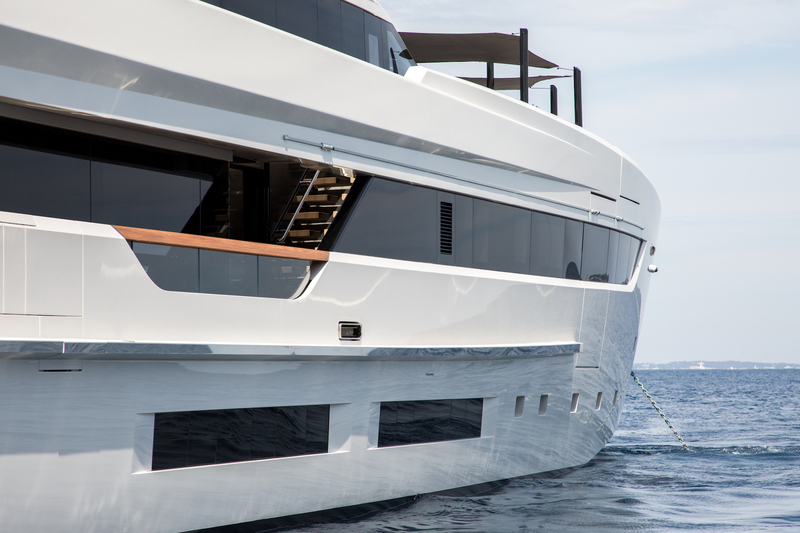 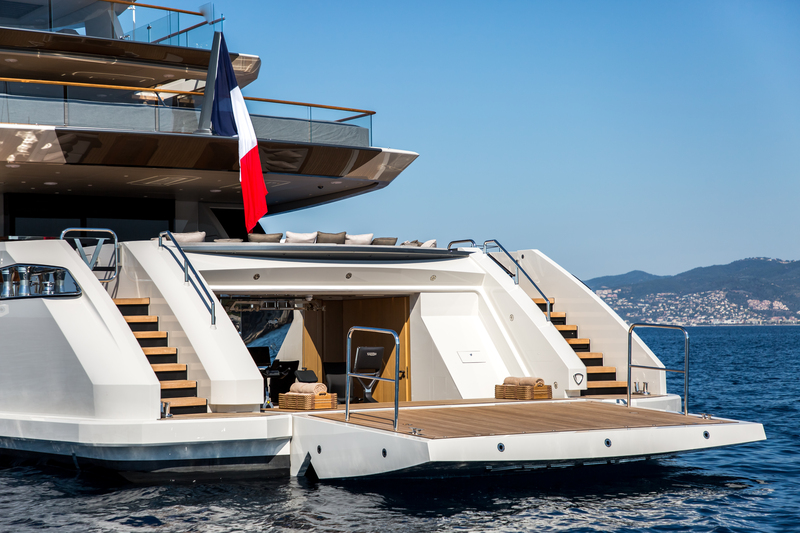 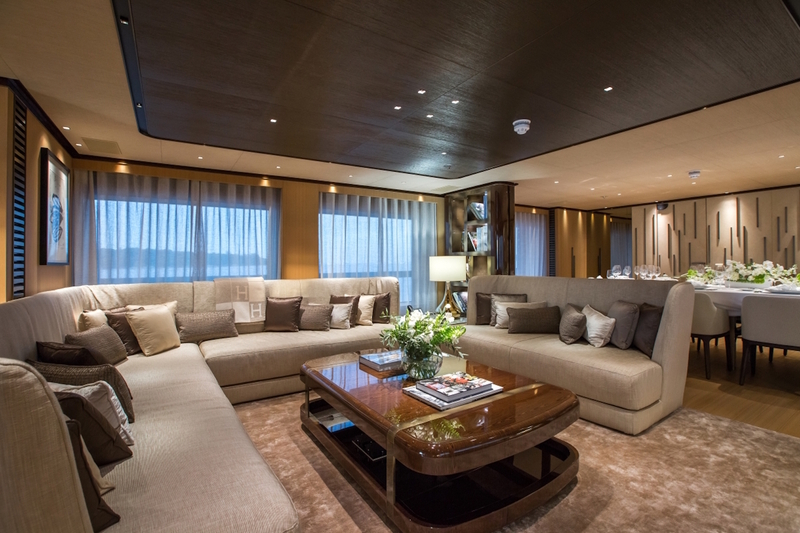 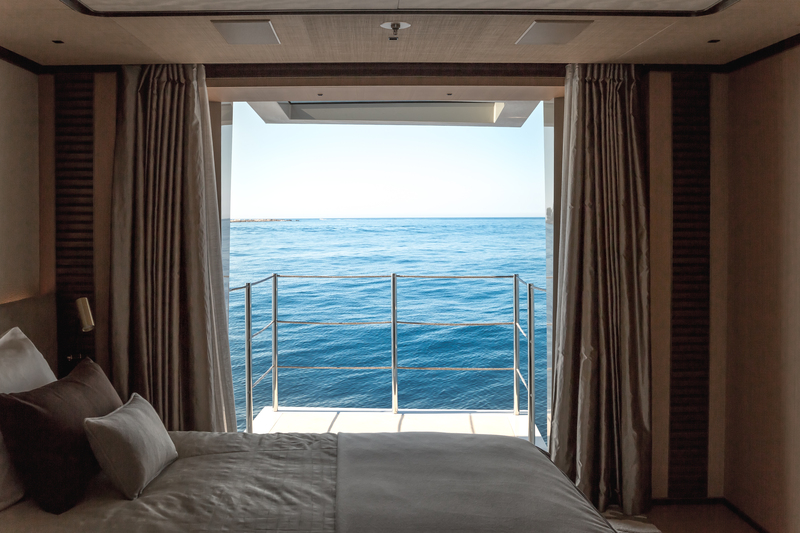 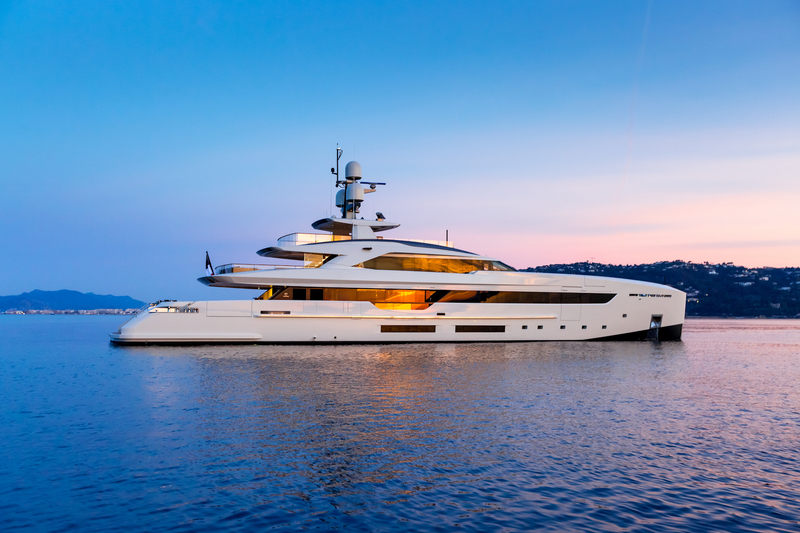 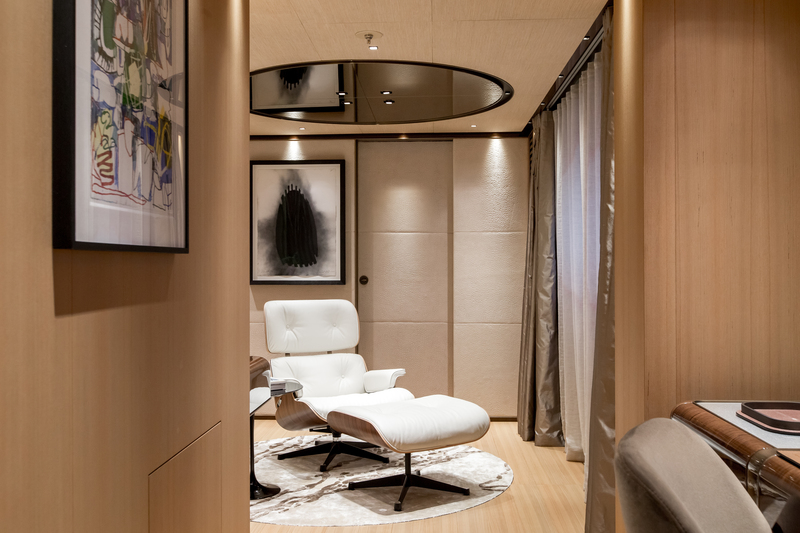 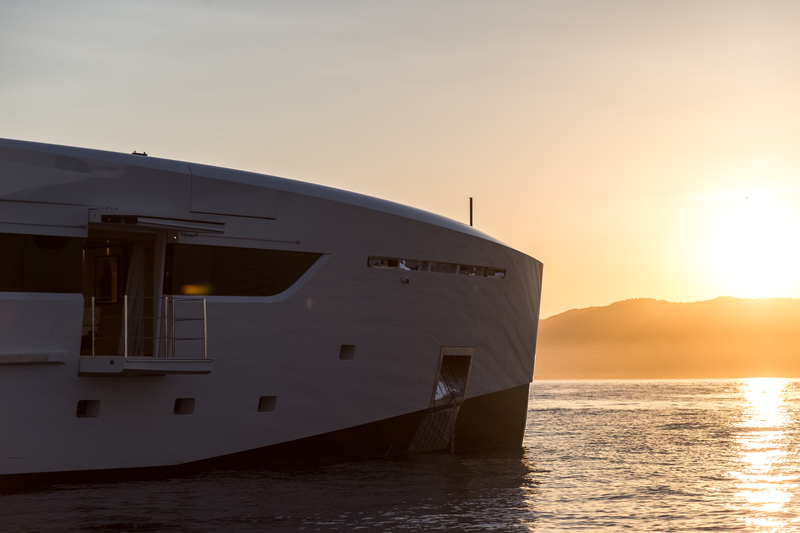 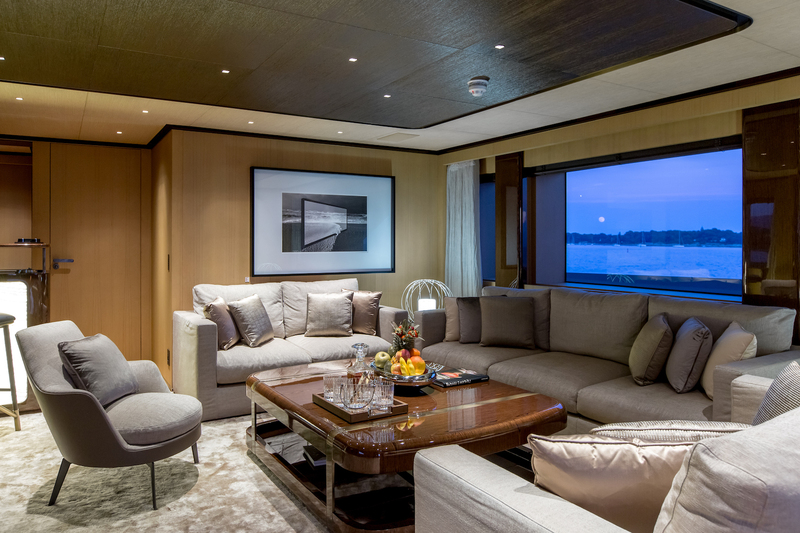 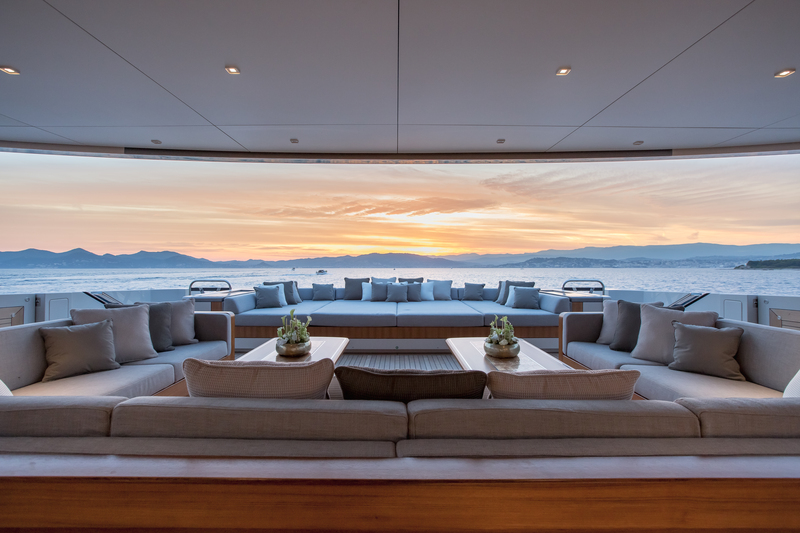 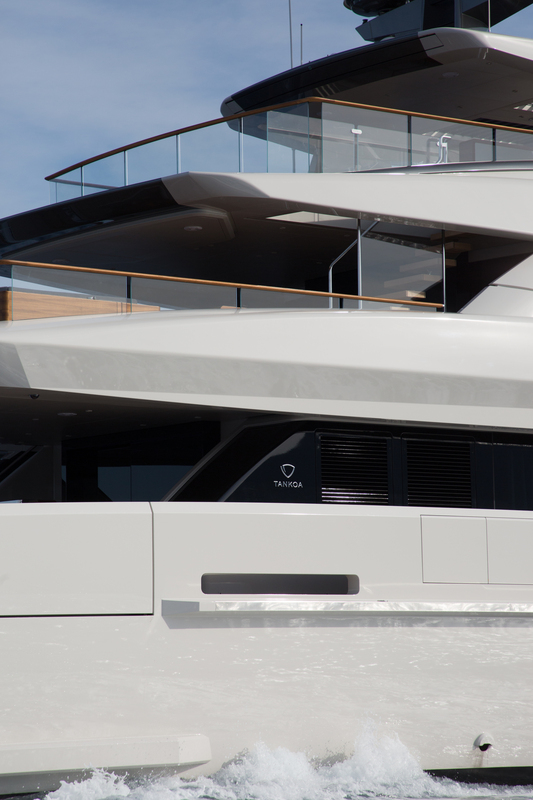 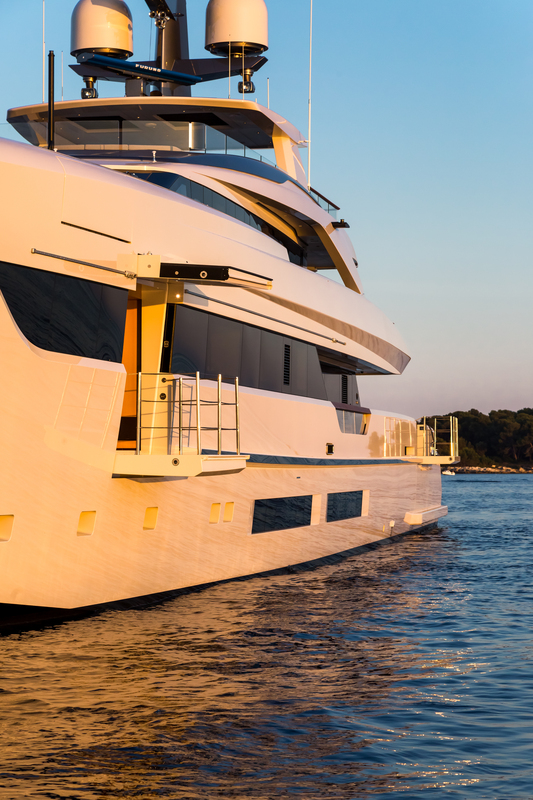 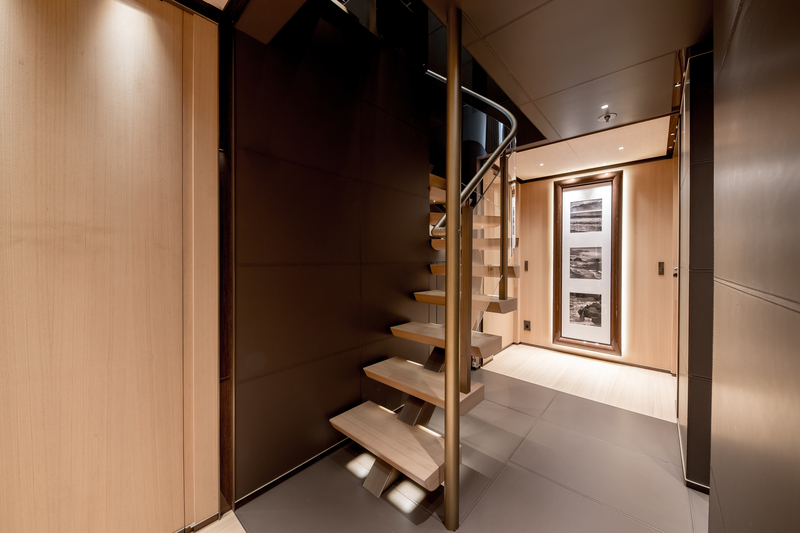 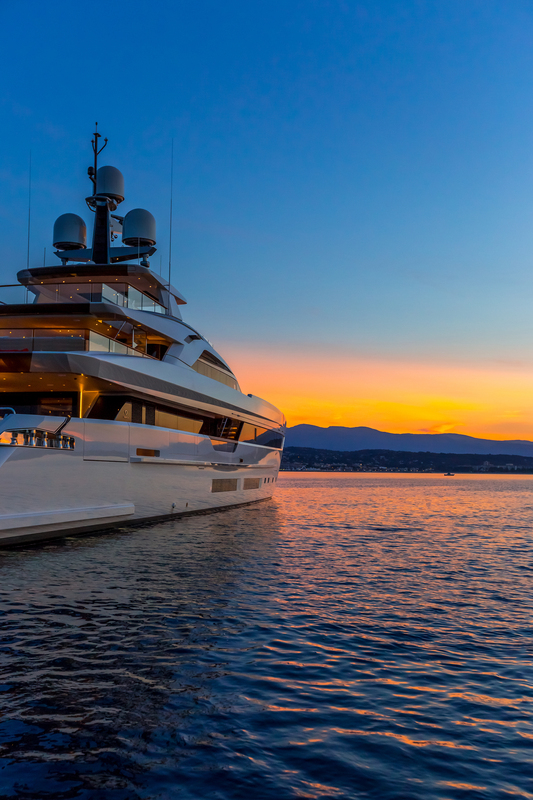 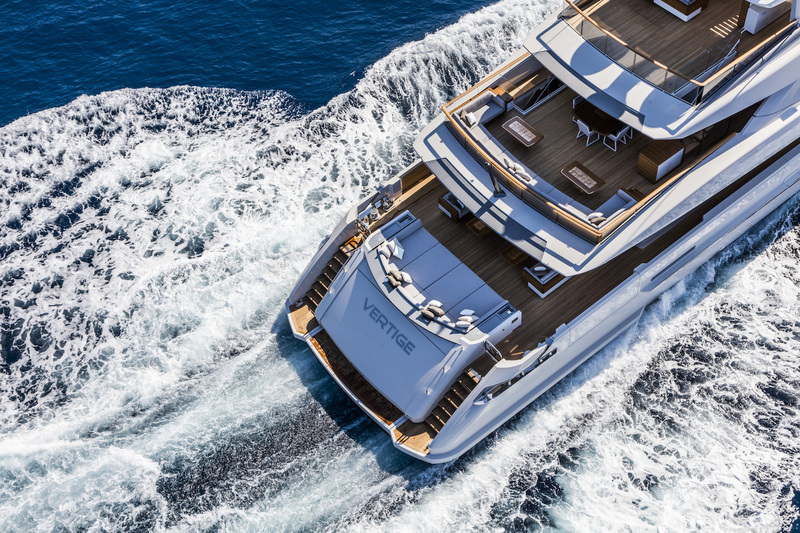 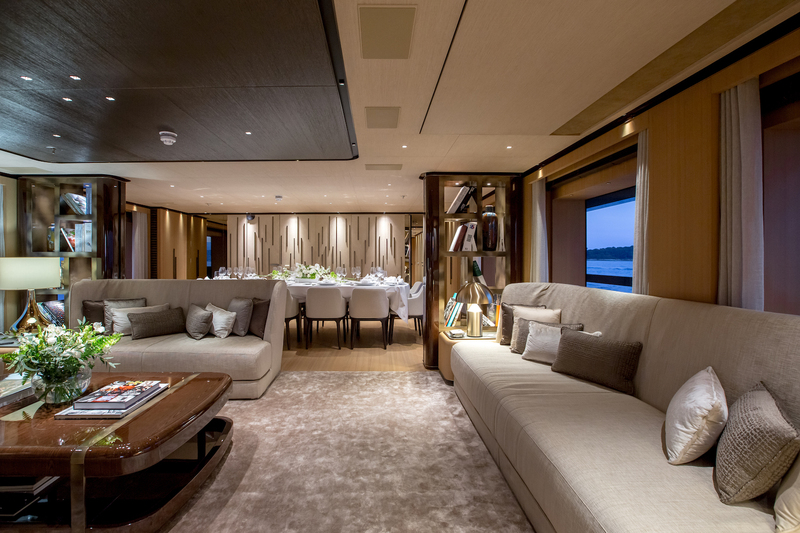 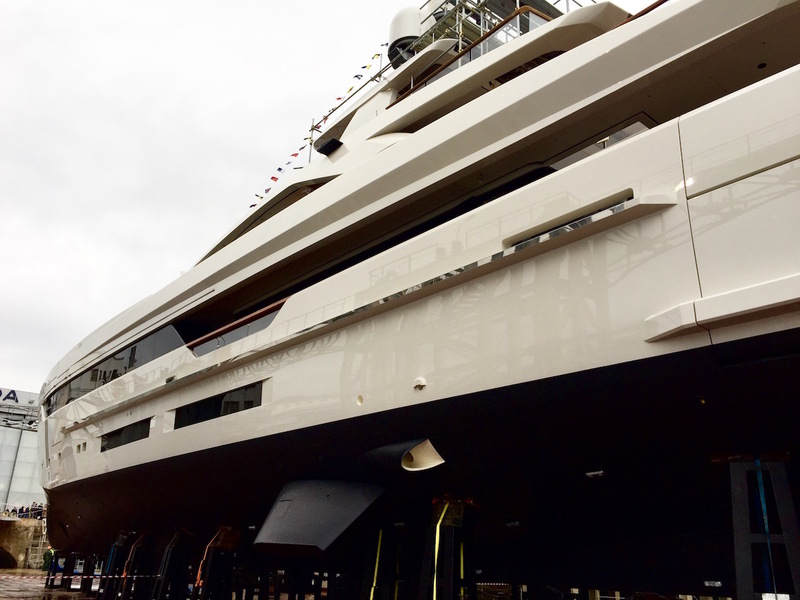 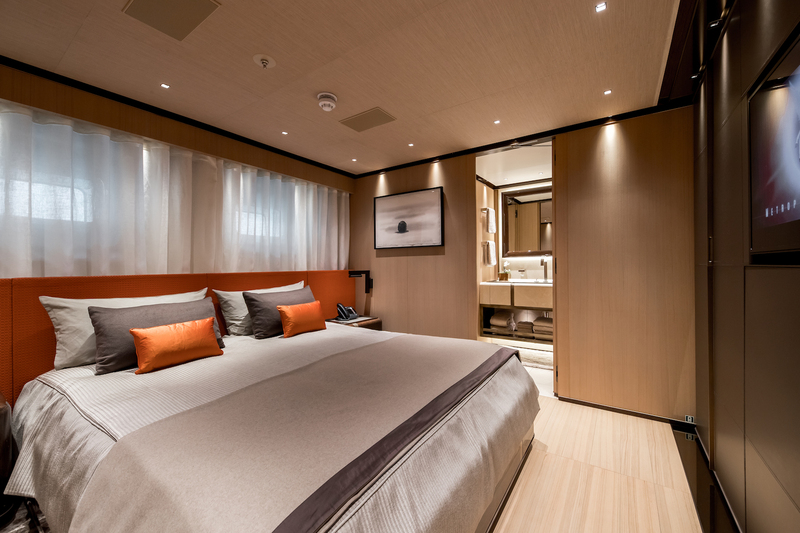 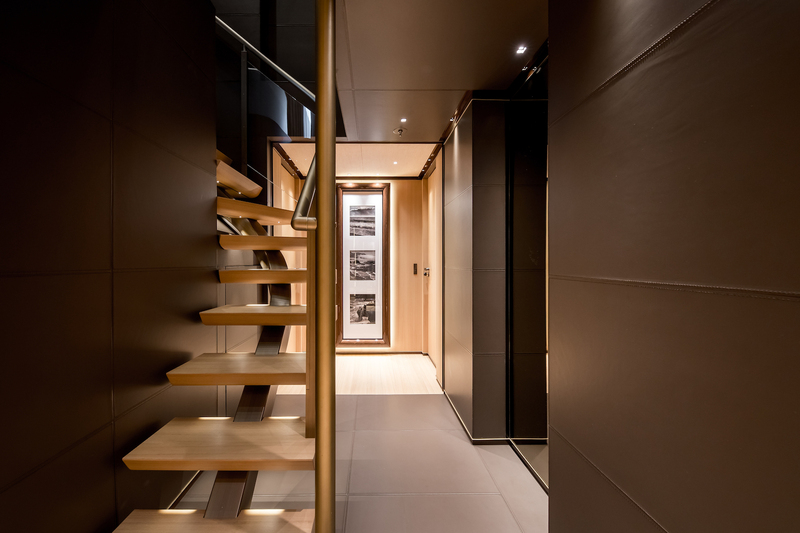 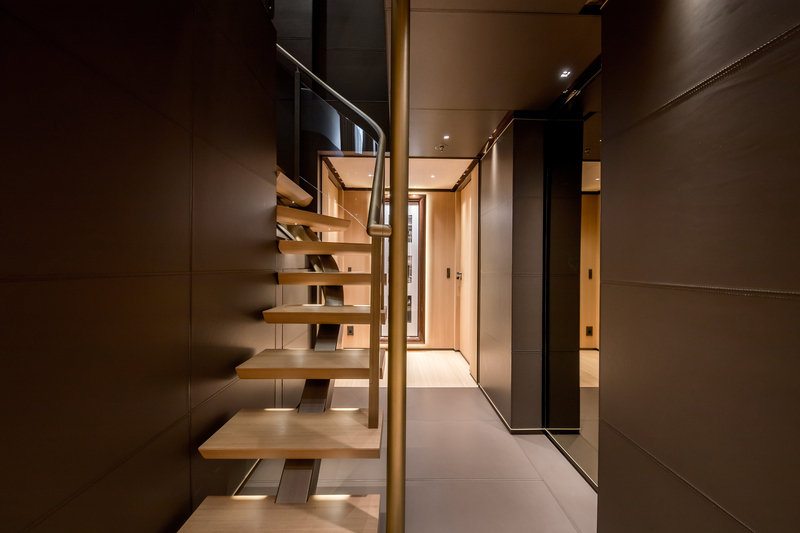 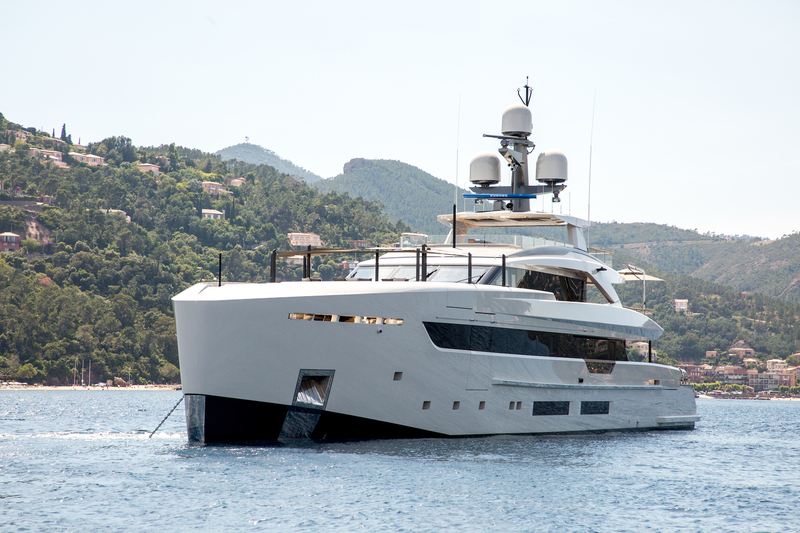 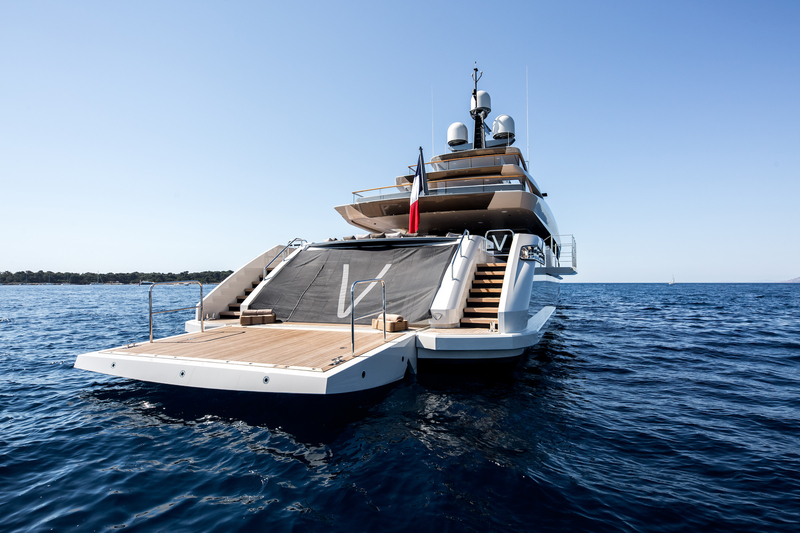 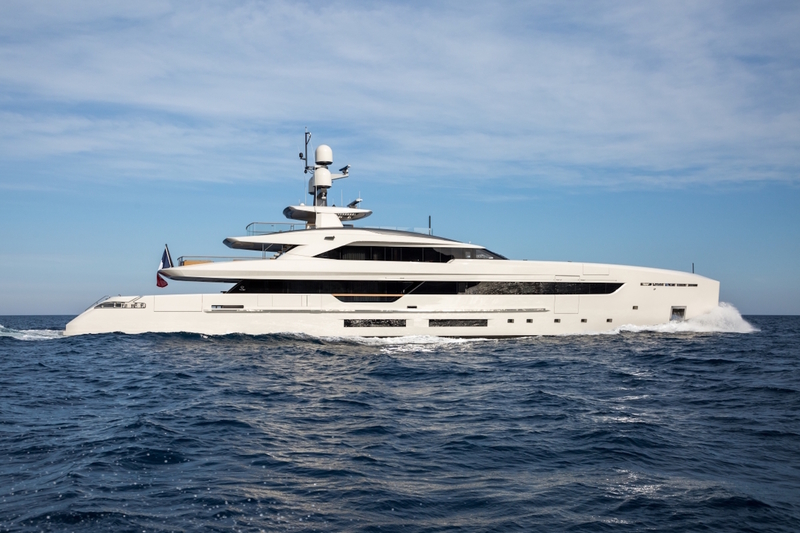 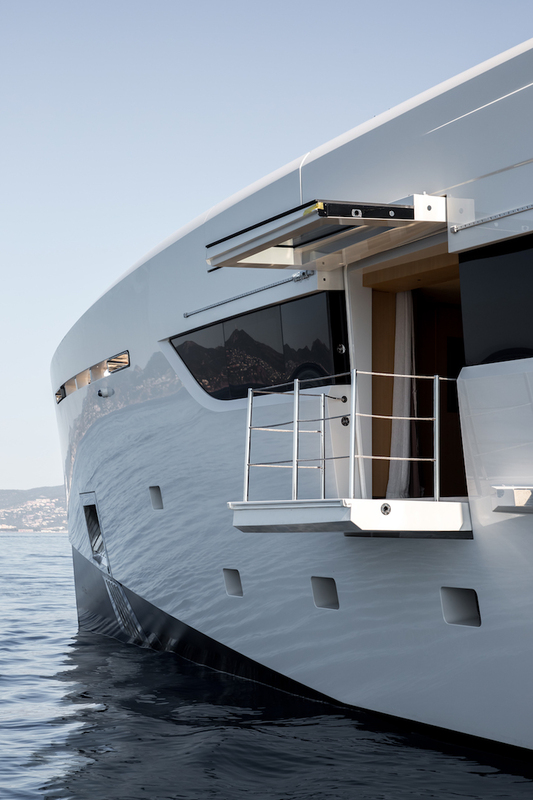 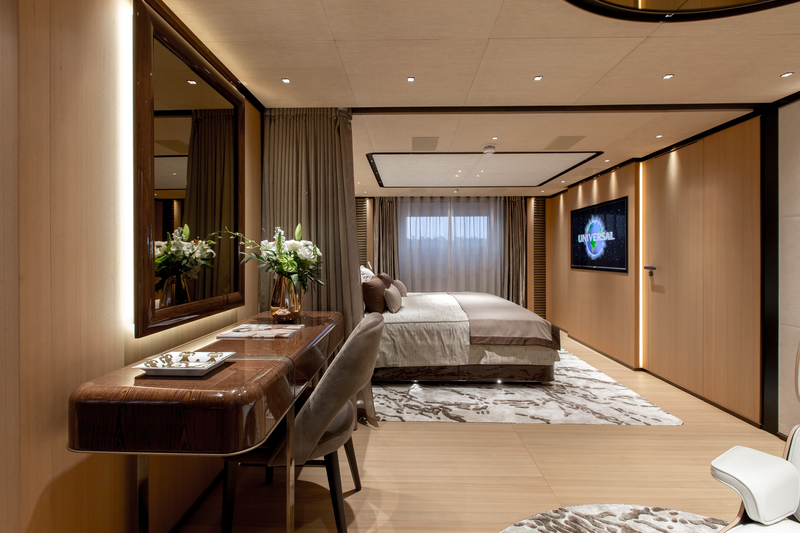 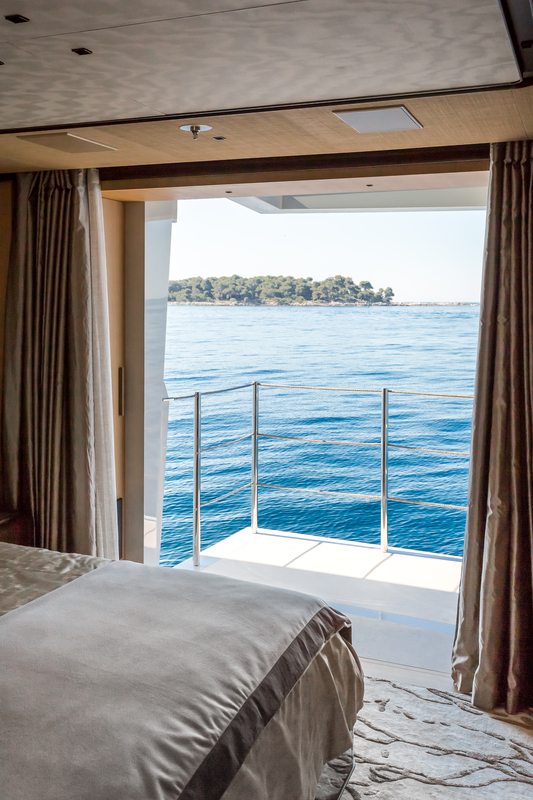 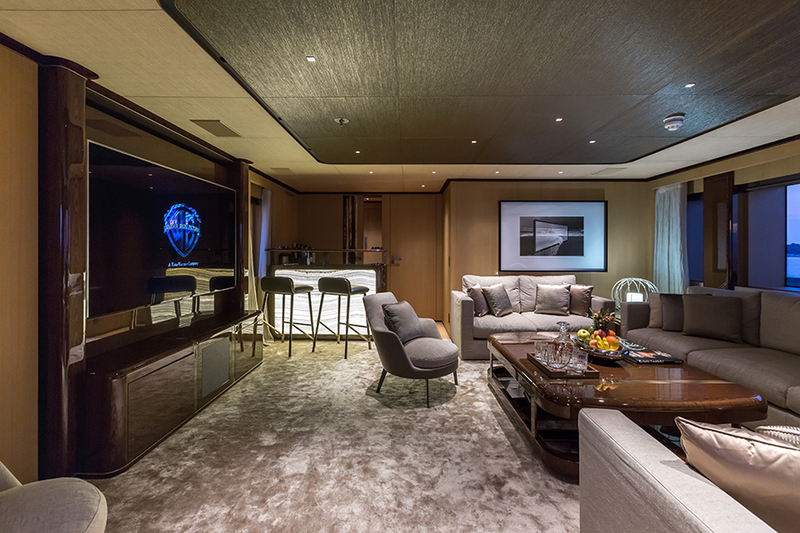 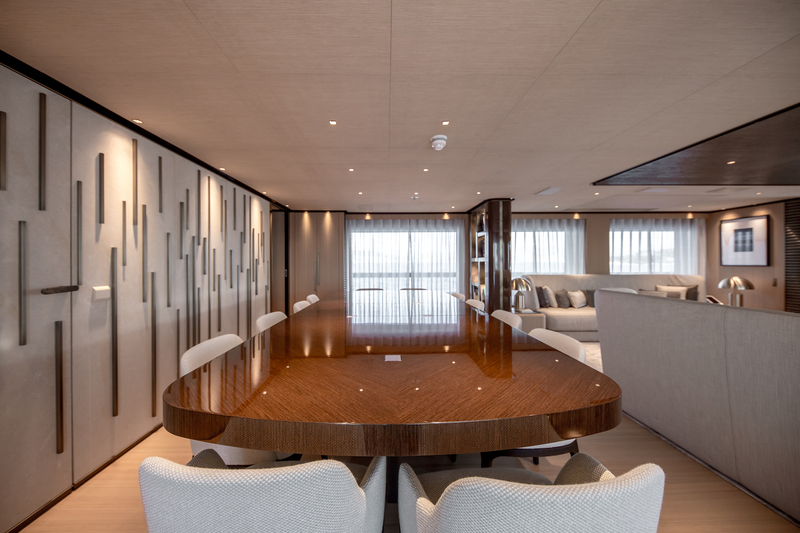 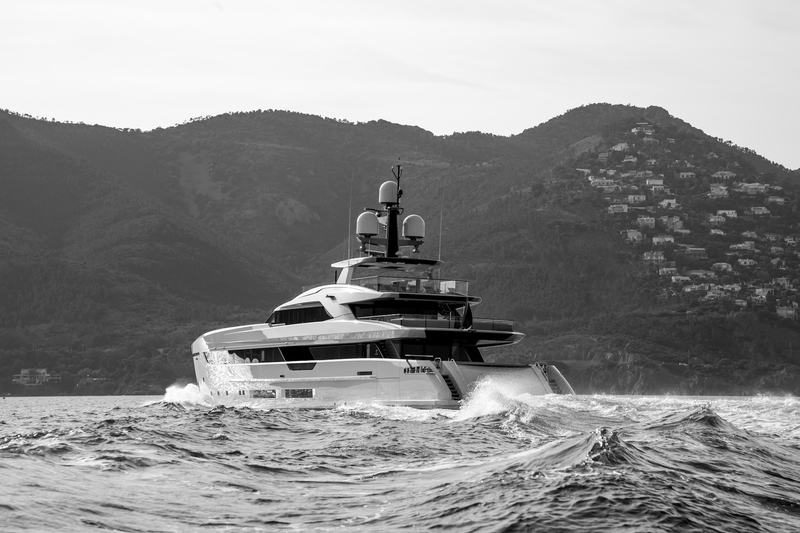 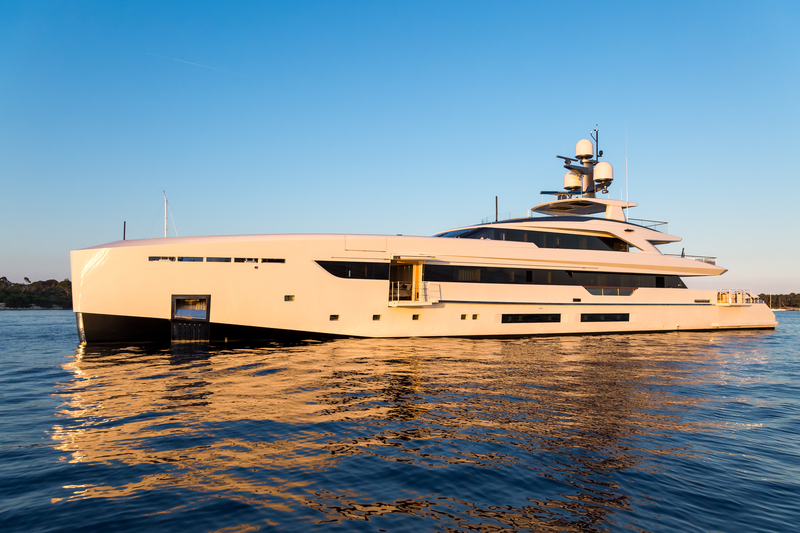 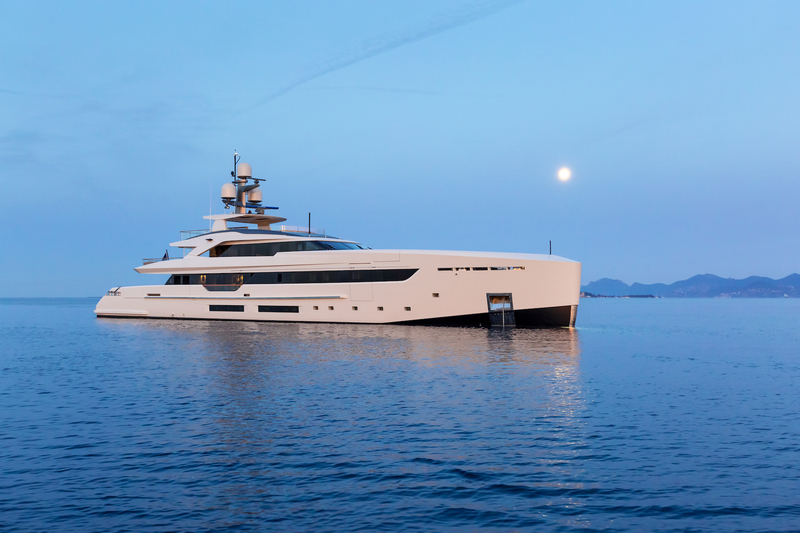 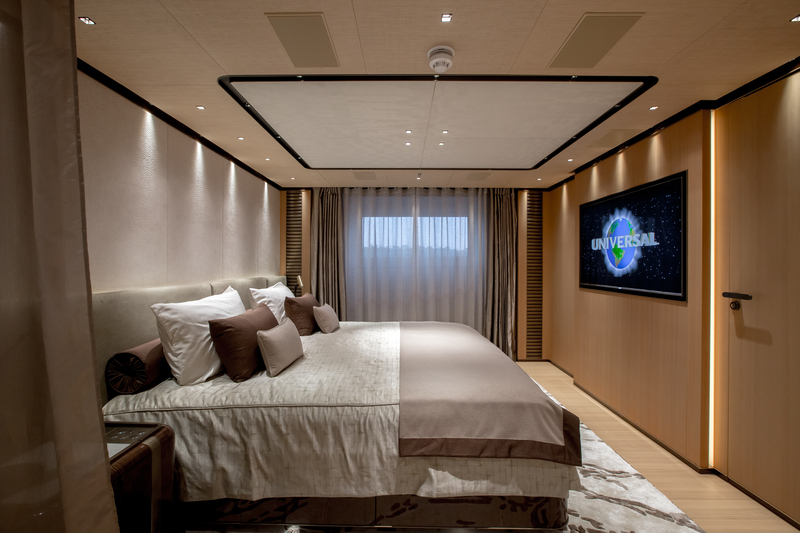 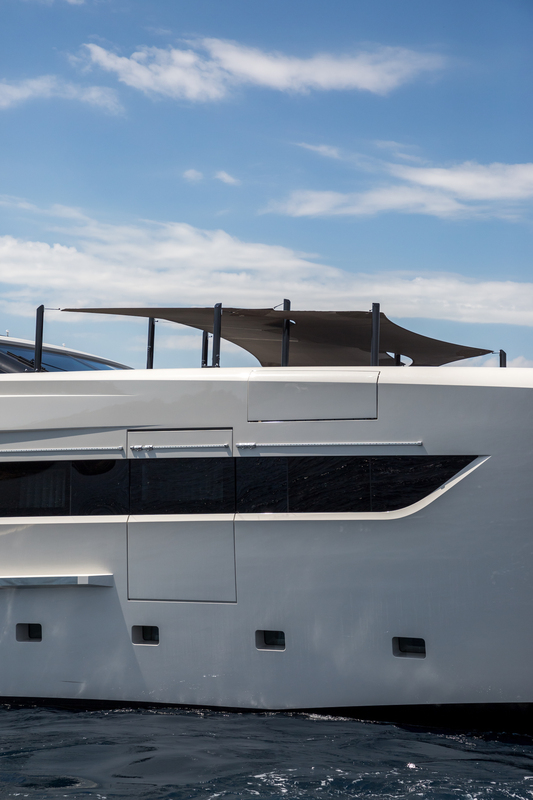 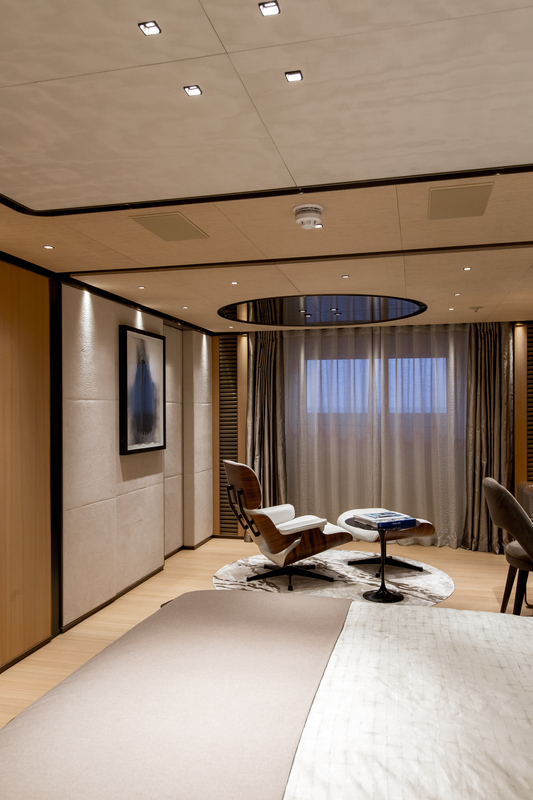 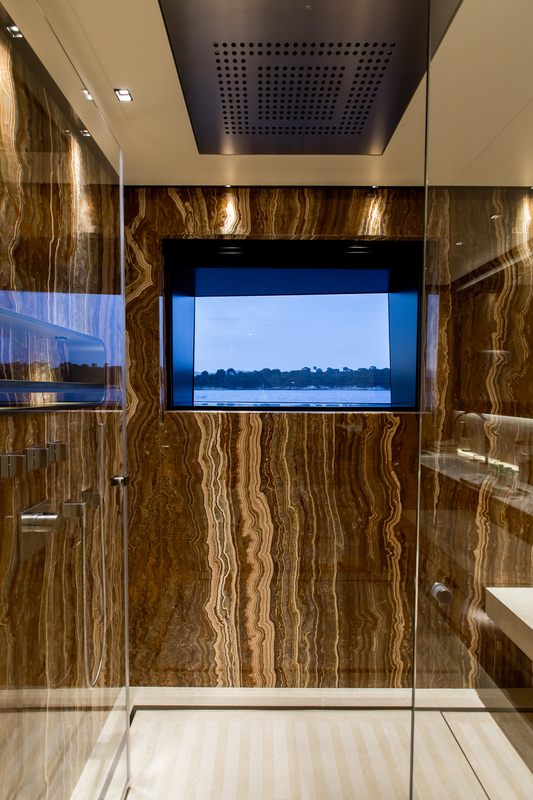 Also, there is a gym, home cinema, a 7-metre tender garage, as well as floor to ceiling windows and hydraulic balconies in the master cabin and on the aft deck. 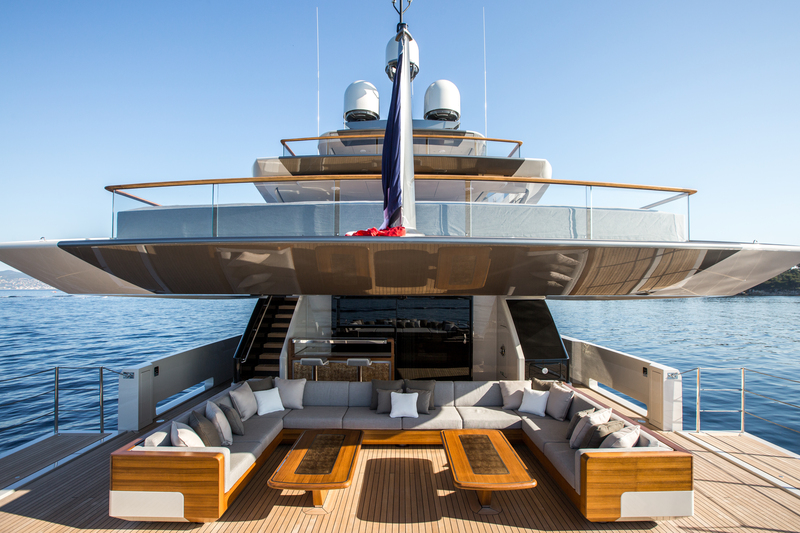 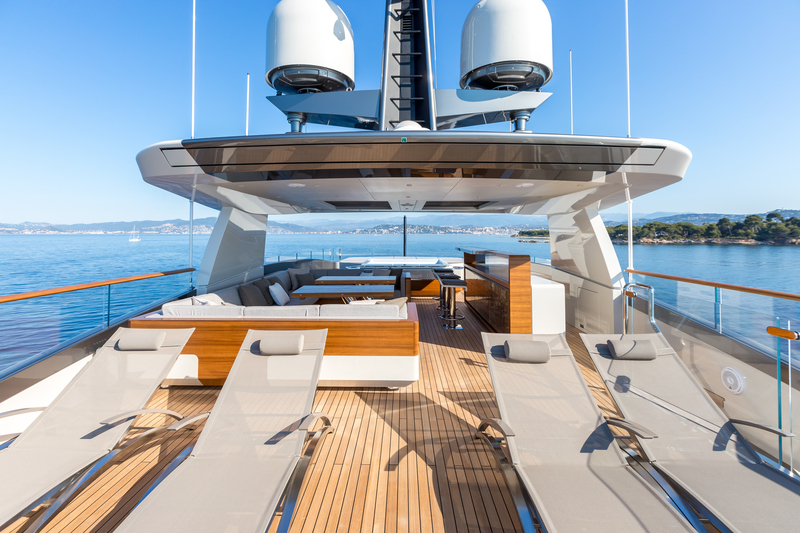 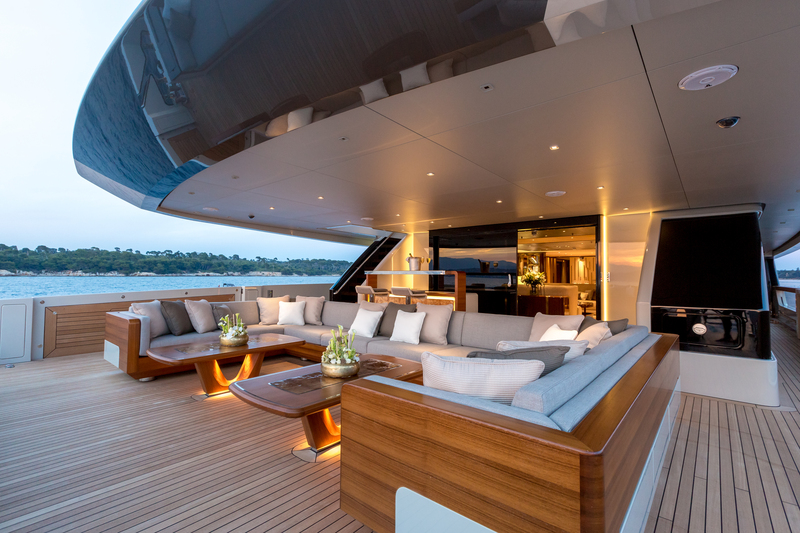 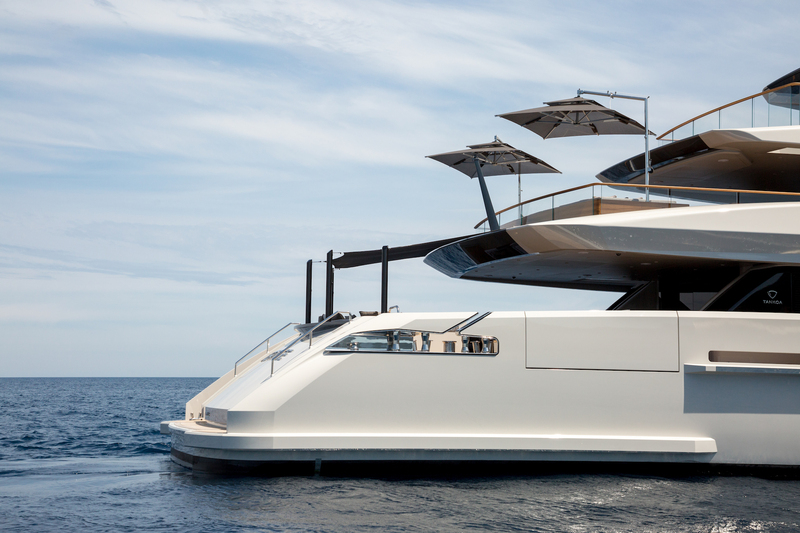 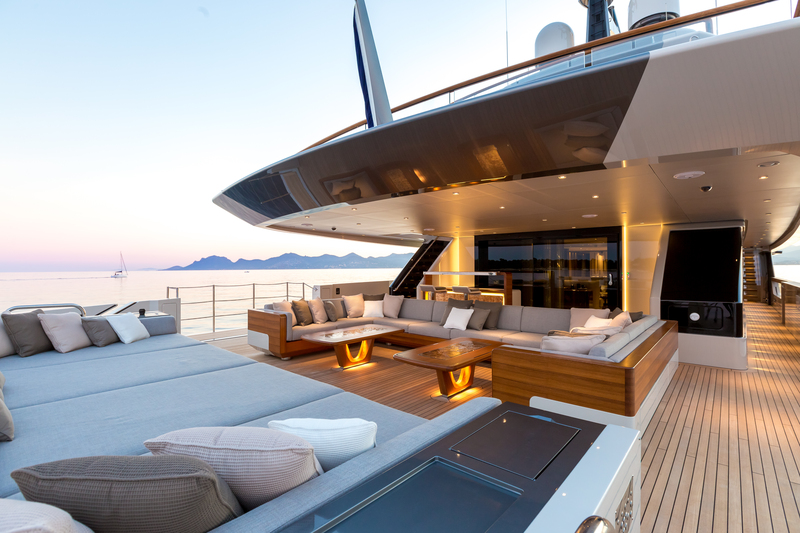 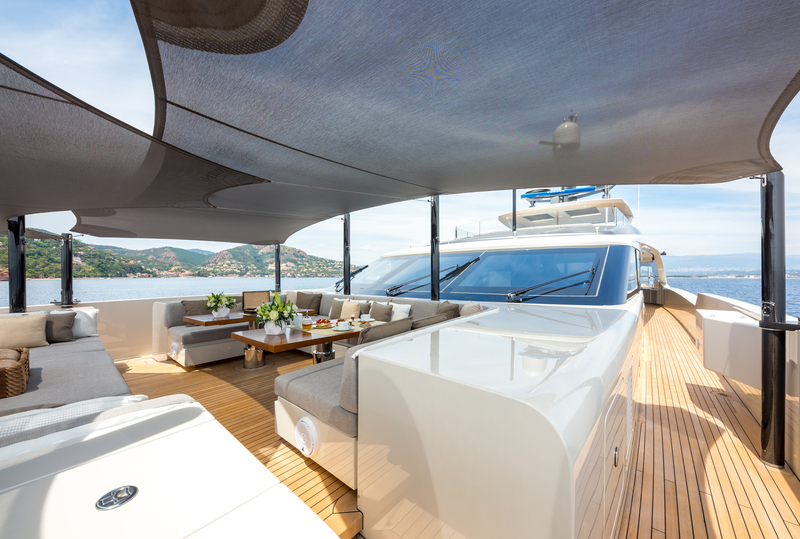 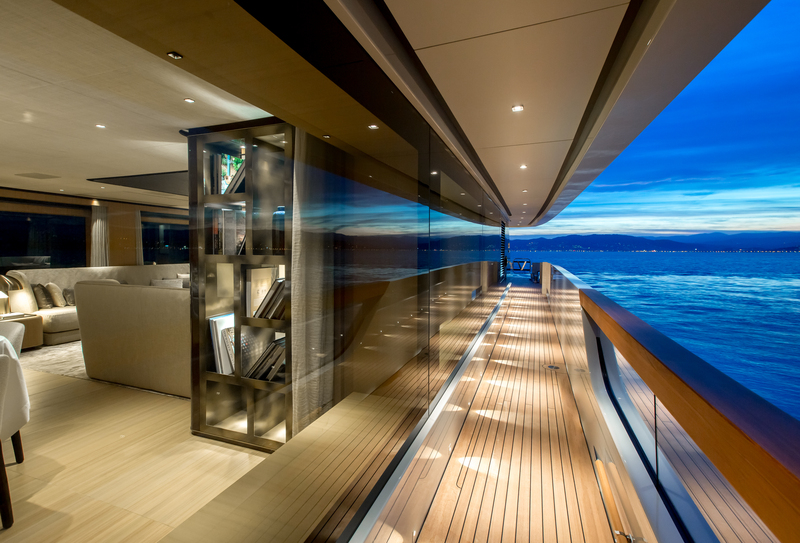 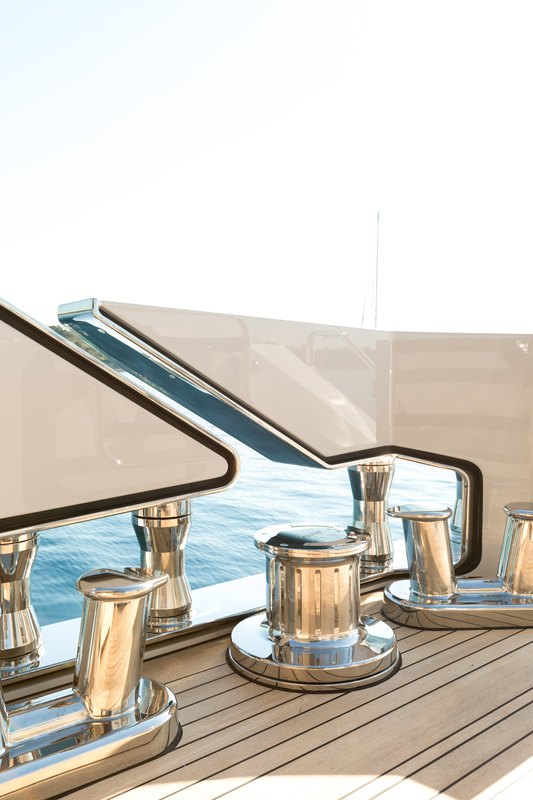 Her decks are exceptionally well-appointed over three levels, with ample areas for entertaining and relaxing. 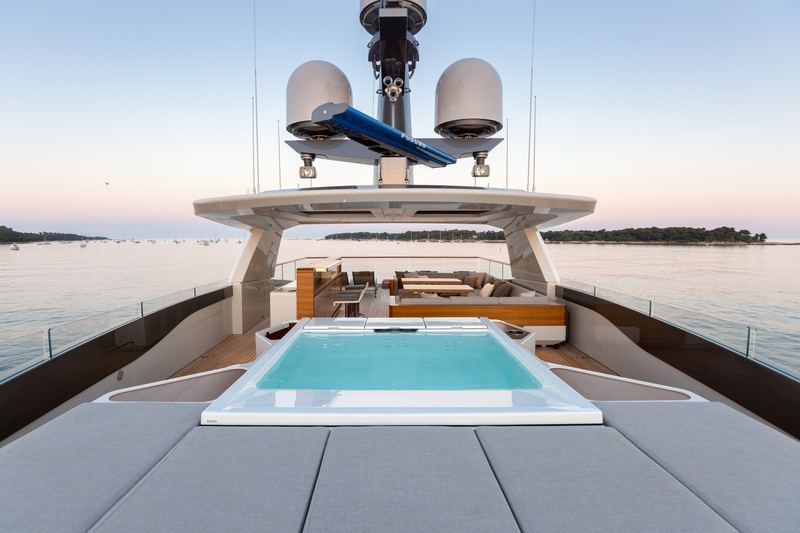 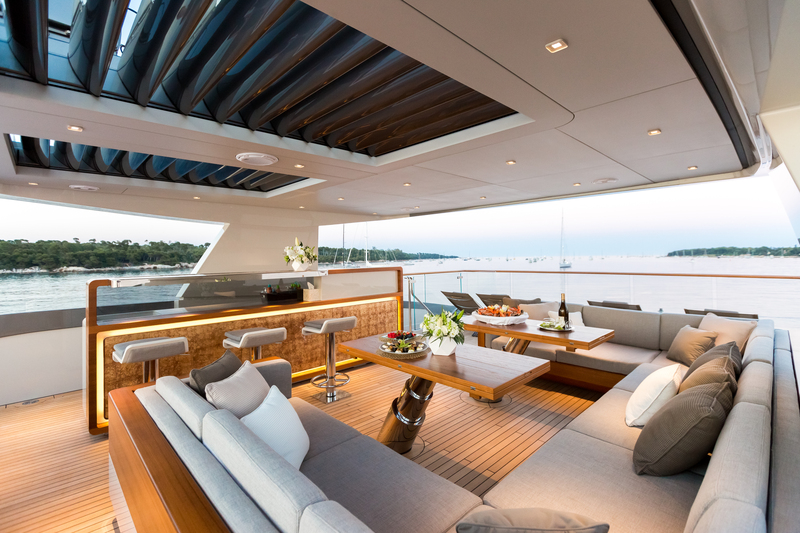 The main deck aft has an alfresco dining table, wet bar, fabulous sun pad seating area and partial shade, from here guests can easily access the swim platform and fold out the teak beach. 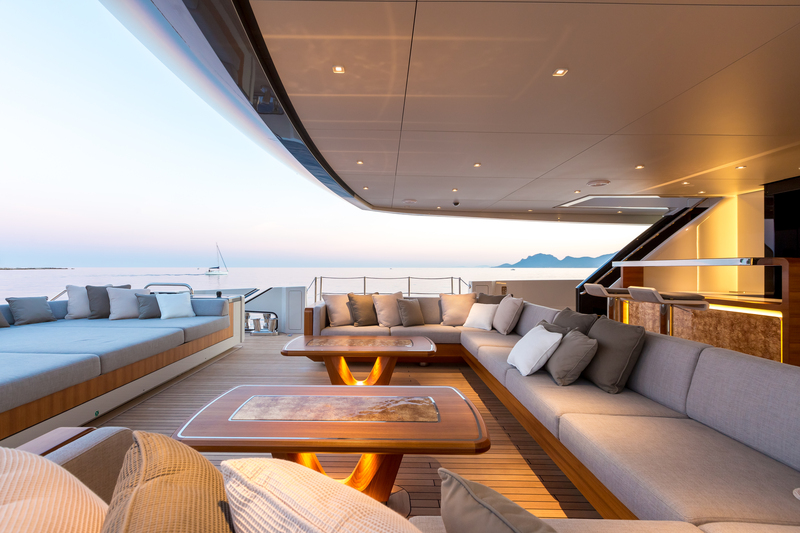 Her upper deck is adjacent to the sky lounge, offering a further alfresco dining space and seating. 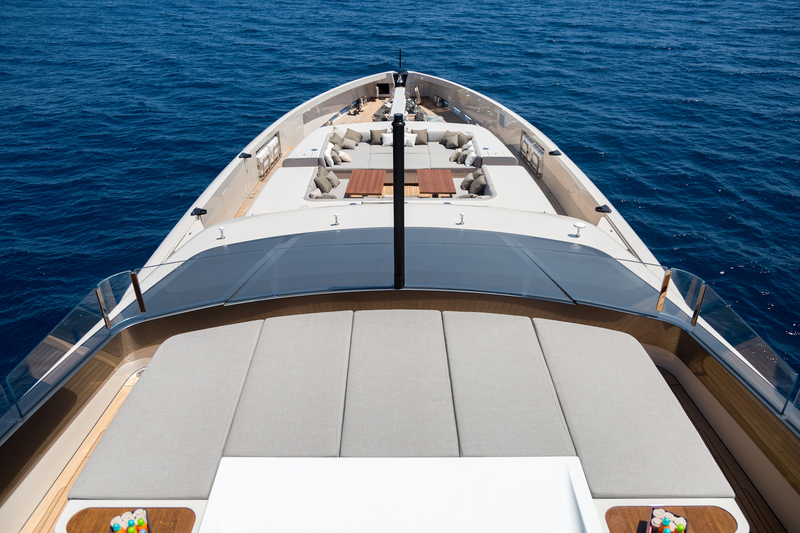 Side decks lead forward to an additional seating area on the foredeck. 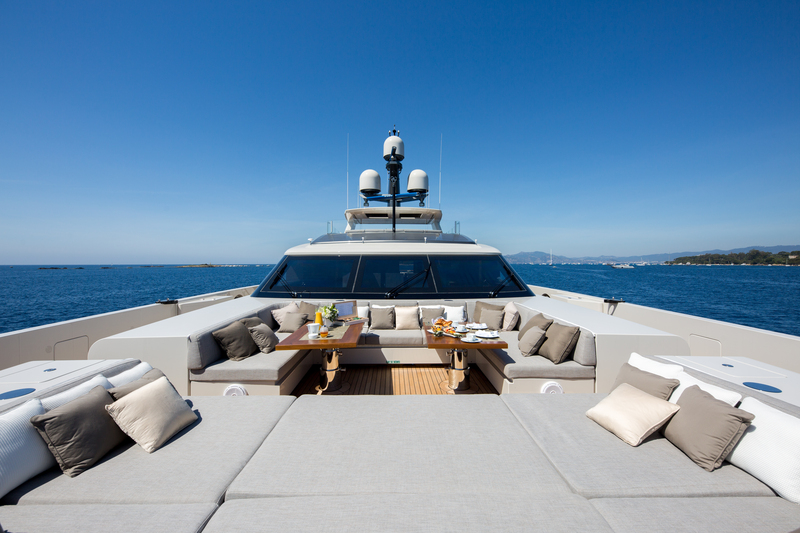 On the top deck, relax in ultimate style, with yet another alfresco dining table, wet bar, seating and chaise loungers. 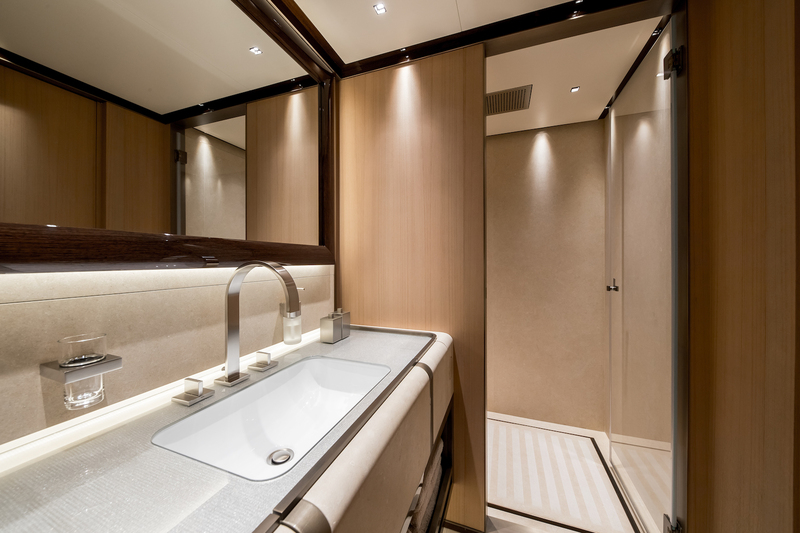 Built-in aluminum light alloy 5083 to reduce weight and the need for kW at a given speed, luxury yacht Vertige can achieve a top speed of 16 knots and a cruising speed of 12 knots, thanks to her twin MTU 8V400054R diesel engines. 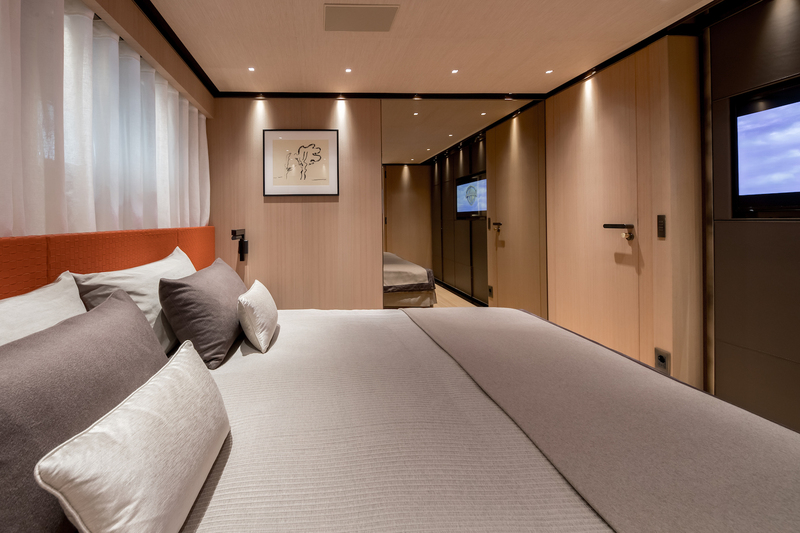 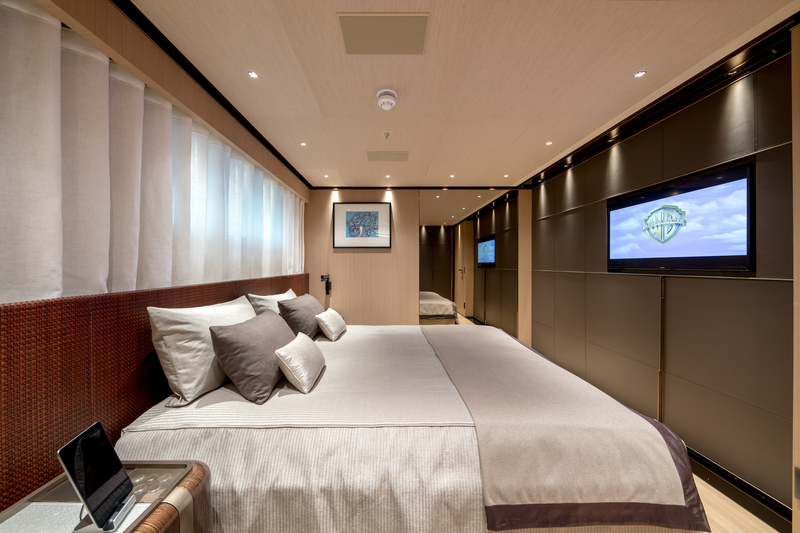 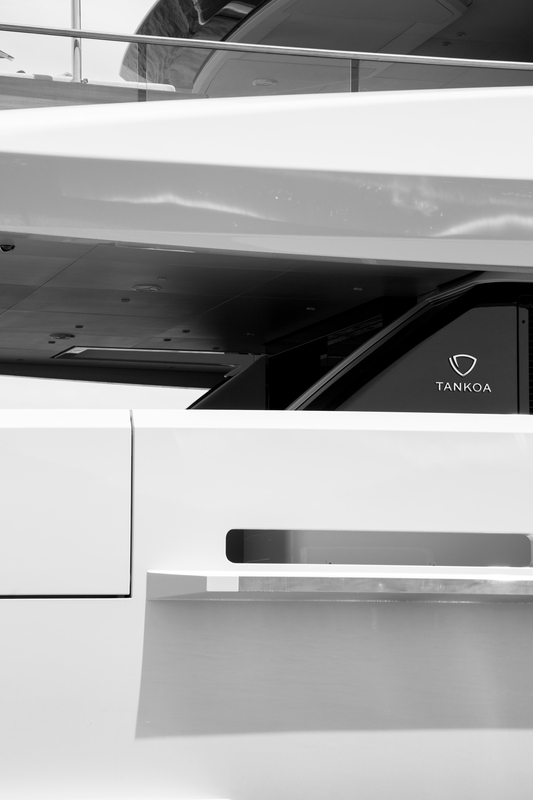 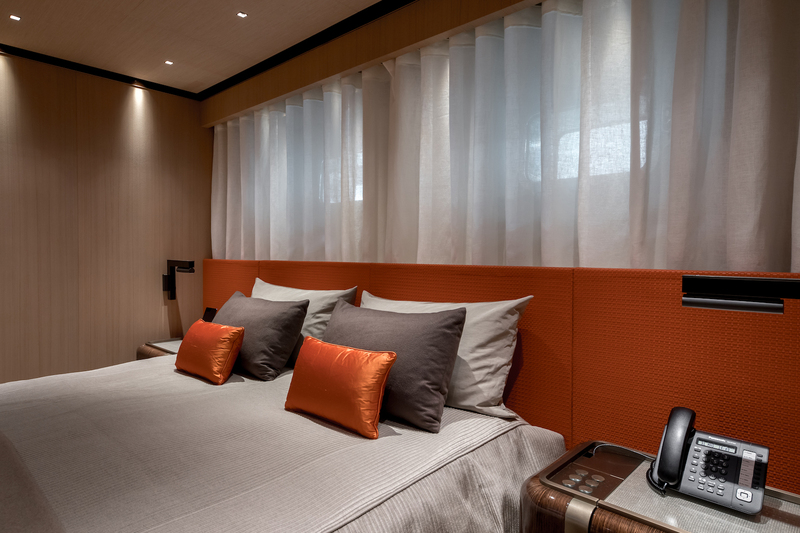 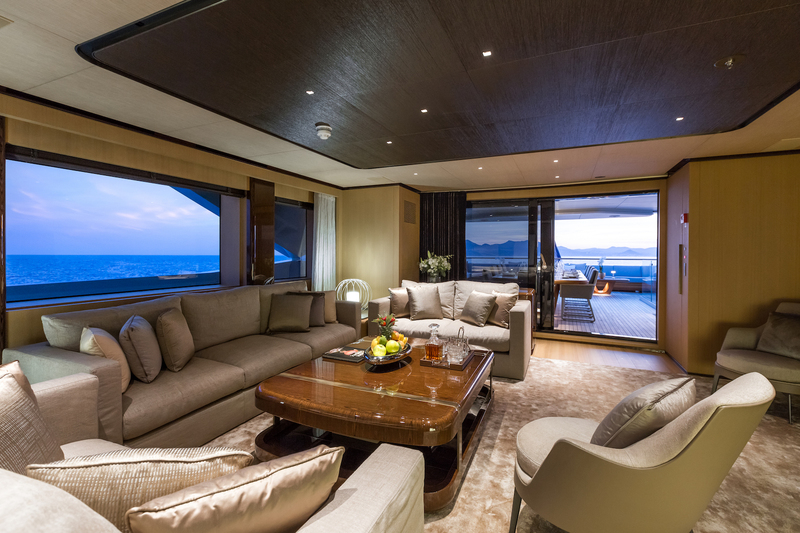 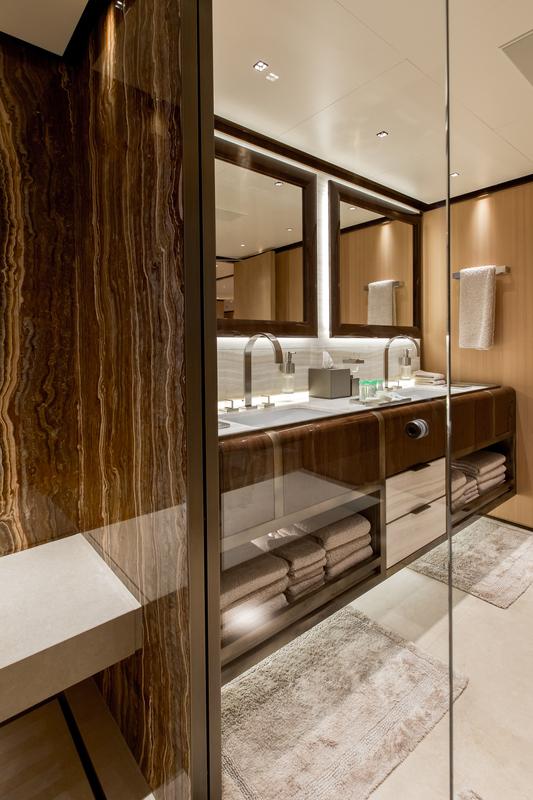 Accommodation aboard Tankoa S501 yacht is divided into 6 luxurious cabins, including the main deck full-beam master and VIP suite, as well as four lower deck guest cabins.